Long before I started my Eurotrip, I knew Italy would be where I’d spend the longest time in Europe. 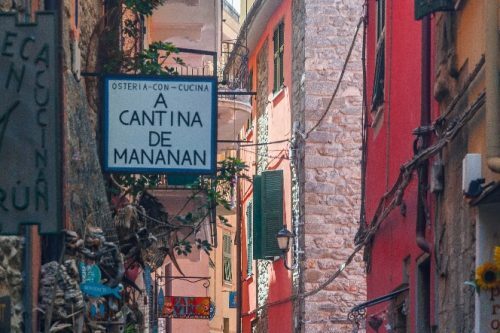 I was extremely excited about tasting all the good food and exploring all those places I had been told about hundreds of times. 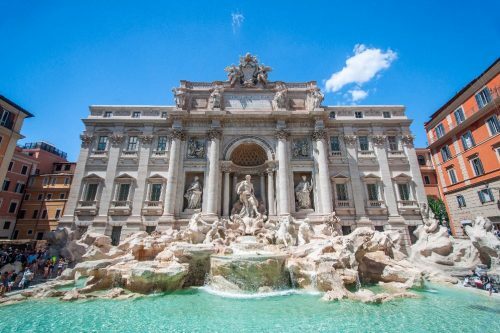 For that, Italy did not disappoint ; I had the best food I’ve ever had there and took so many pictures I filled up half of the memory cards I had brought for my entire trip. 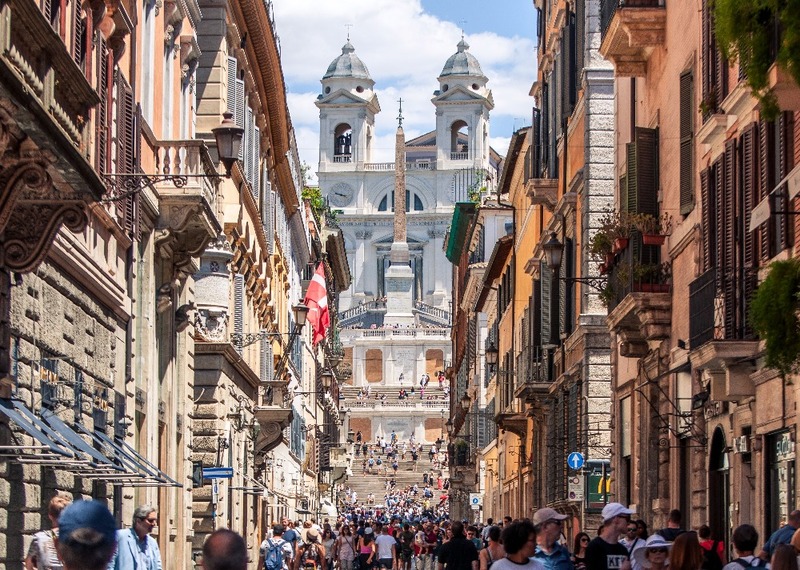 Italy is crowded, yes, but it didn’t really affect our experience that much. 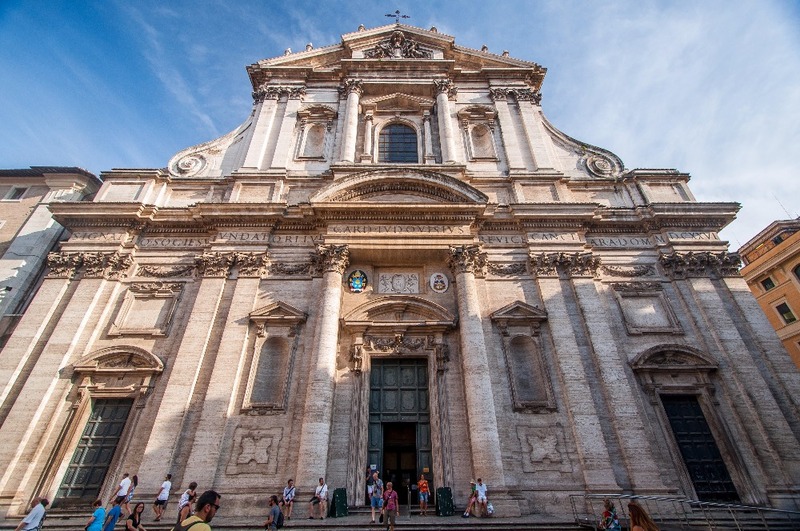 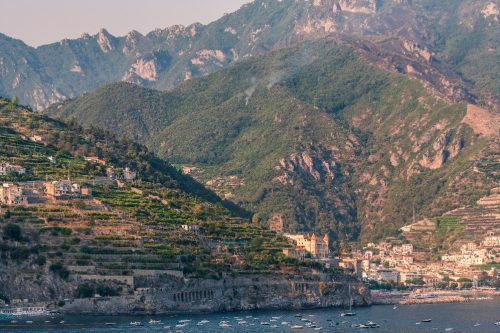 We planned a two and a half week road trip stopping at several different cities from Bergamo to Amalfi, an itinerary which I strongly recommend if you have a similar amount of time to spend in Italy. 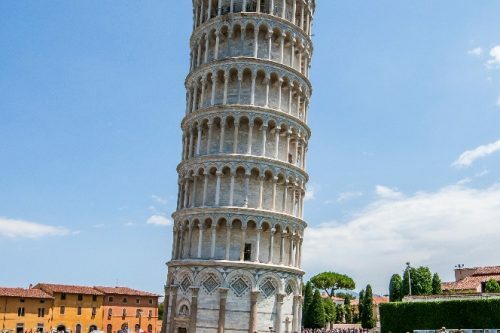 We were traveling by car, which, while being easier than people said it would, was extremely expensive due to ridiculously high gas price and tolls on every single highway. 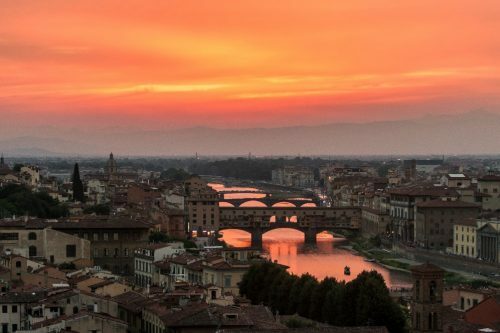 If you need advice for driving in Italy, send me a message through my Instagram or Facebook which are linked at the bottom of this page. 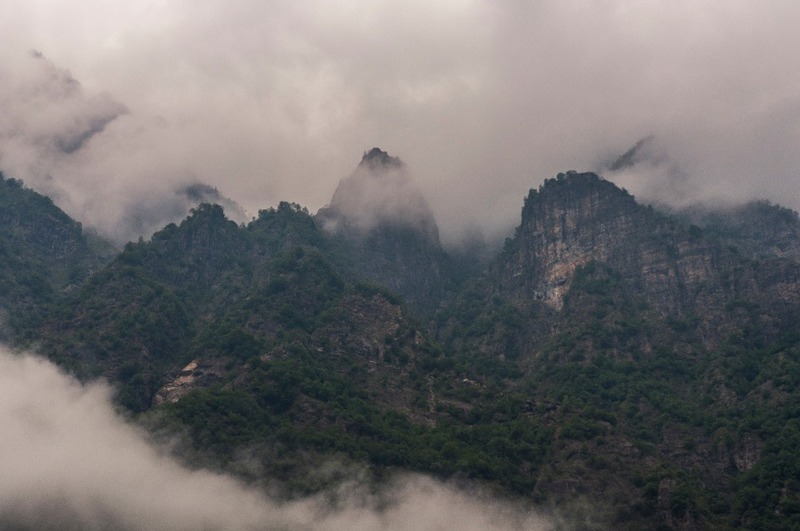 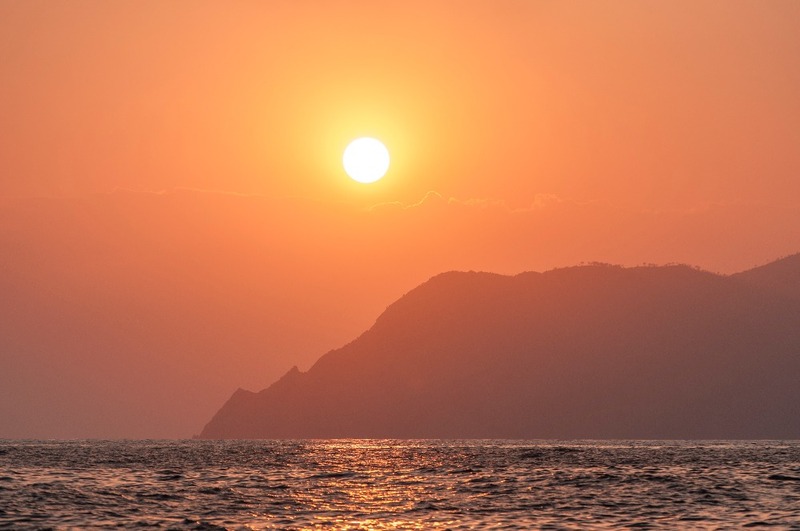 The main perk of traveling by car was the fact that we could carry our own camping gear, which helped us save a lot on accommodation in expensive areas such as the Amalfi Coast. 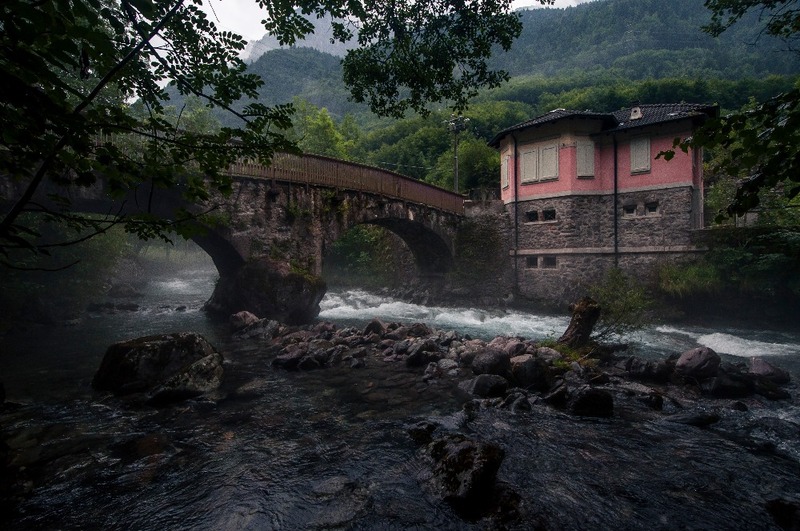 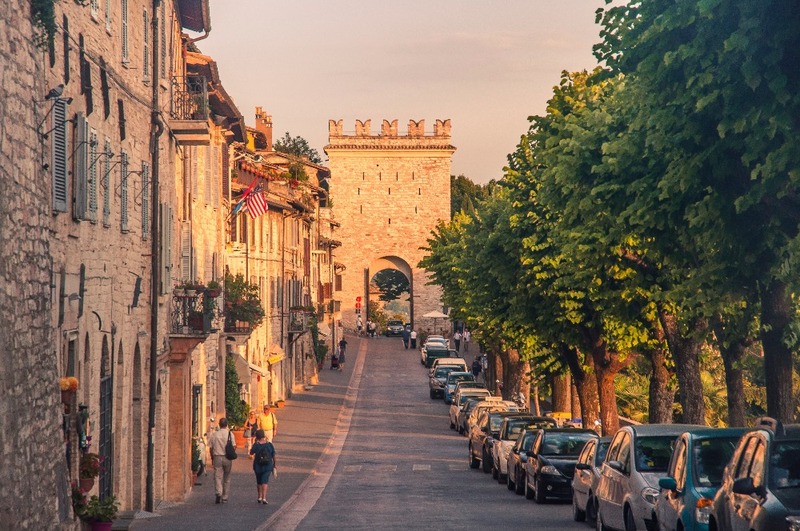 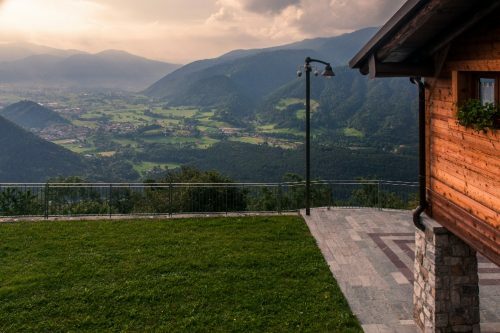 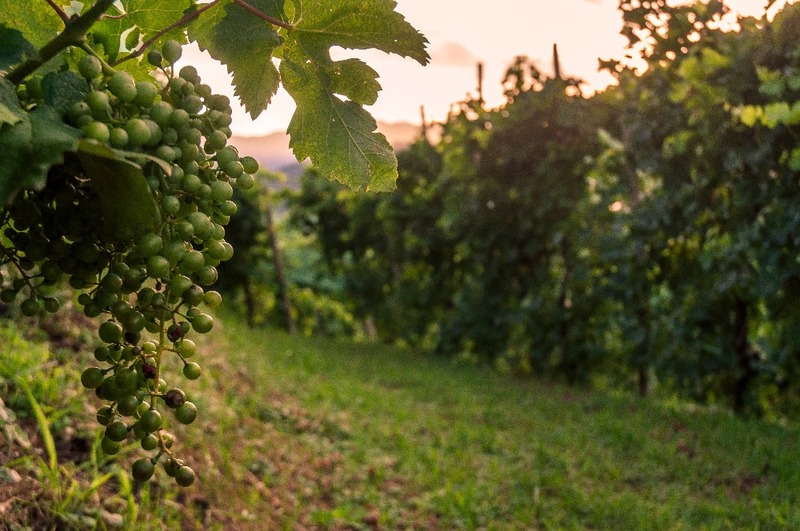 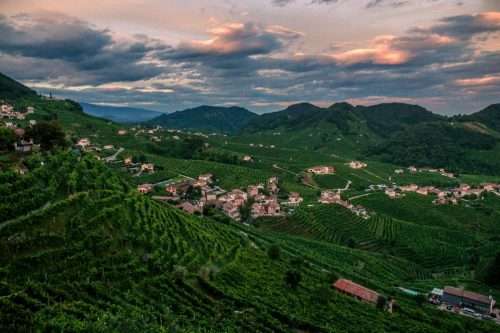 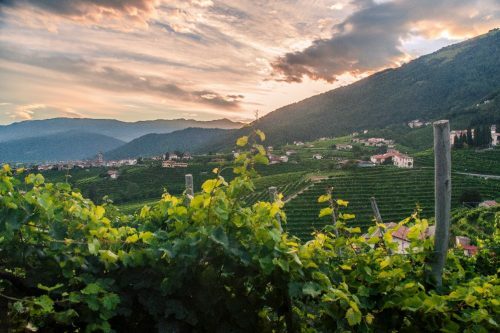 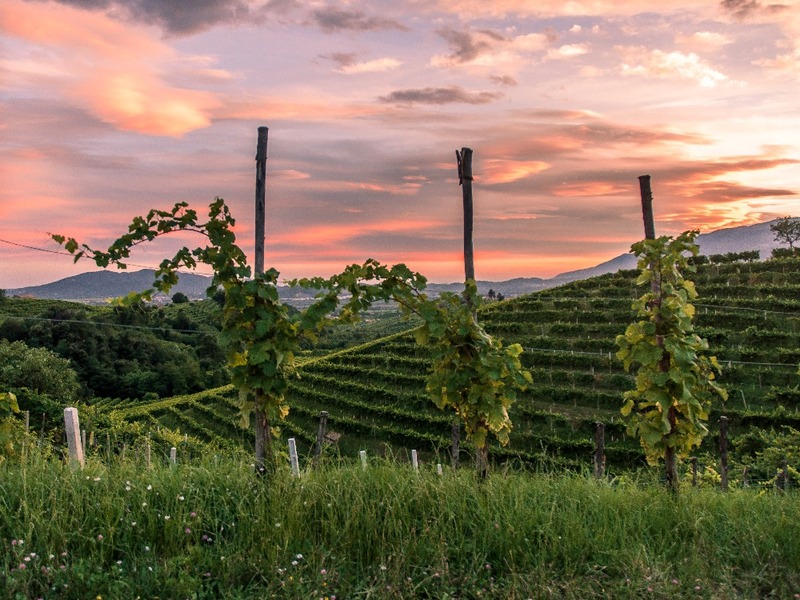 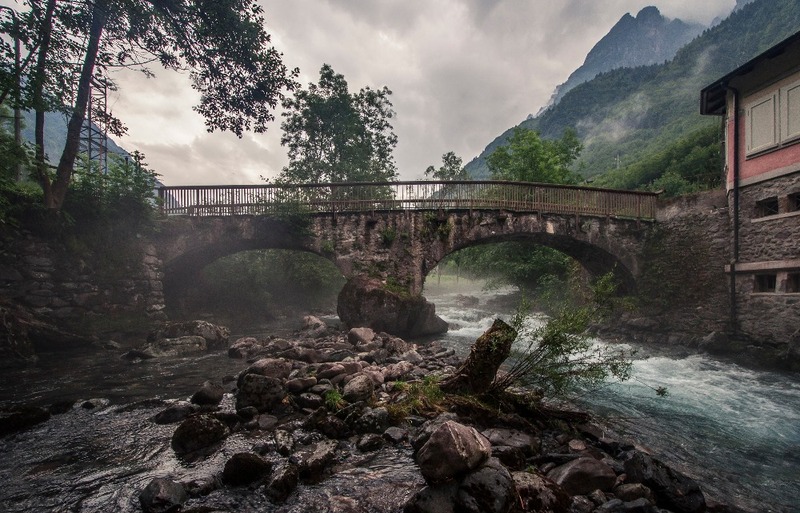 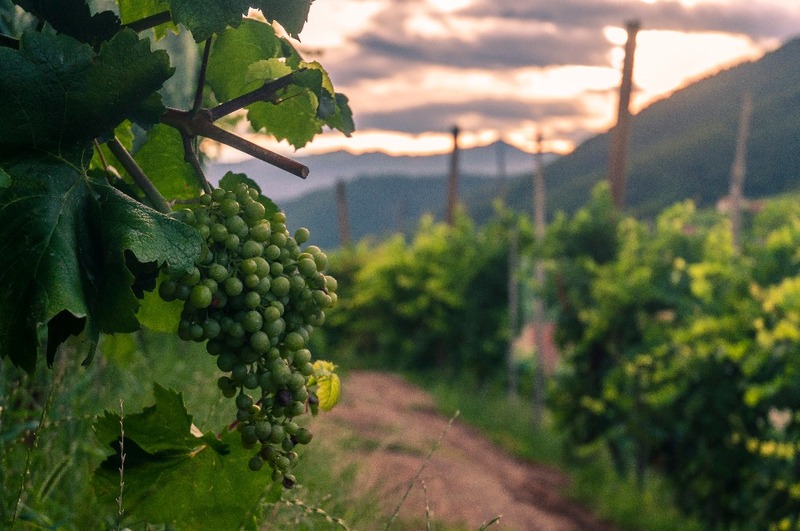 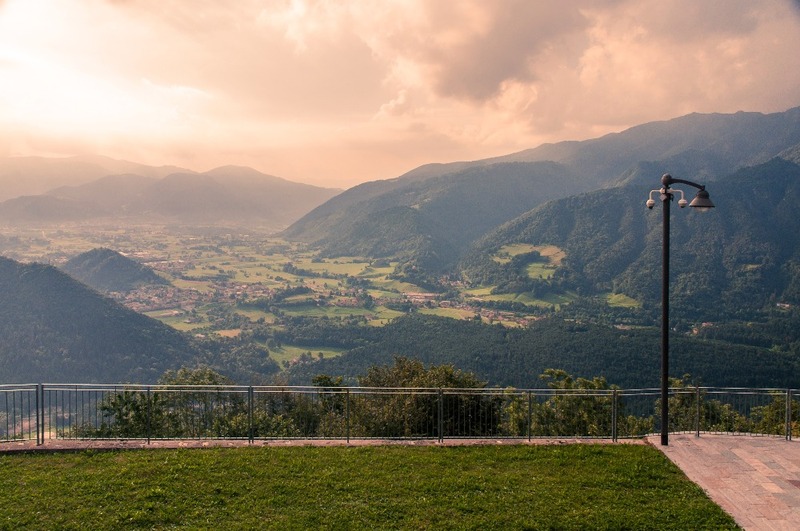 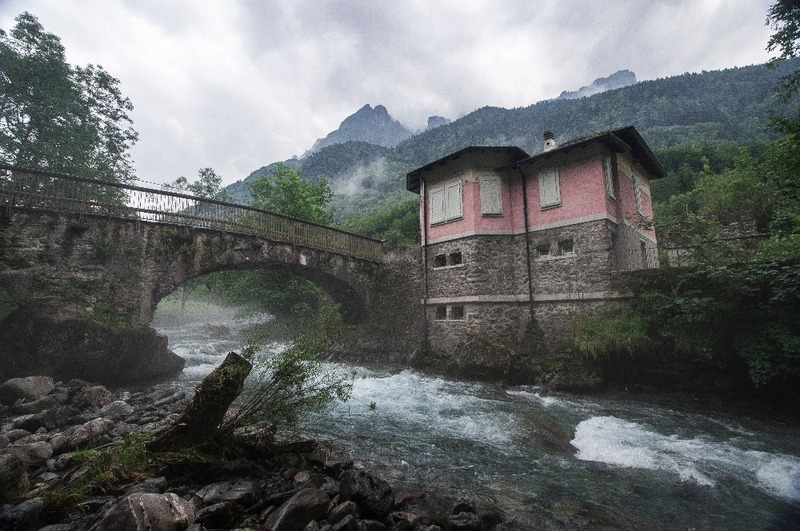 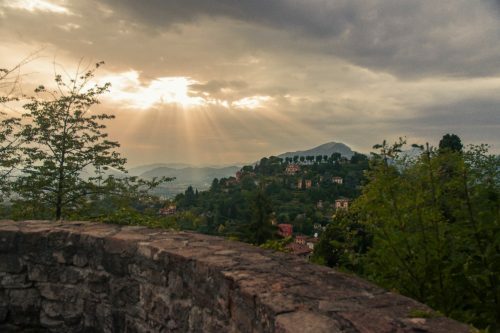 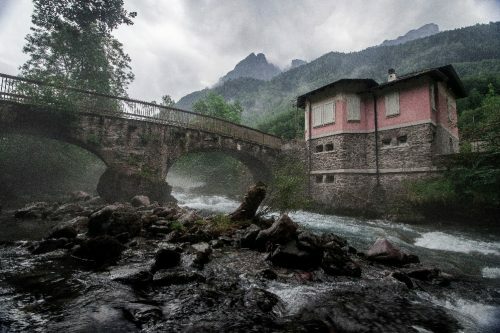 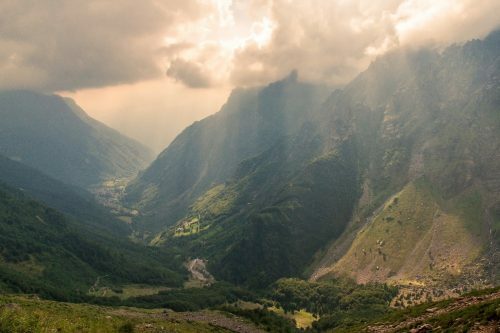 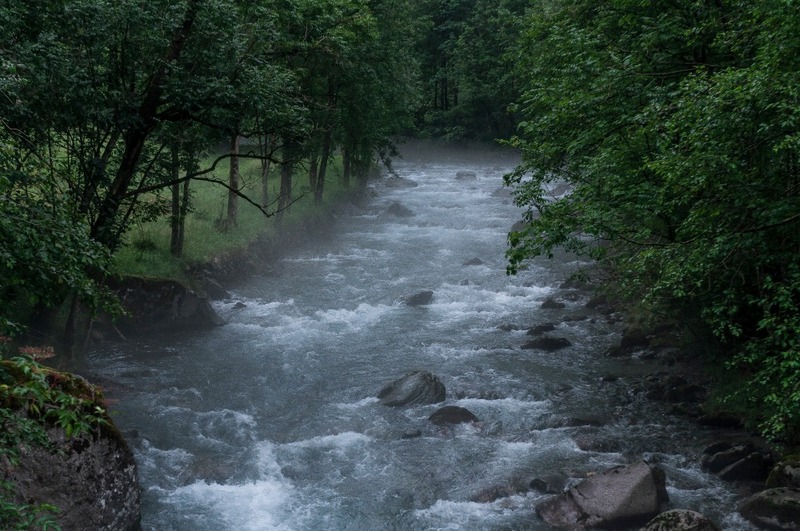 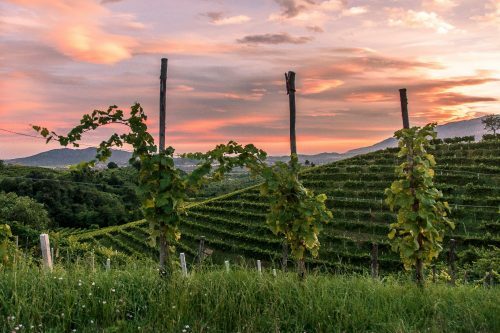 Chances are that you have never heard of Clusone, which is a small town north of the city of Bergamo. 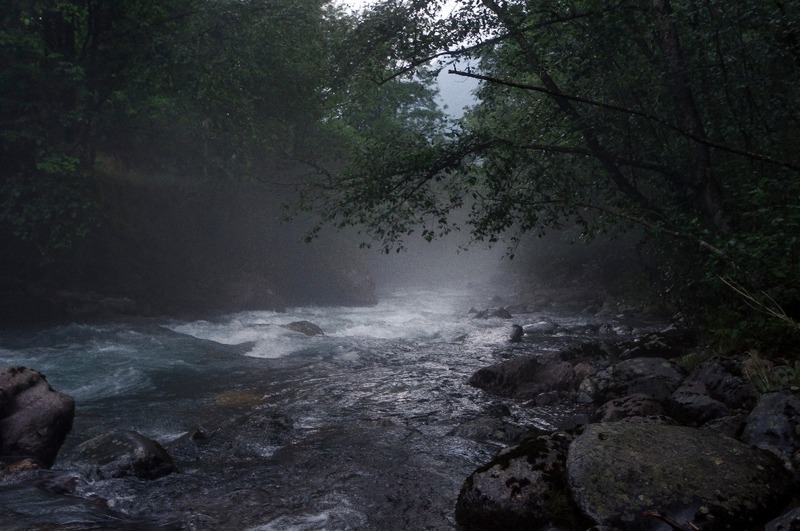 I found myself there in early July to visit a friend I met in Australia whose family lives in the area. 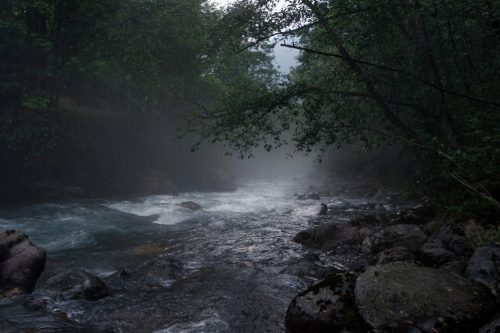 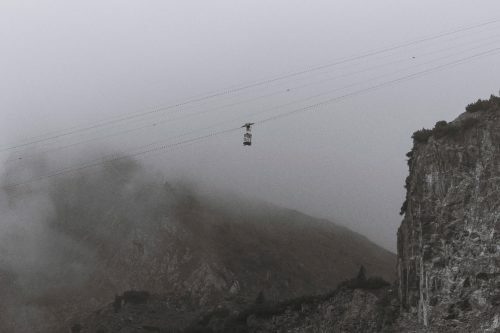 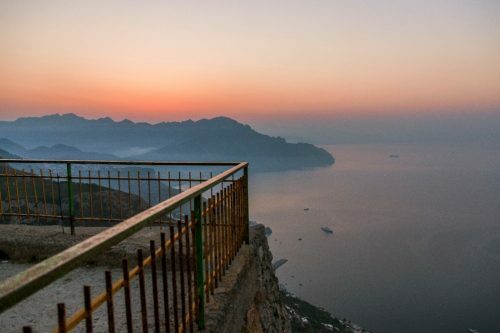 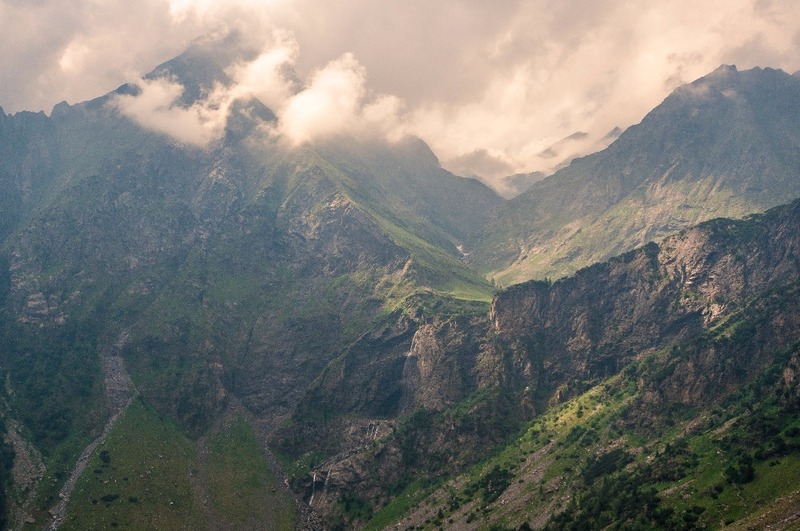 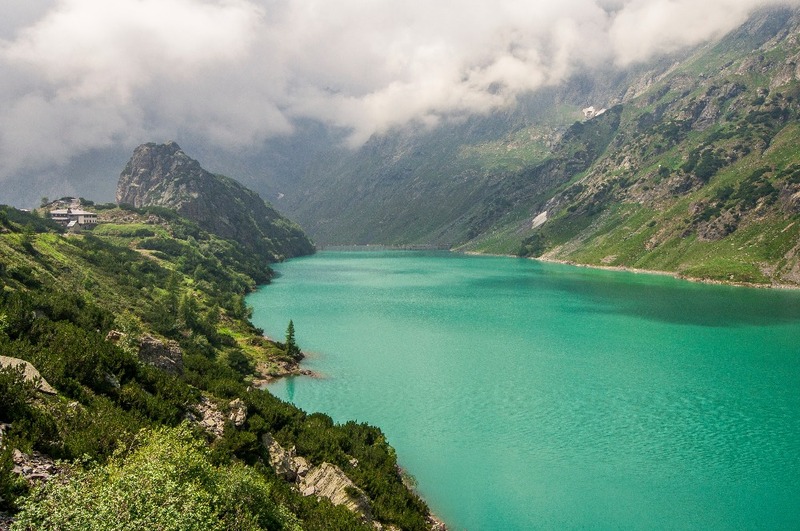 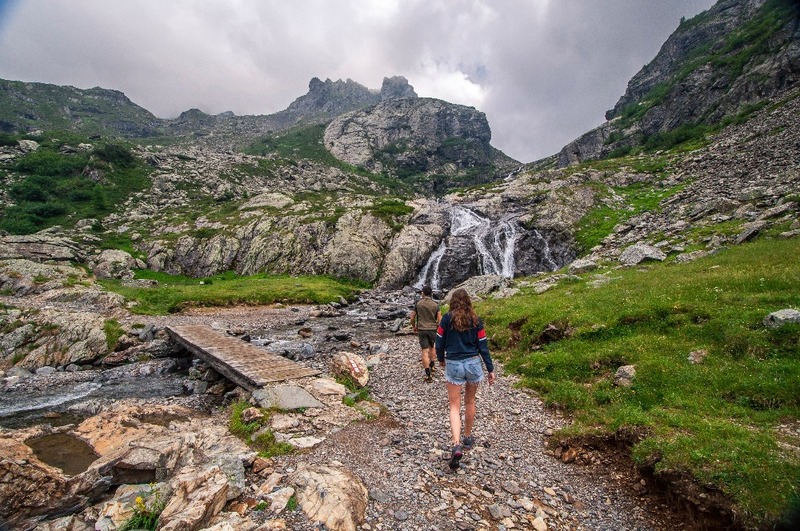 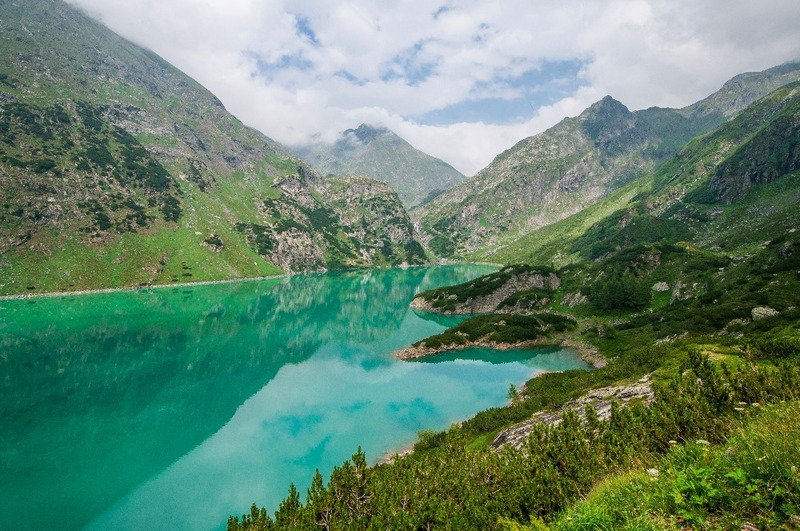 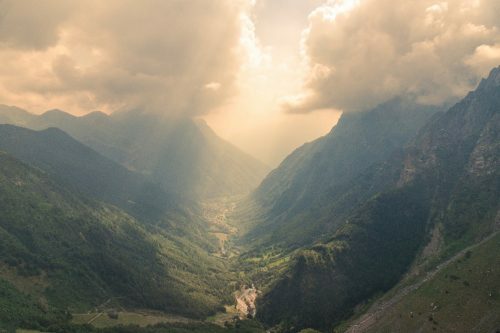 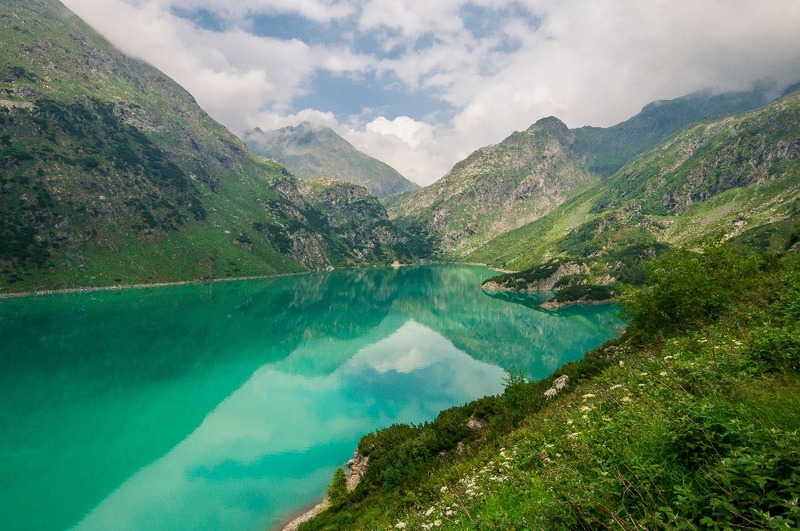 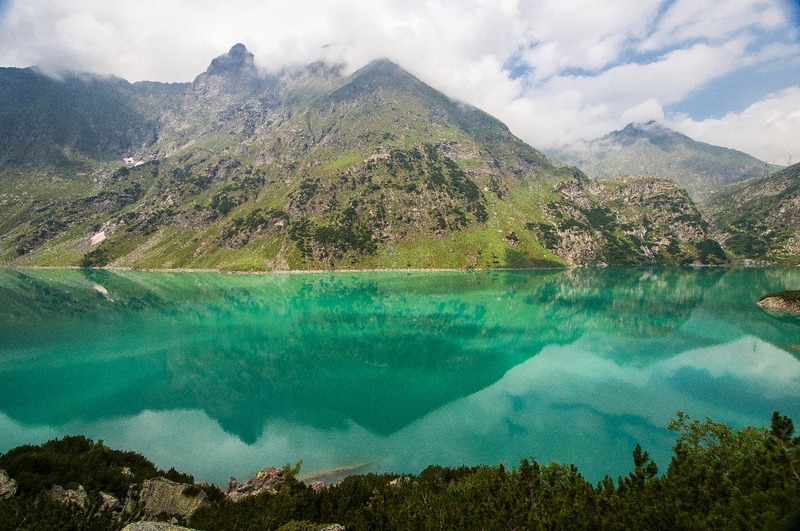 It is hard for me to evaluate how easy it is for a tourist to travel the area since my friend showed me around and I did absolutely no planning, although I can assure you it is well worth the drive if you are a fan of hiking. 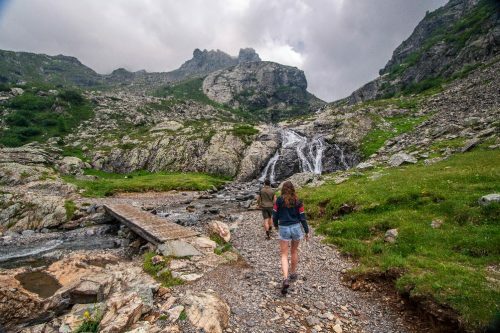 If you want more info about the hike I did in the area, please send me a direct message via Instagram (@Raphtravels) and I will put you in touch with my friend. 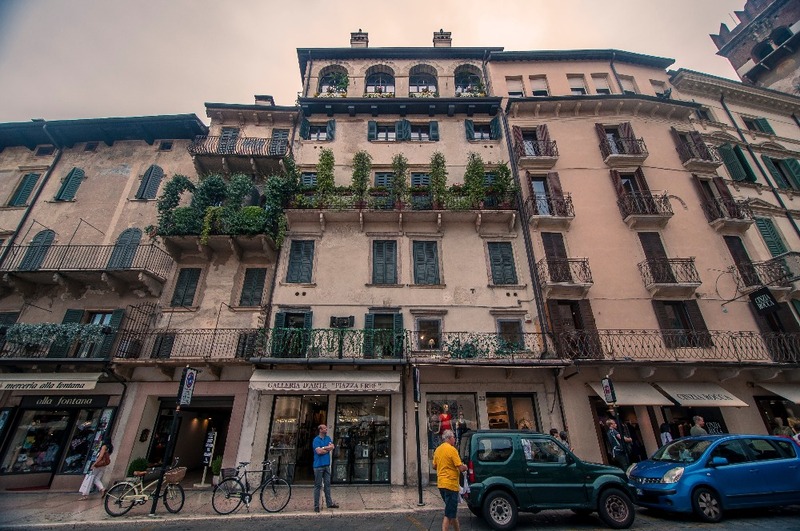 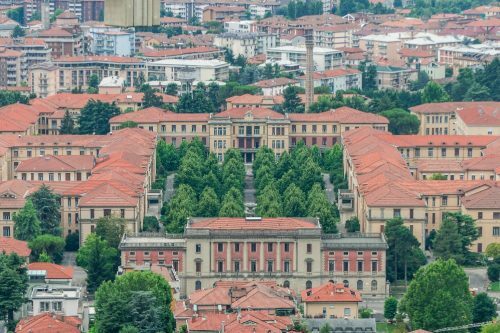 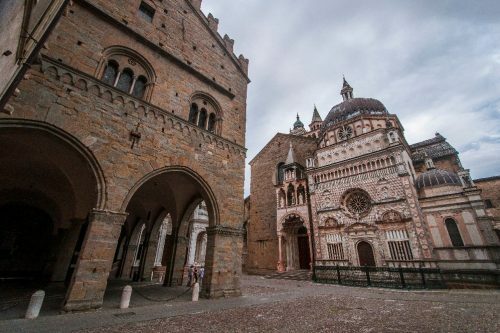 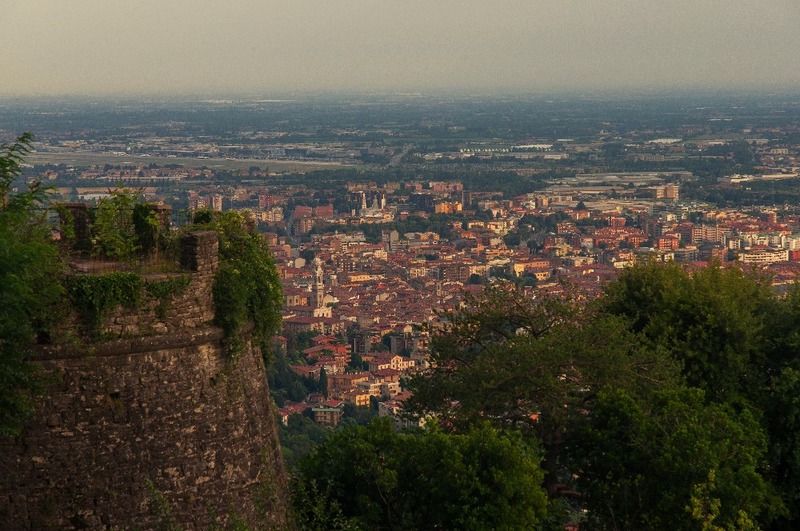 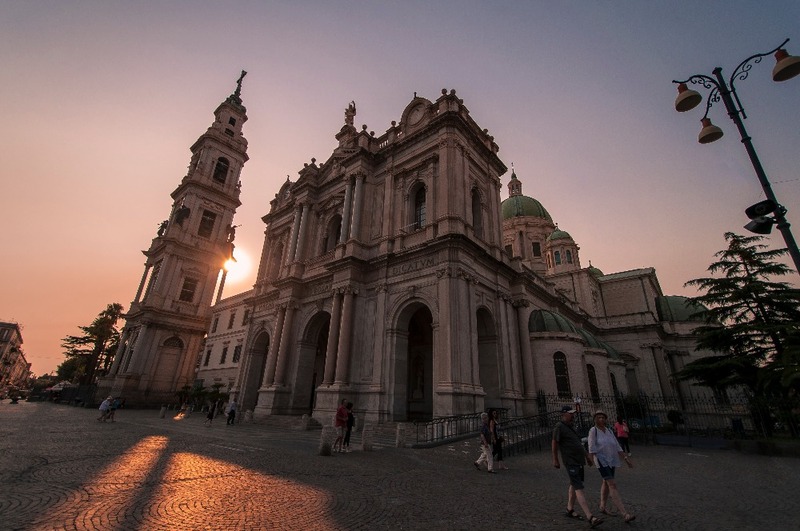 Bergamo was our first stop in Italy after we drove all the way from Innsbruck. 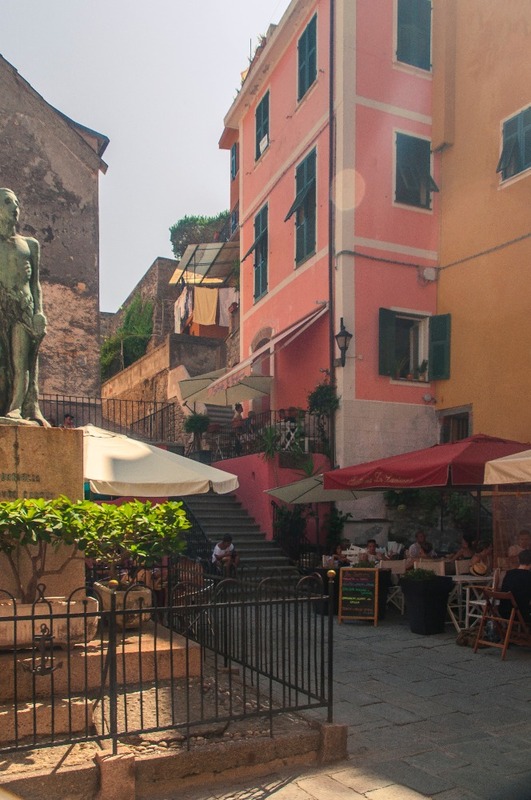 Our friend who grew up half an hour away from there showed us around town, taking us to some delicious gelato and what was possibly the best pizza we’ve had in Italy (Da Mimmo Restaurant in the old town). 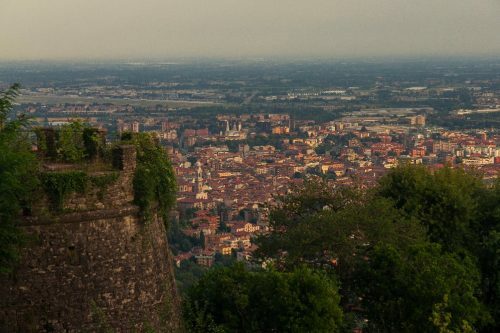 I strongly recommend checking out the old town located at the top of the mountain if you find yourself in the area. 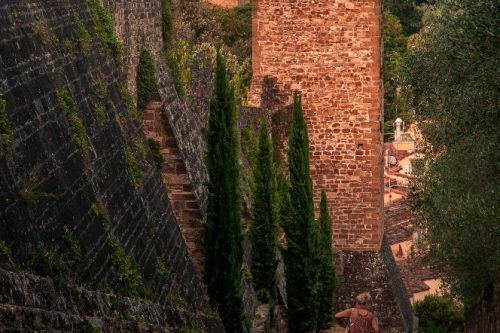 There is a funicular to take you up if you don’t feel like walking uphill for too long and the old city walls offer great views of the surroundings. We only spent one evening there but thought it was a really charming location. 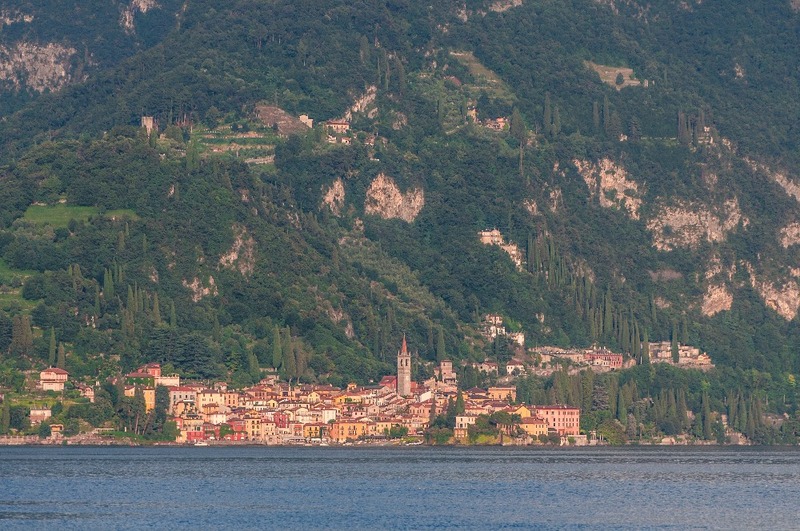 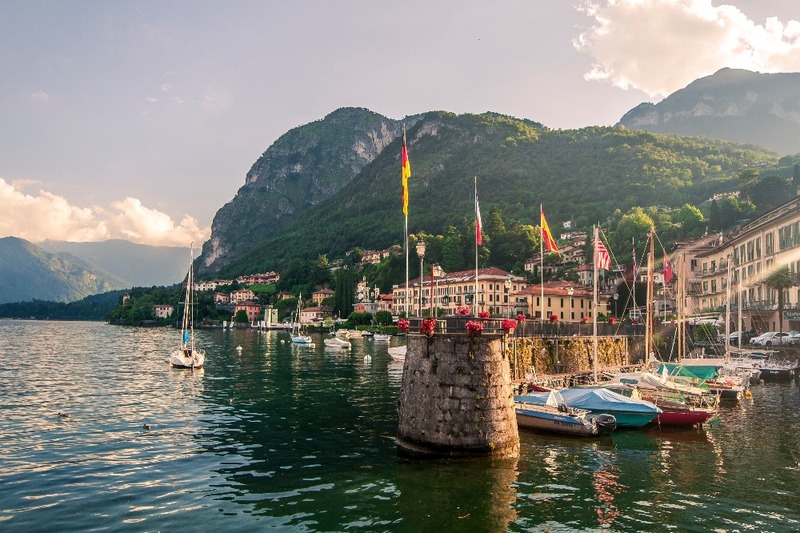 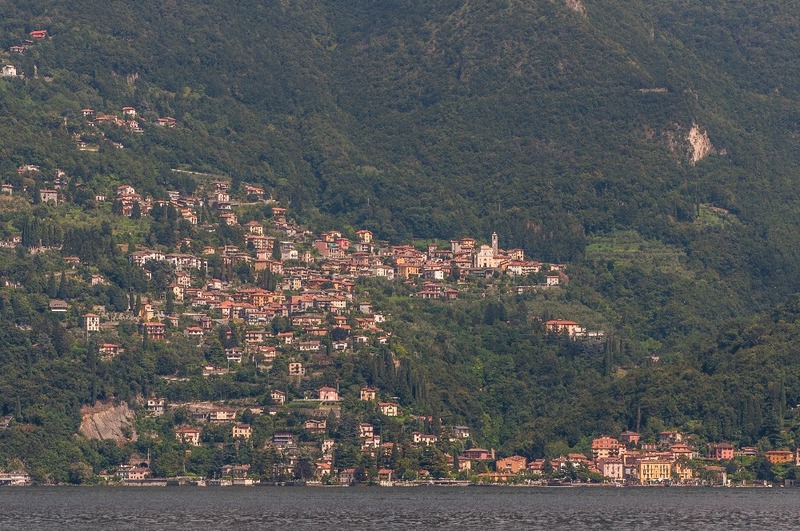 Lake Como is one of the largest lakes in Italy and is a major tourist destination. 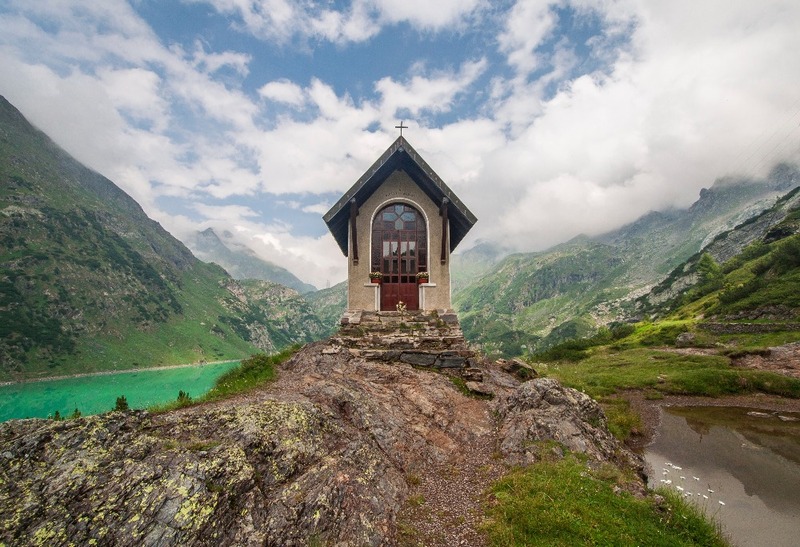 It is an absolutely gorgeous location with dramatic scenery as it is just by the Alps, only a few kilometers from Switzerland. 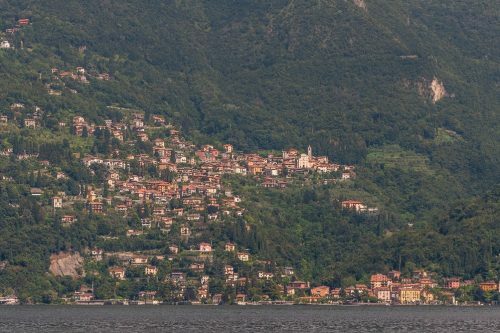 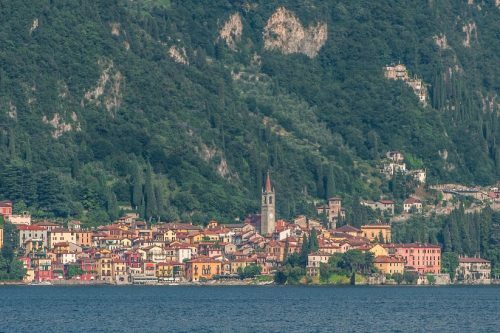 I only stayed in the area for one night as we had to squeeze Como between Cinque Terre and Clusone but I will be back for sure to do some of the many activities that were advertised in the area. 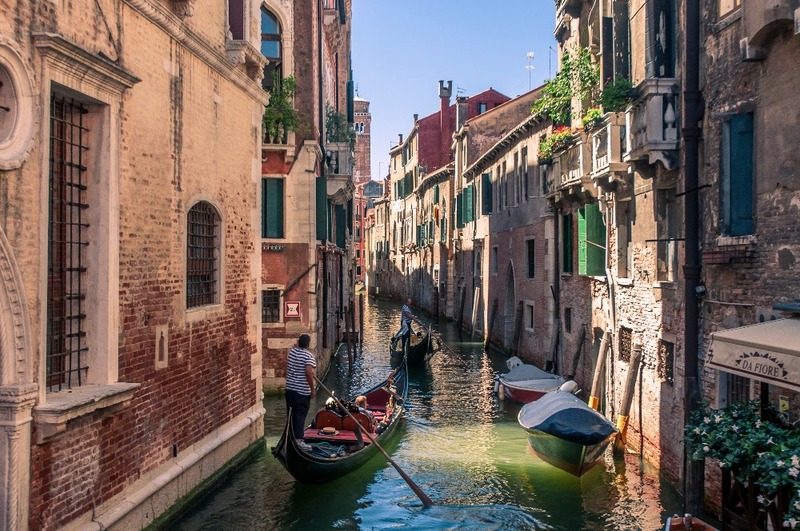 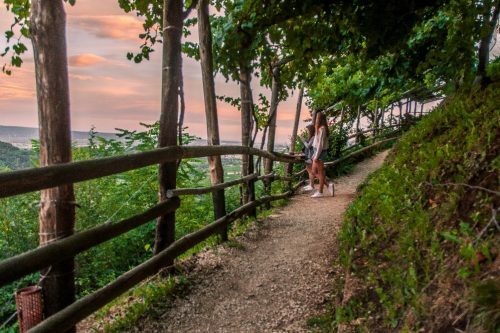 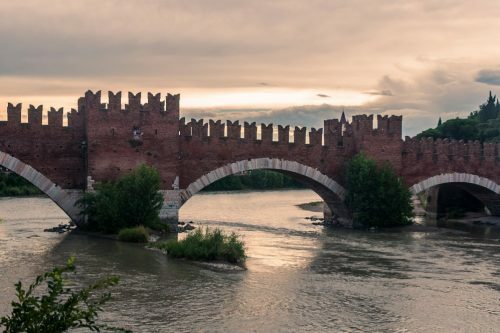 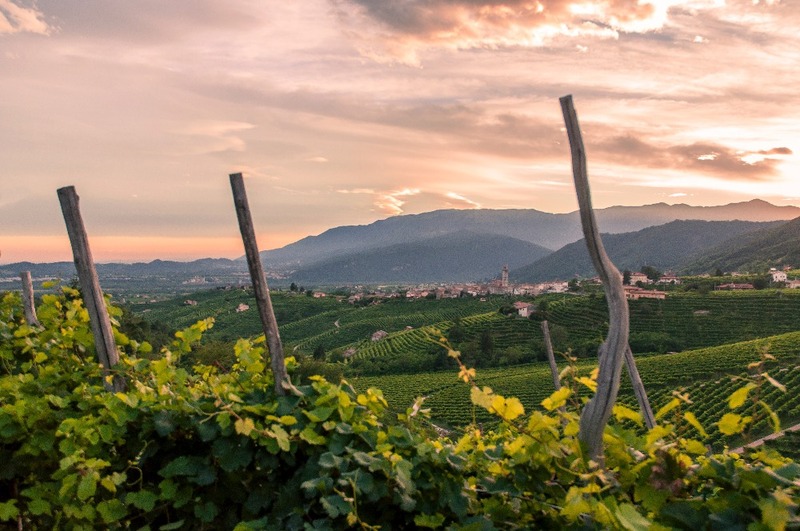 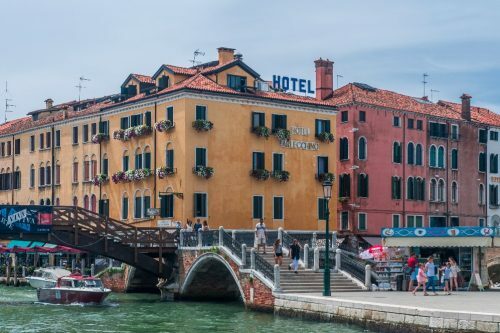 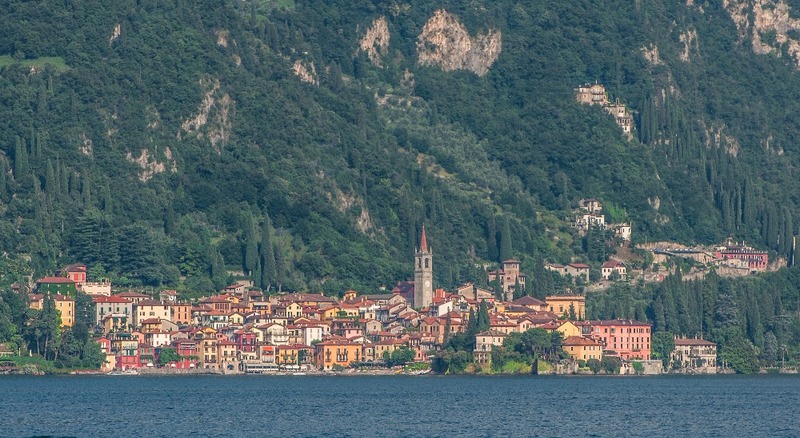 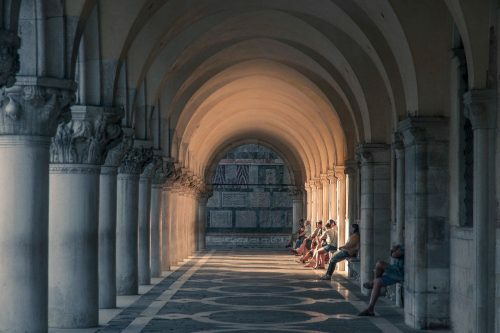 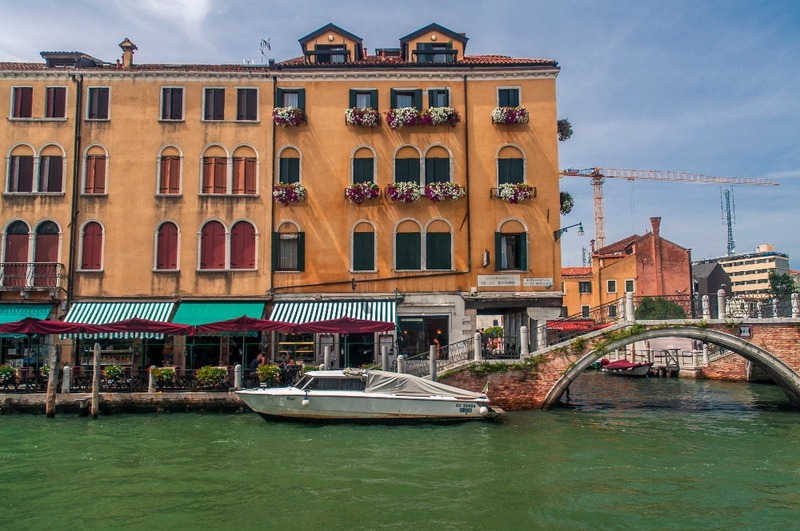 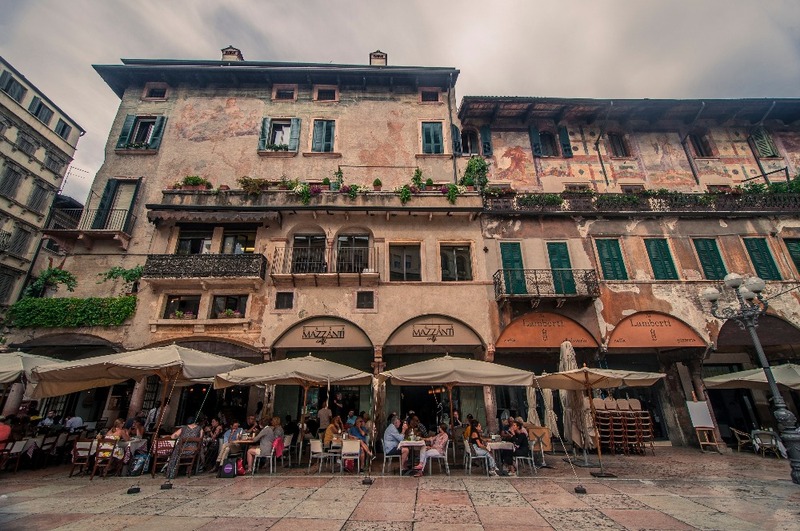 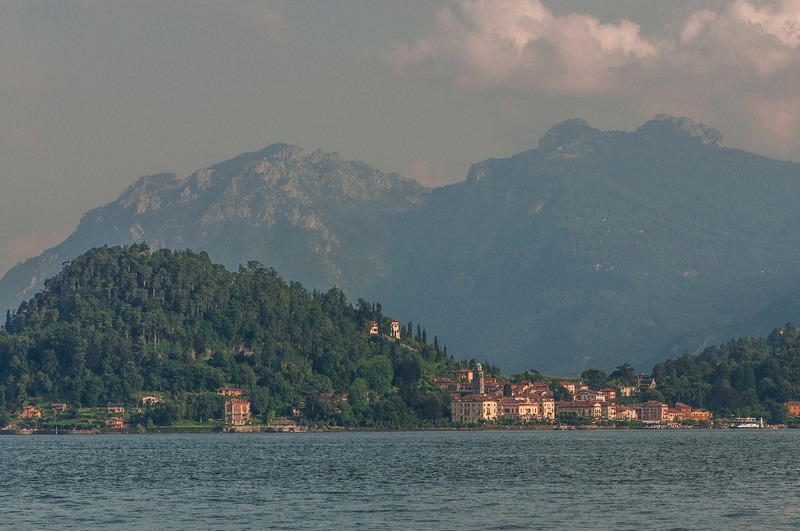 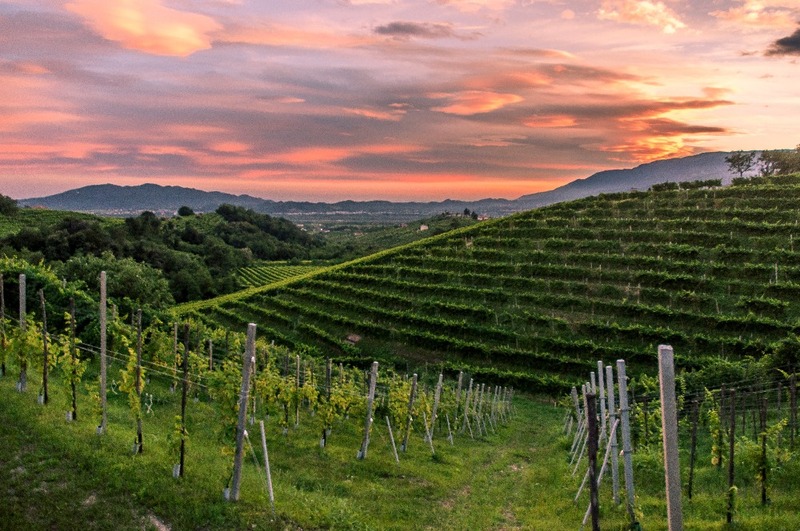 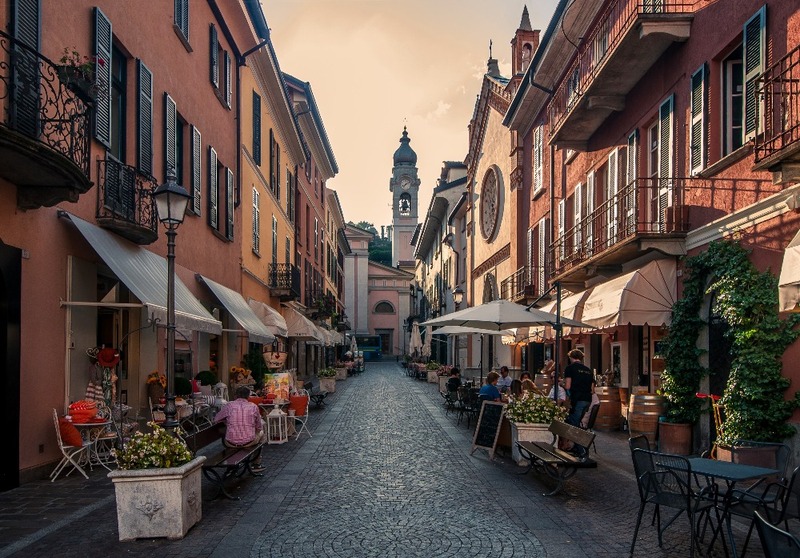 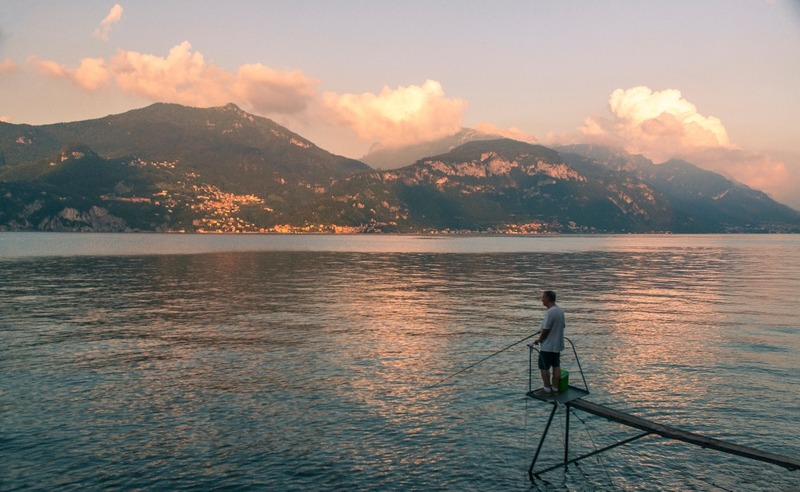 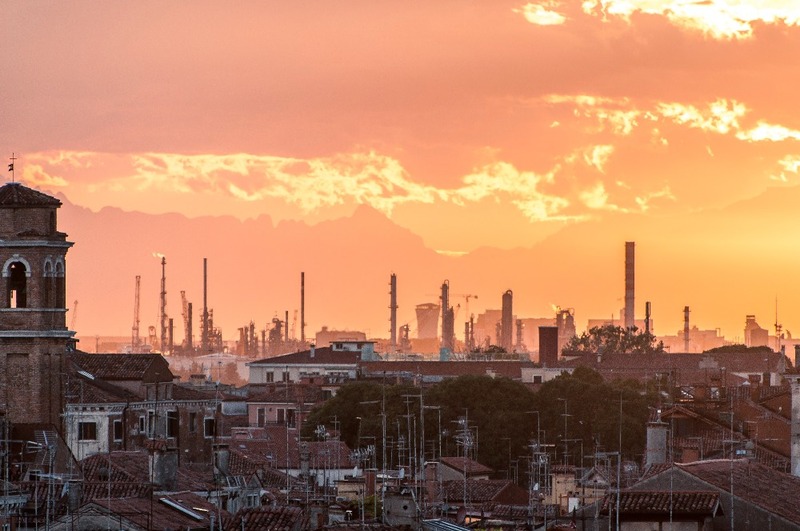 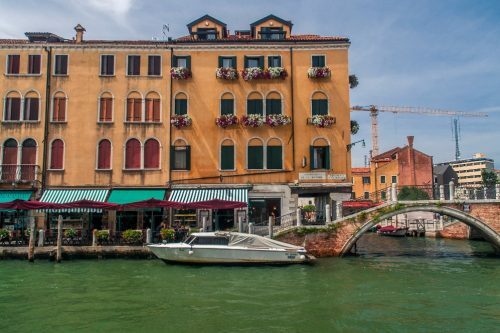 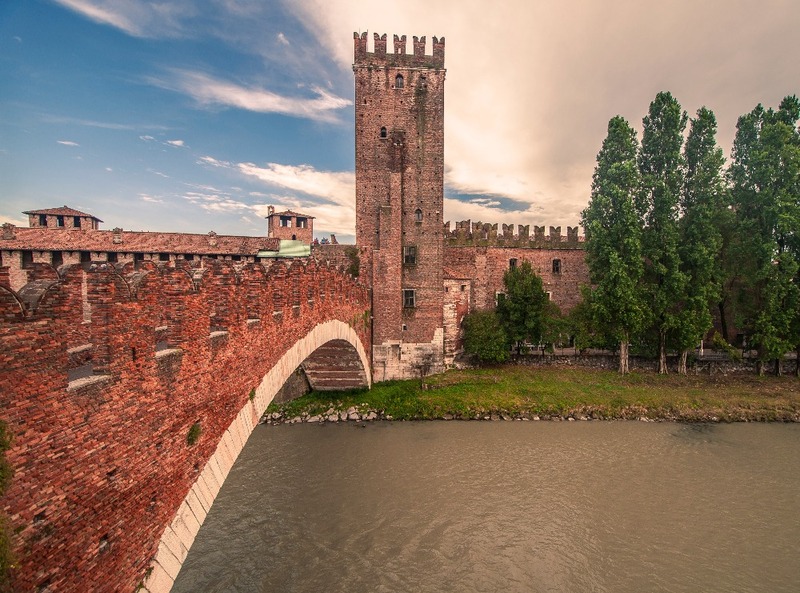 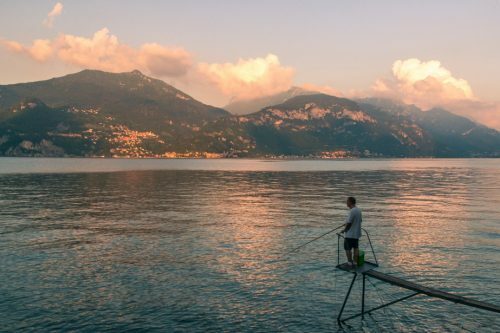 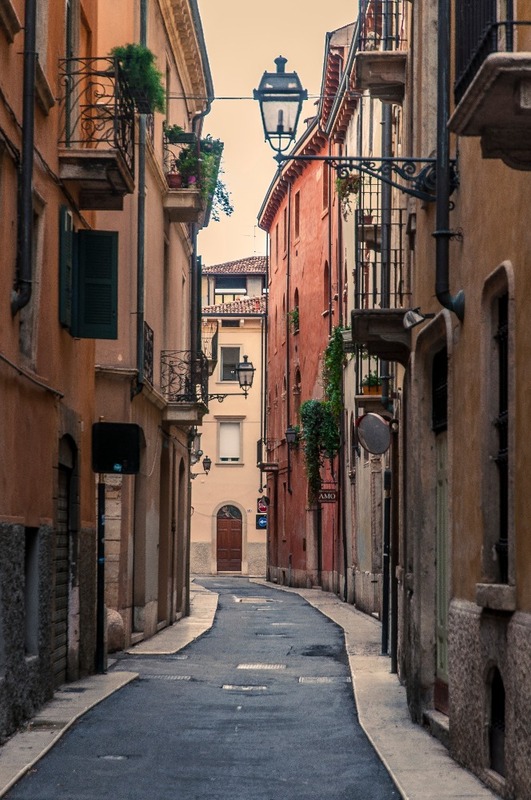 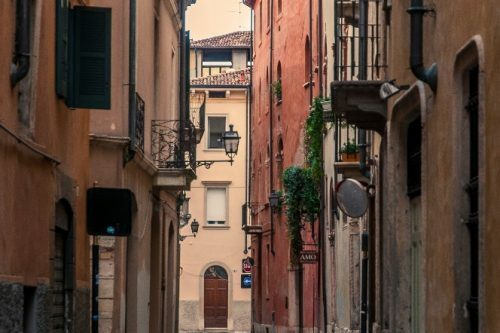 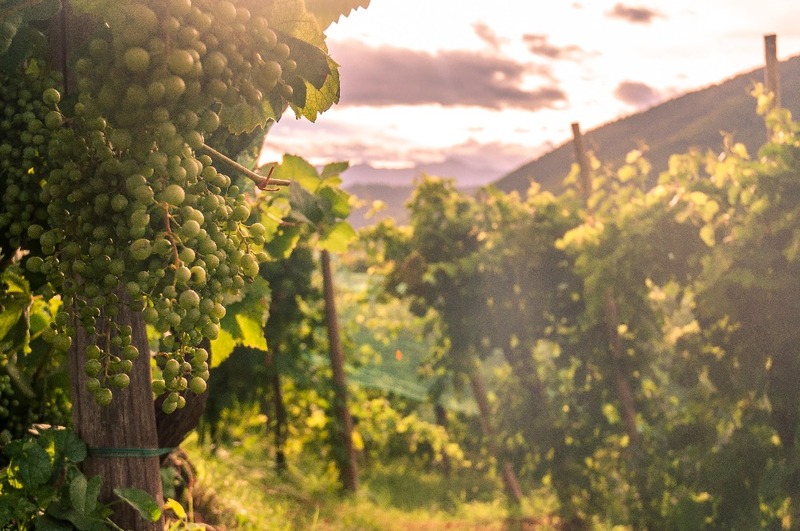 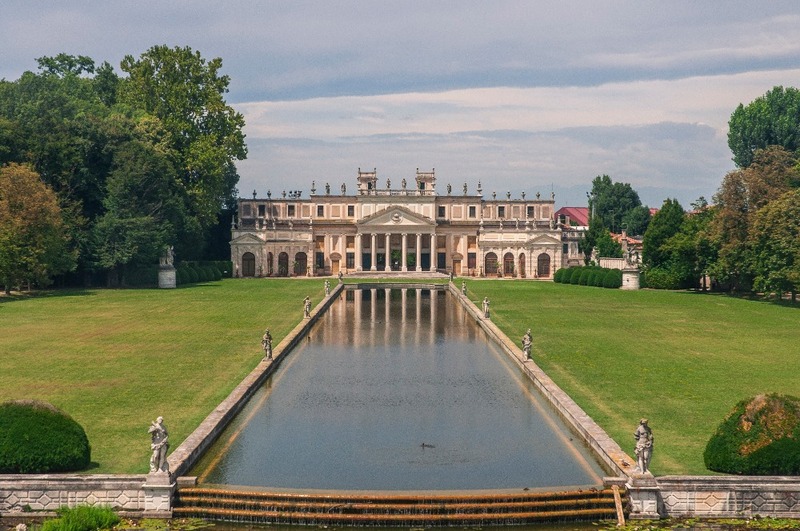 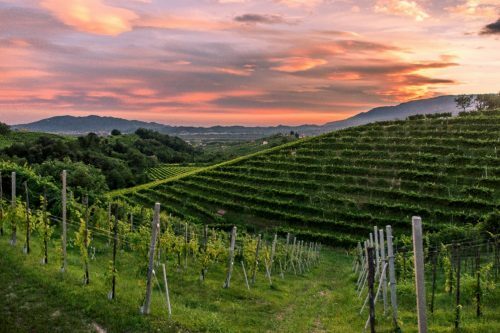 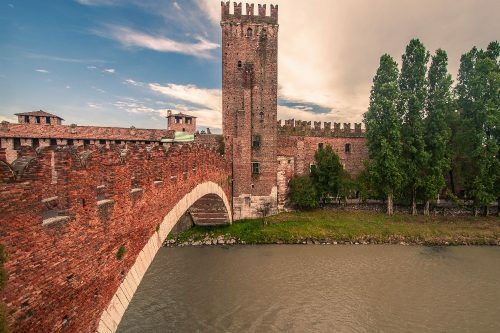 Verona is located near the Lago di Garda, Italy’s largest freshwater lake, which makes it a prime destination for tourists coming mostly from Germany. We made a brief stop there on our way from Florence to Venice and spent the afternoon exploring the area. 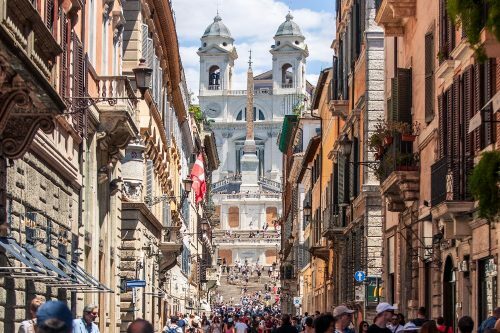 While Verona doesn’t really stand out compared to other iconic Italian cities, it was charming enough to keep us around for an entire afternoon. 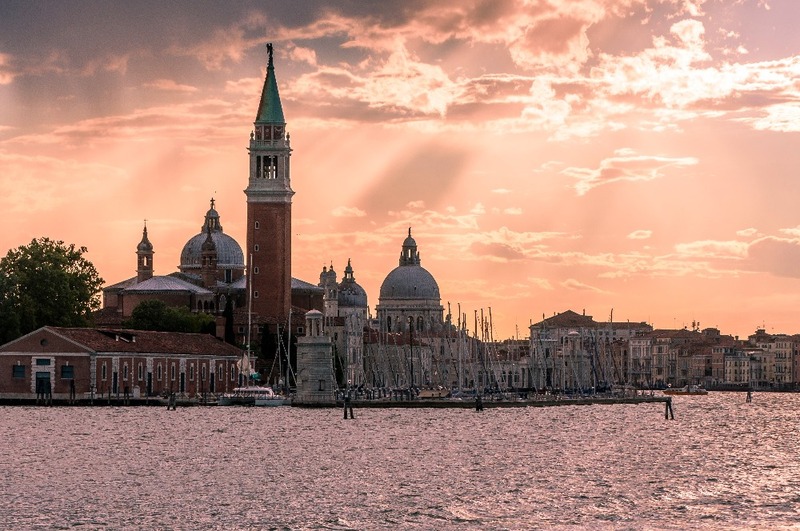 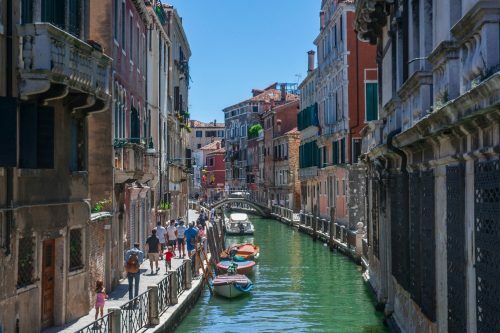 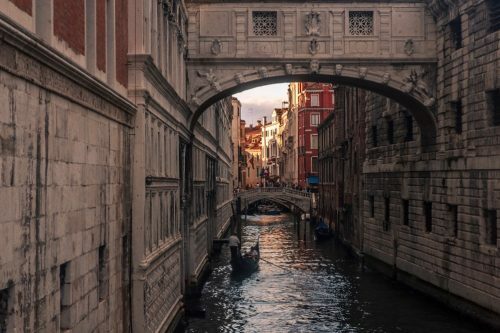 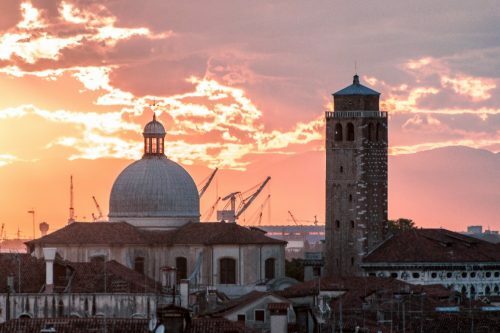 Venice is what many people call a “museum city” because of how crowded it gets during peak season and how difficult it can be to move around when thousands of tourists are in the way. 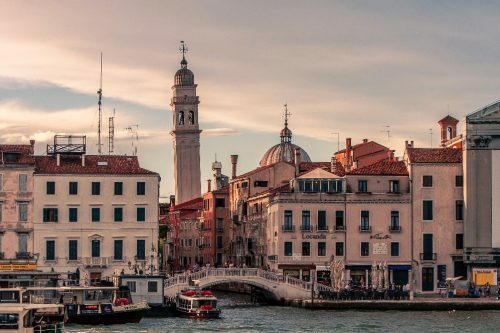 Not being a fan of crowds, I thought I maybe wouldn’t appreciate Venice as much as other places I’ve seen on my trip, but I was wrong. Nothing can take away the charm of that city! 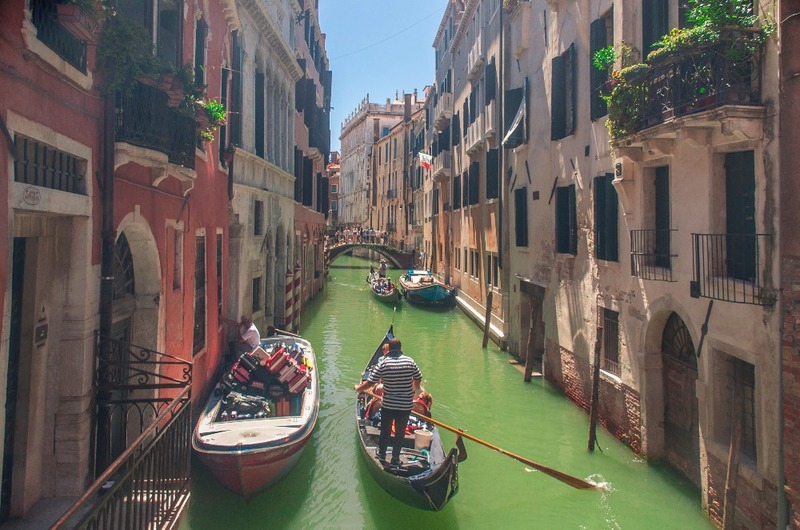 Its unique canal system, architecture and overall feel are like nothing I’ve seen before. 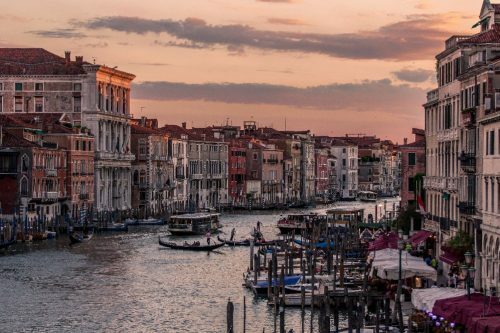 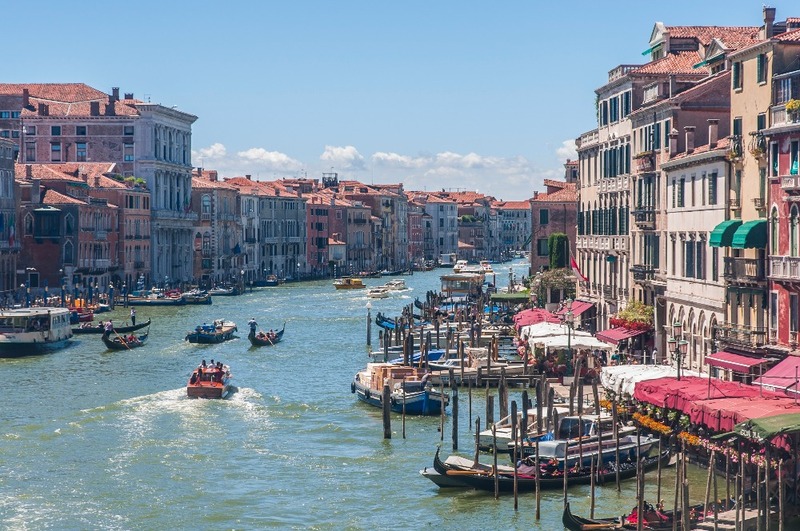 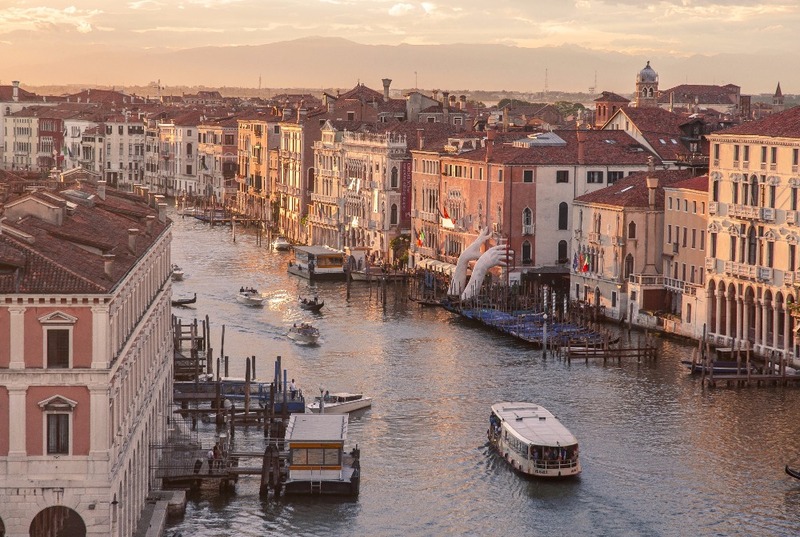 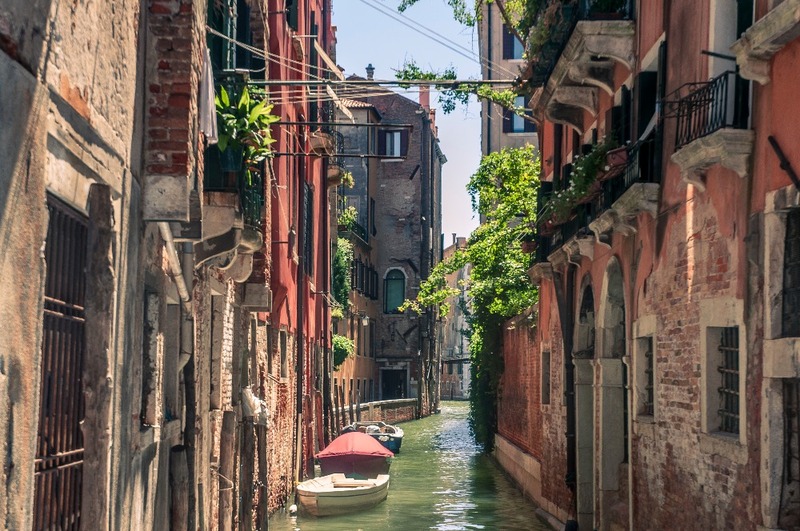 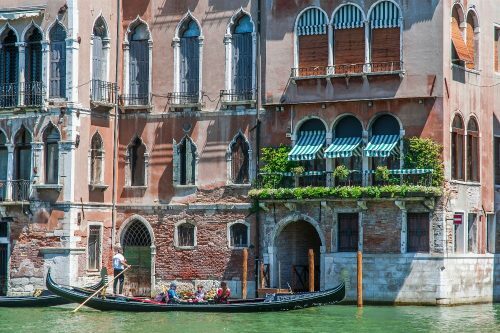 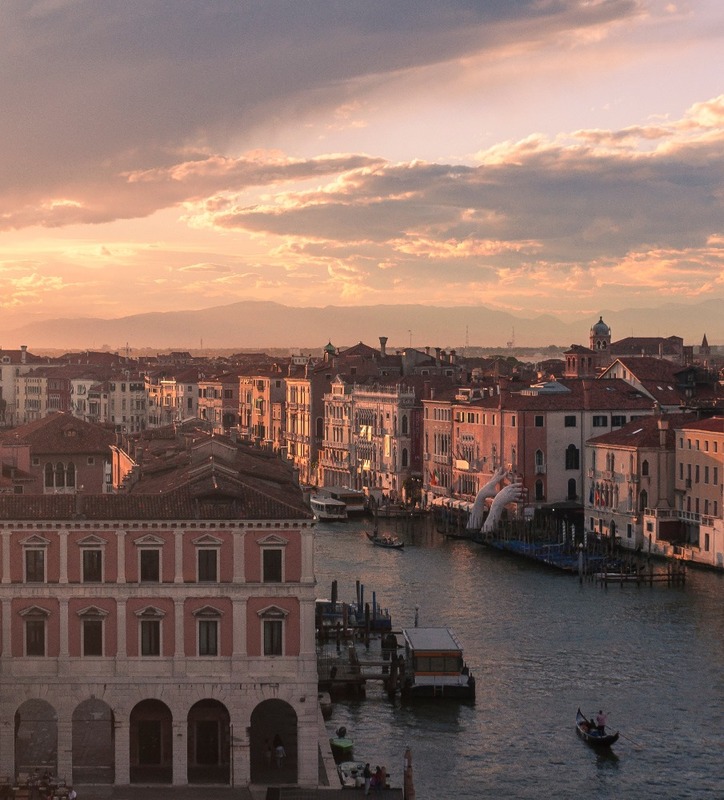 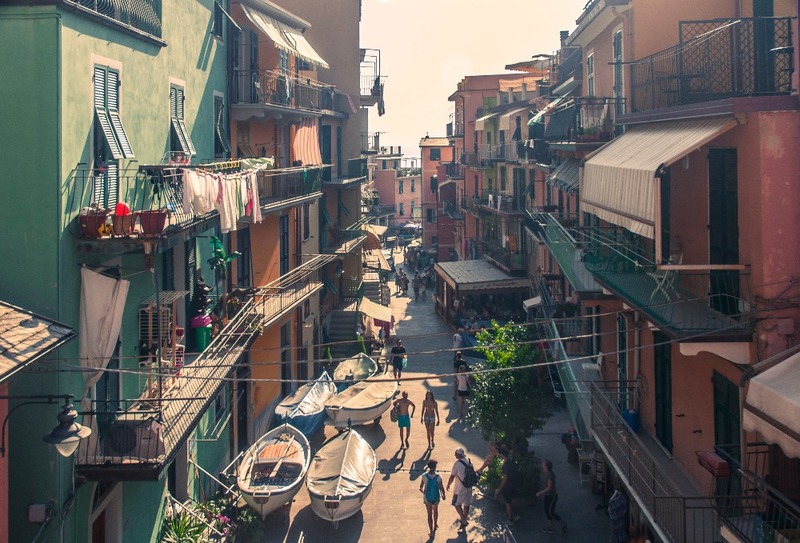 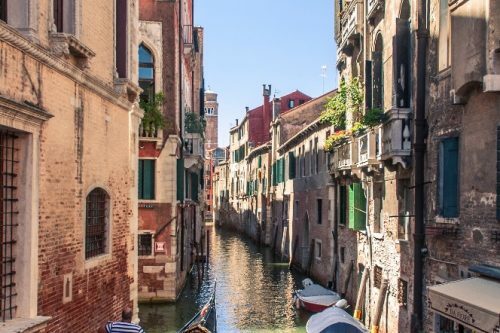 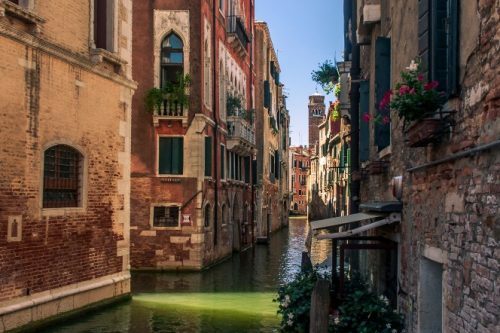 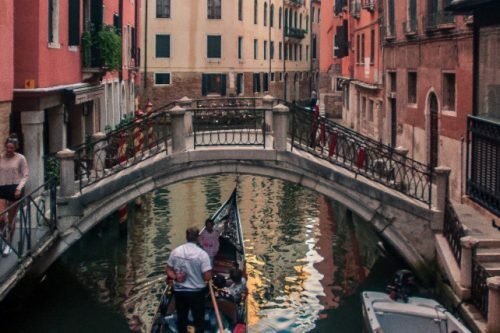 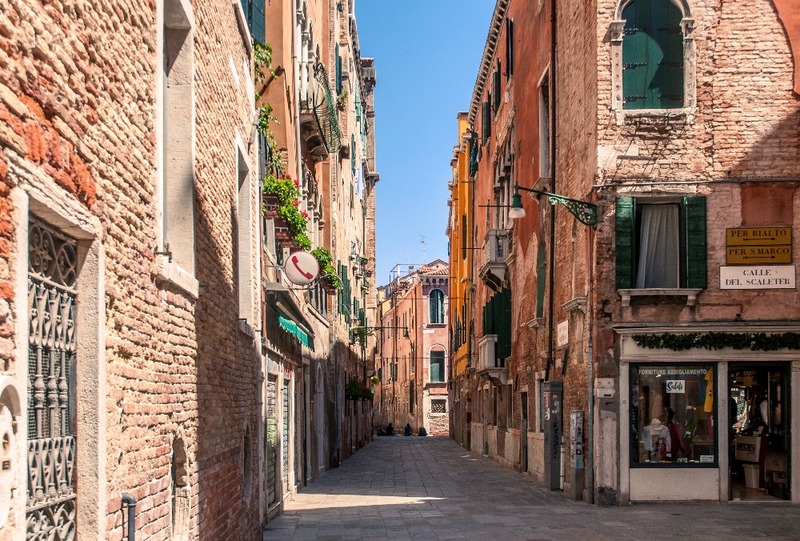 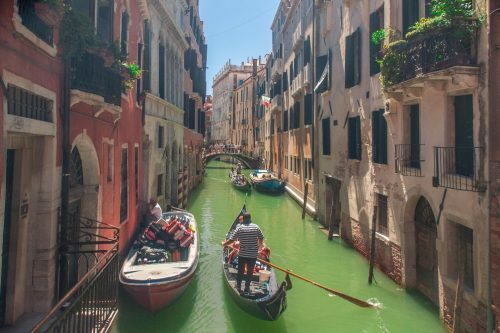 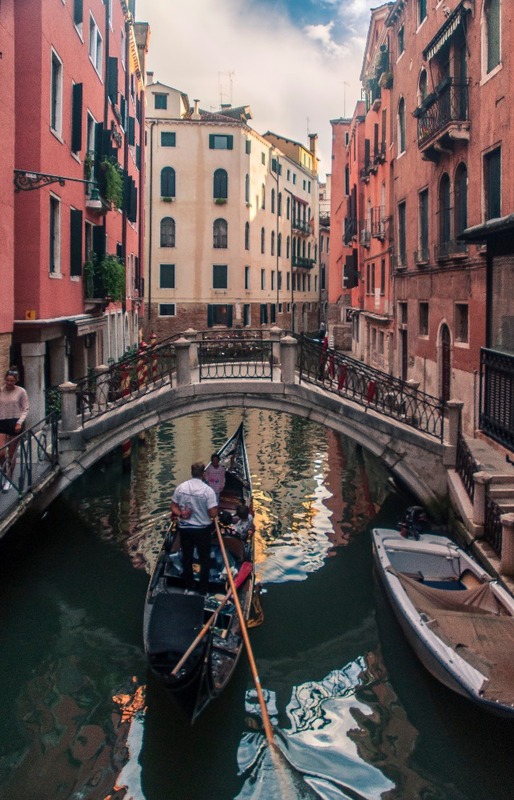 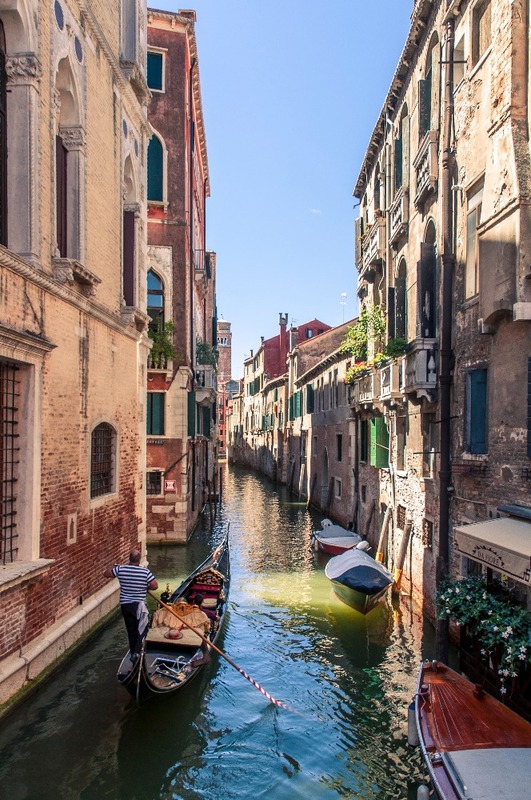 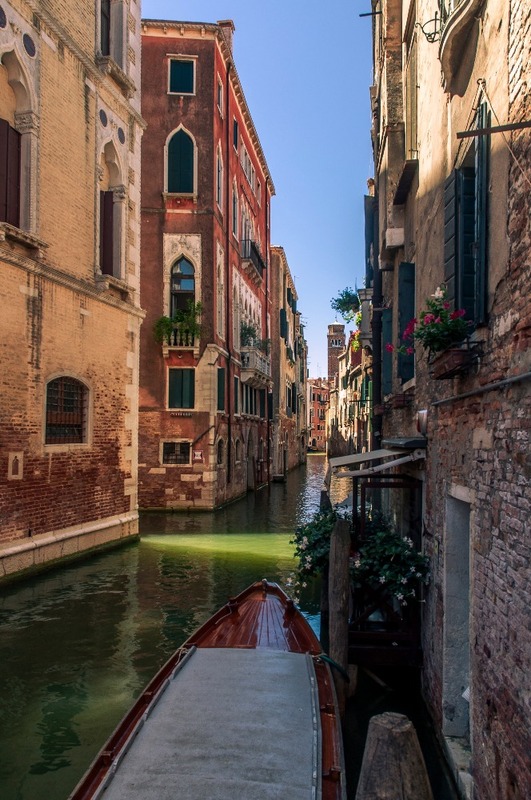 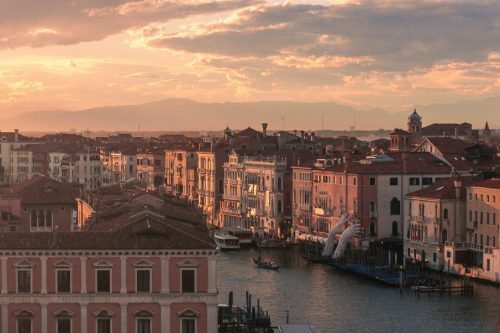 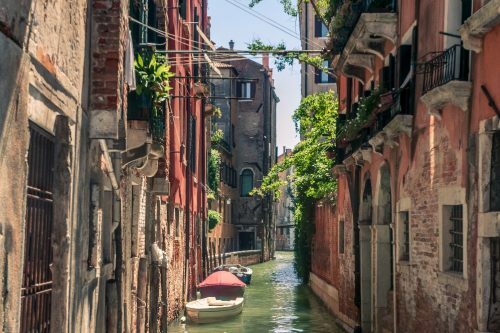 Venice is considerably cheaper than other cities in Italy (Florence!!!) 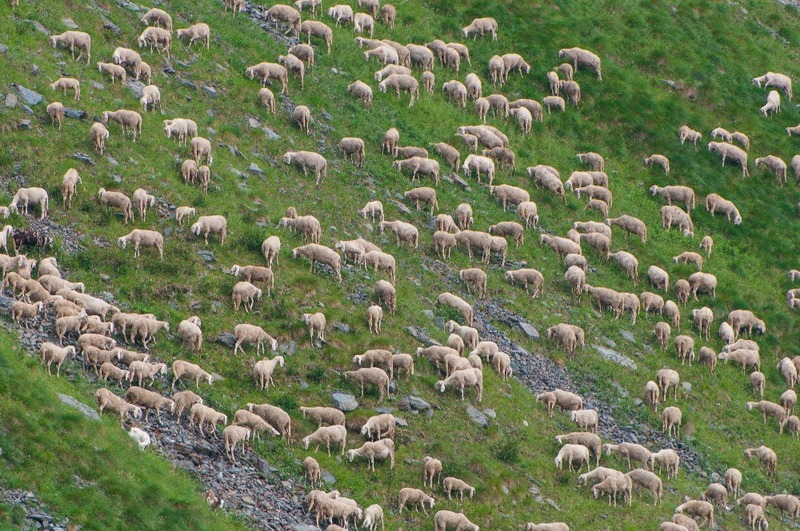 when it comes to the food. 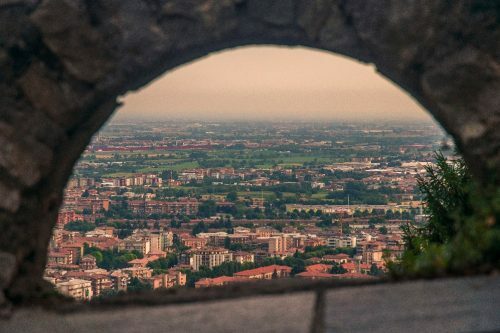 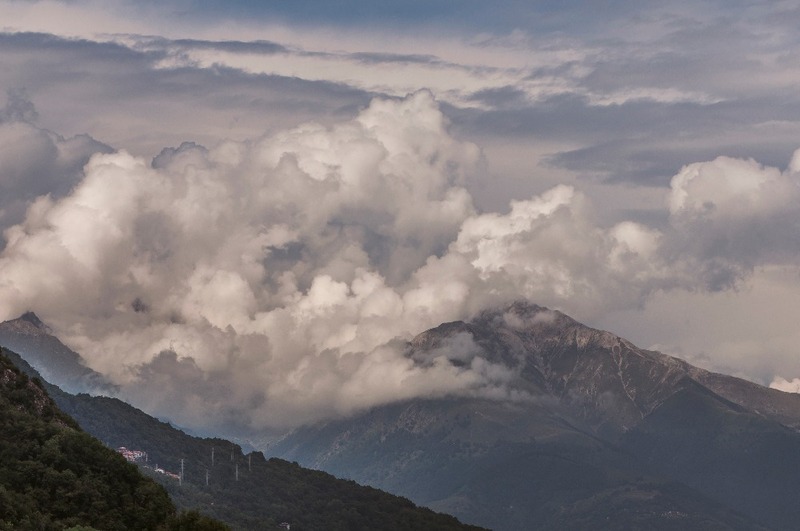 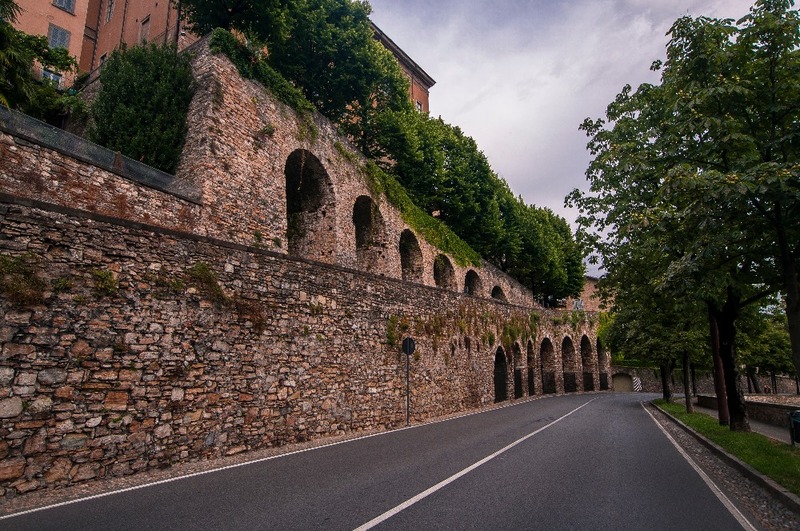 During my stay, I was staying at a friend’s place just outside of town in a suburb called Crocetta del Montello. I would recommend to anyone with a car to spend some time in the countryside in the area if they really want to get a real feel of Italy. 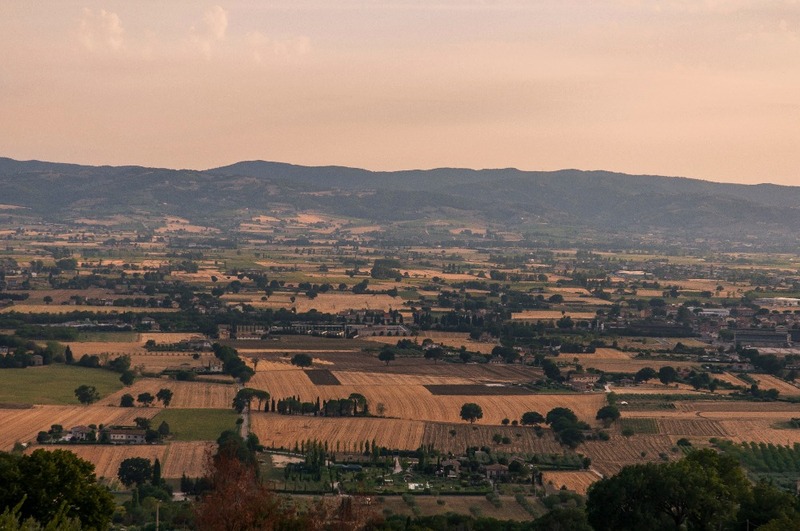 You’ll see some grapevines, fields, and fancy palaces in the pictures below, which were all taken near my friend’s place. 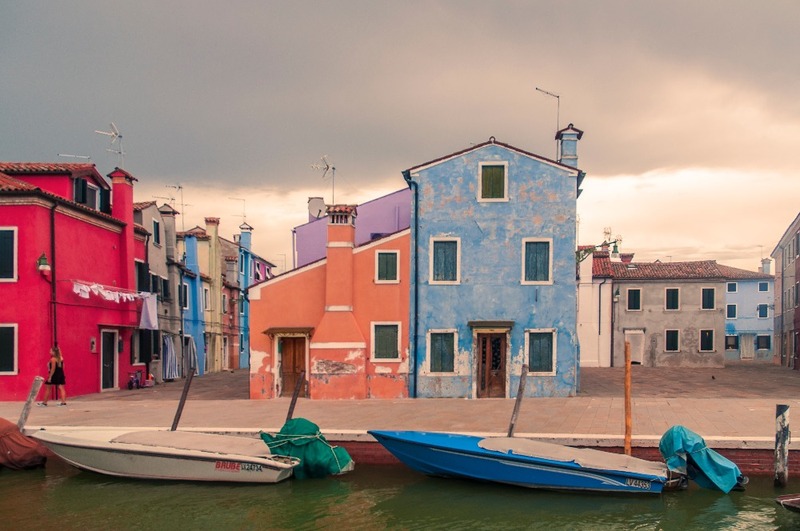 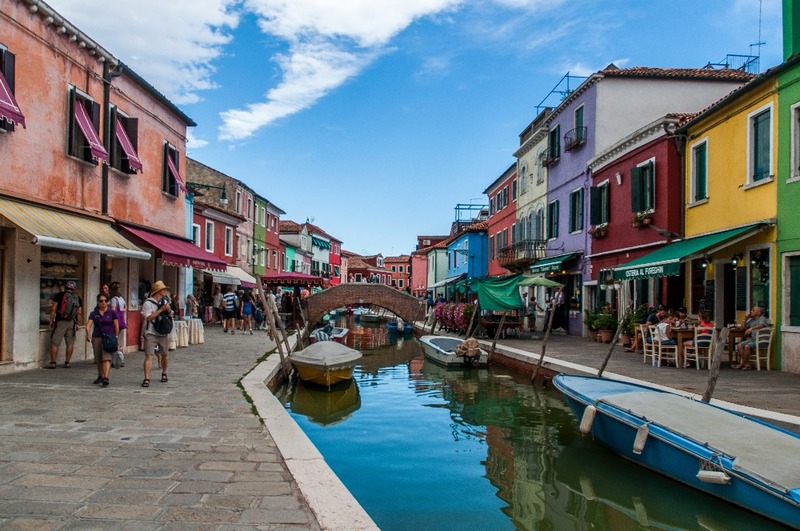 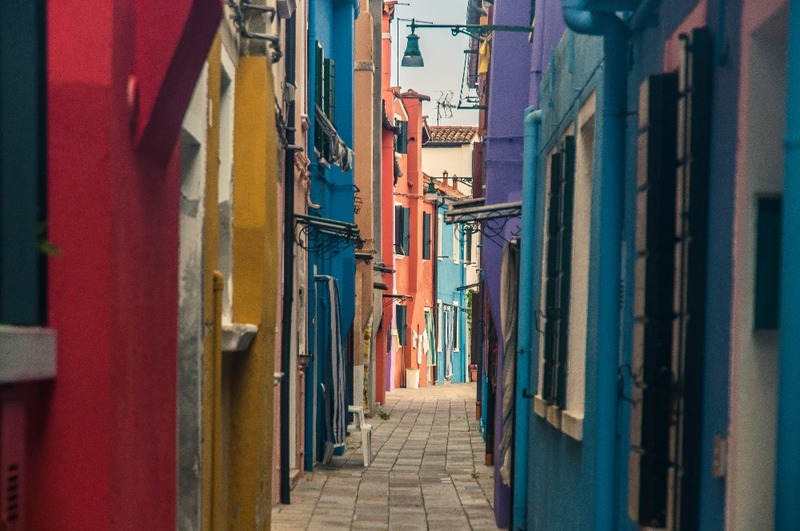 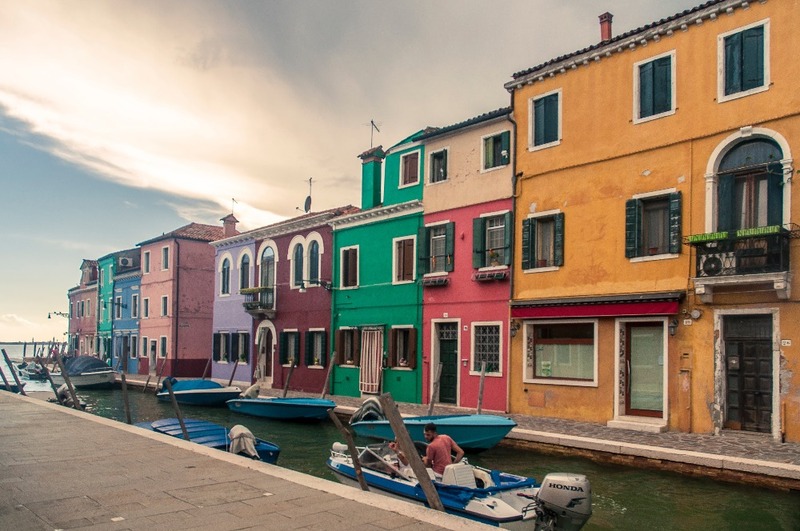 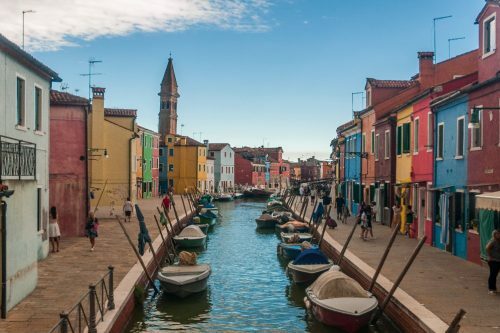 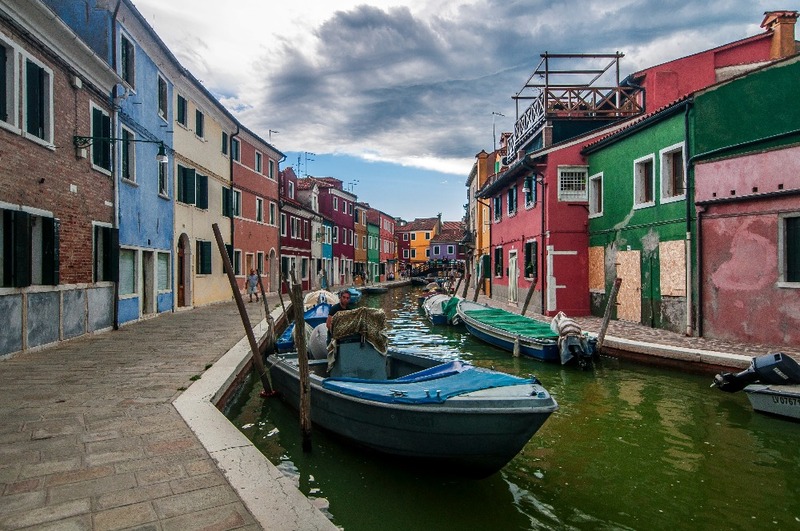 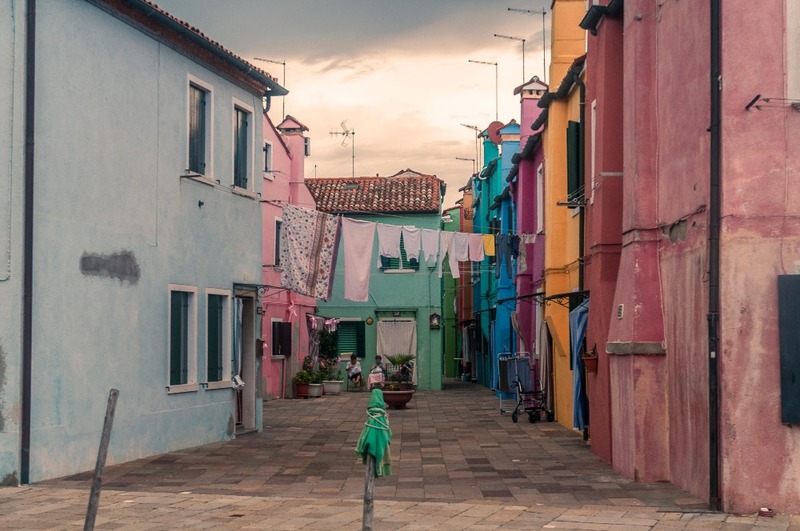 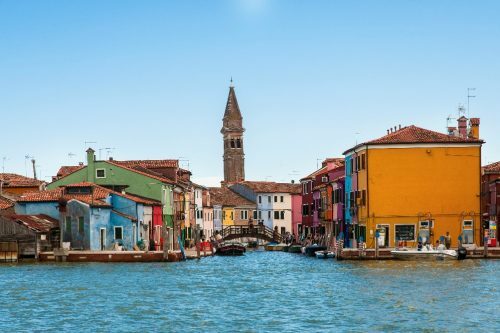 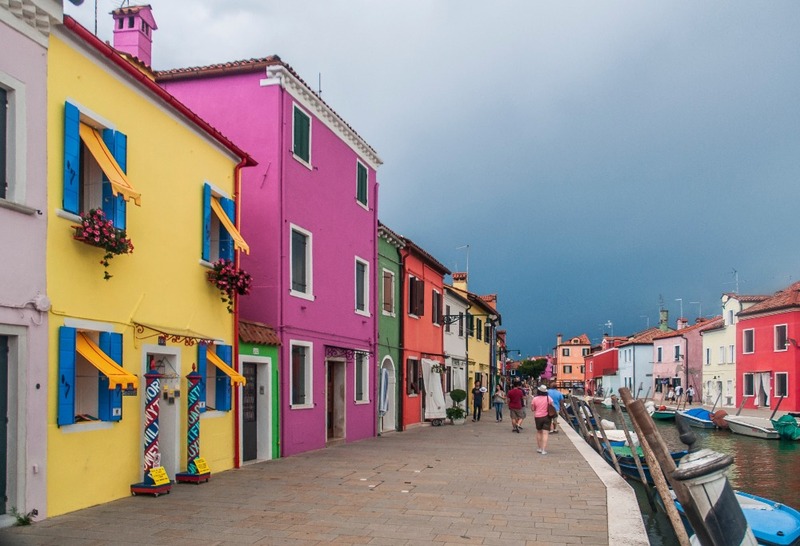 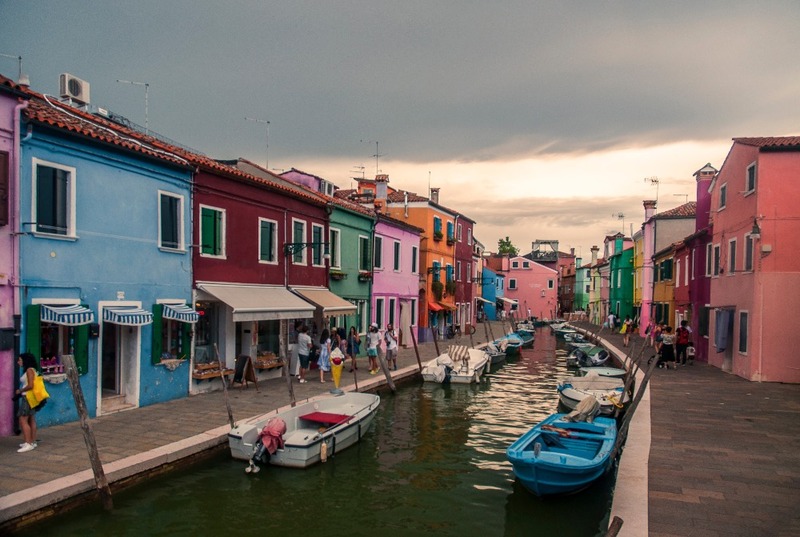 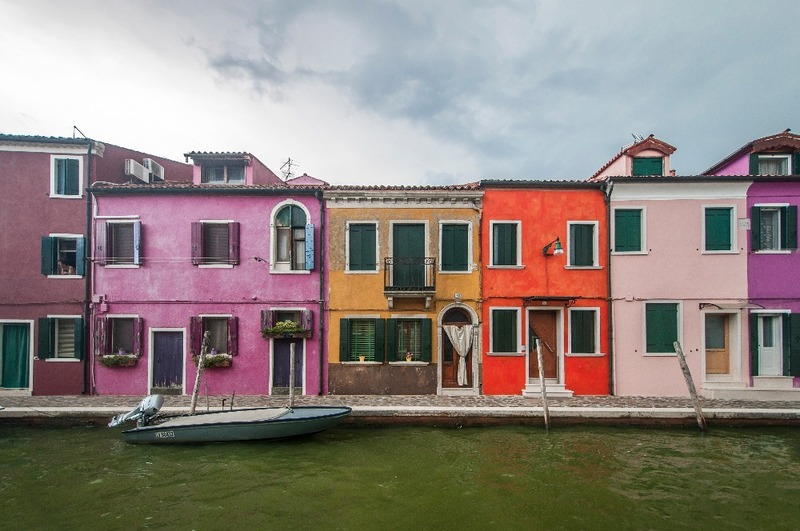 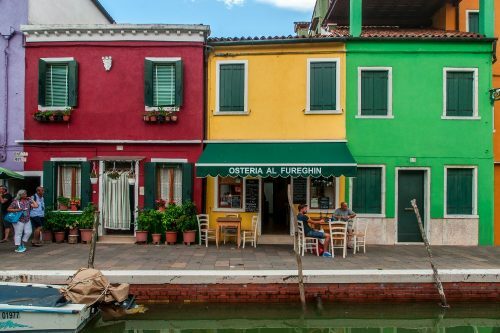 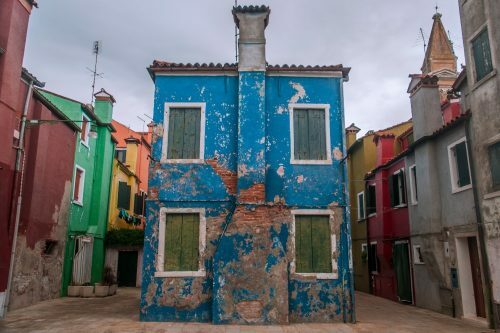 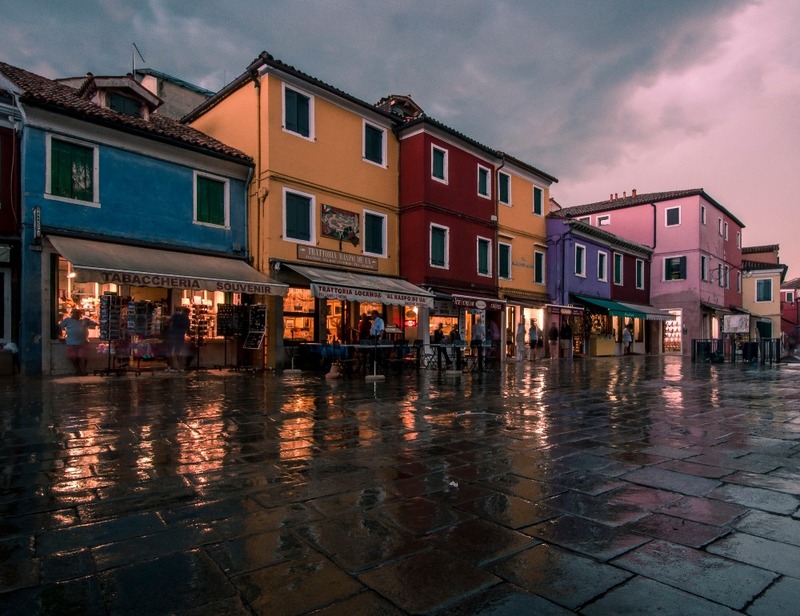 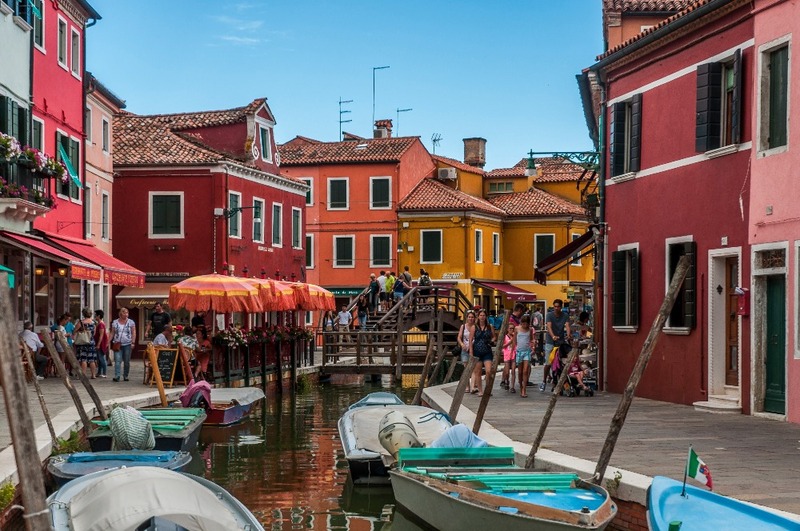 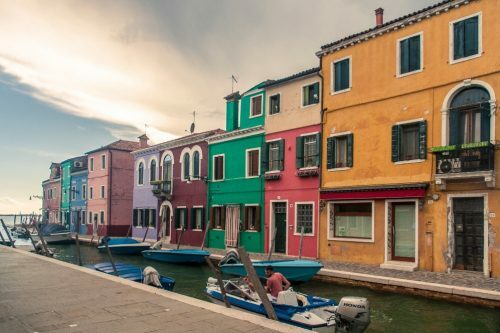 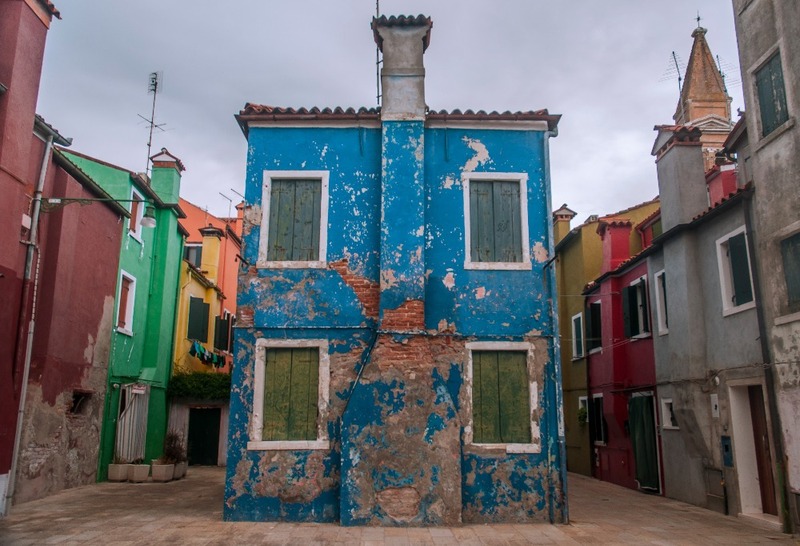 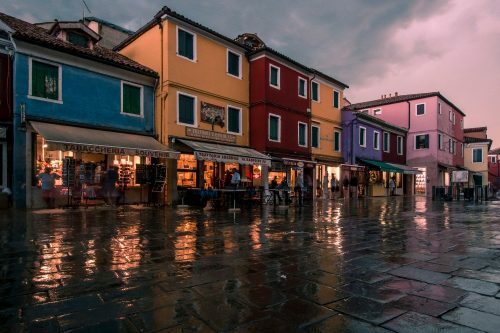 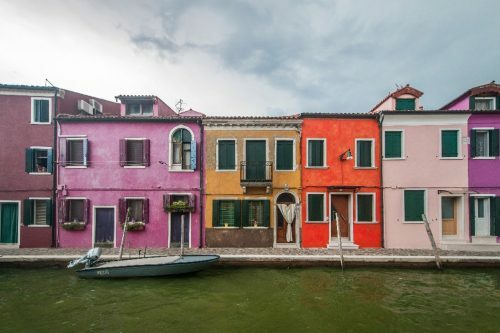 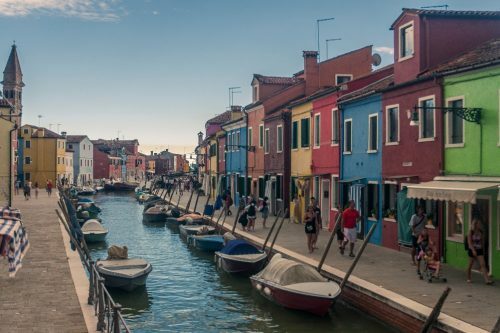 The colorful houses are on an island called Burano located a couple hour by ferry from Venice, which is in my opinion absolutely worth checking out as well. 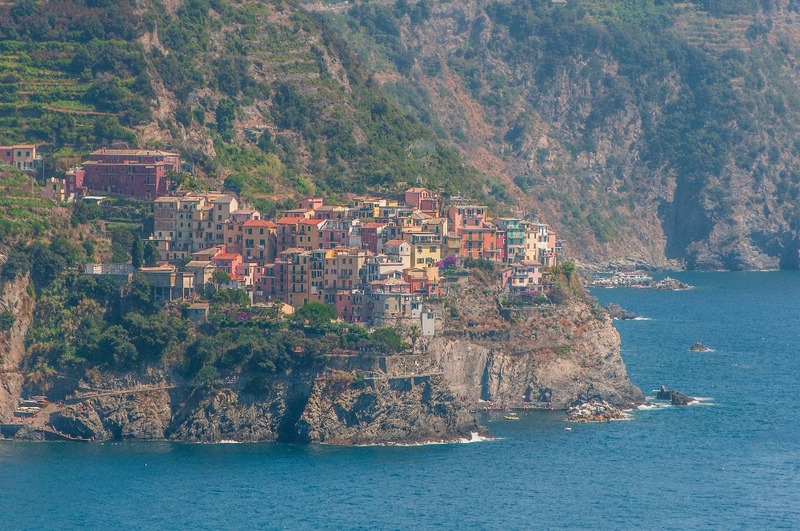 Cinque Terre might be the one place that I was looking forward to the most before I left for my trip to Europe. 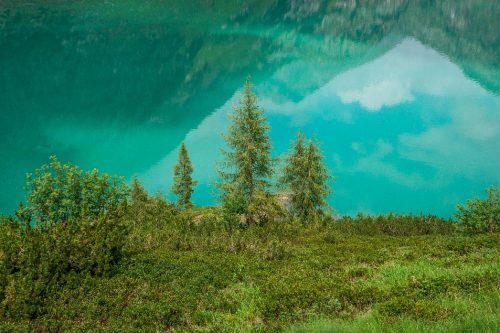 I had seen countless pictures of the area and I was really looking forward to being there to hike, explore and obviously take hundreds of pictures. 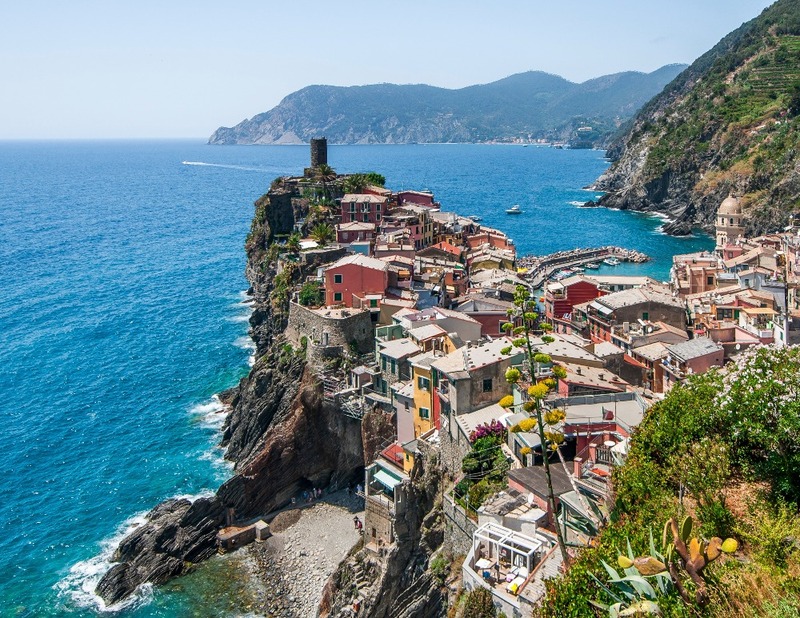 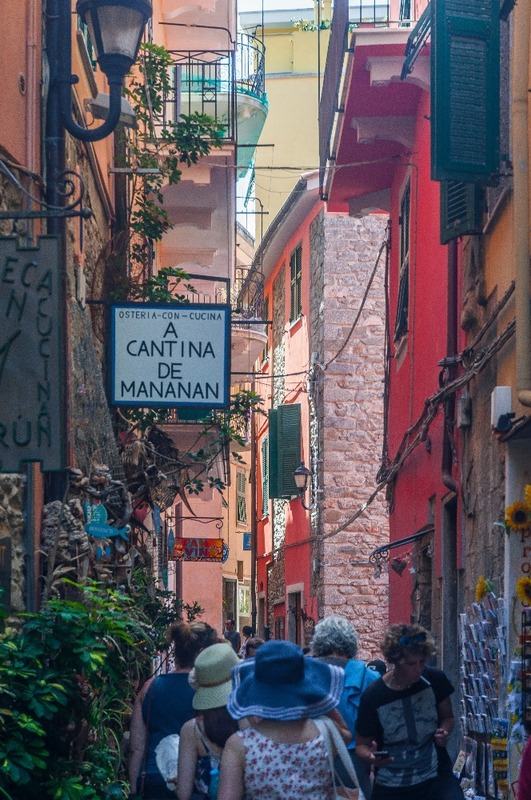 Cinque Terre consists of five small fishing towns that were built on the edge of steep cliffs by the Ligurian Sea that feature colorful houses and hundreds of narrow alleys. It is a truly unique sight, and despite being quite touristy, the hike connecting the five villages is surprisingly quiet. 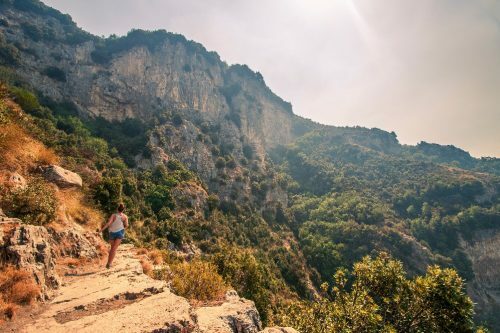 The hike is the thing that had me so excited all along and it did not disappoint. 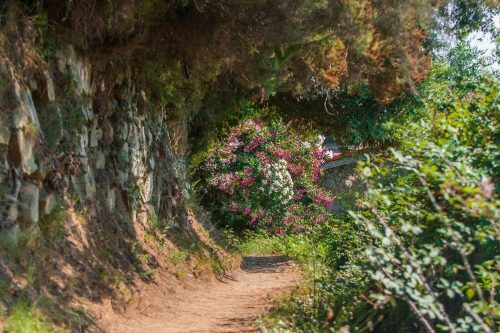 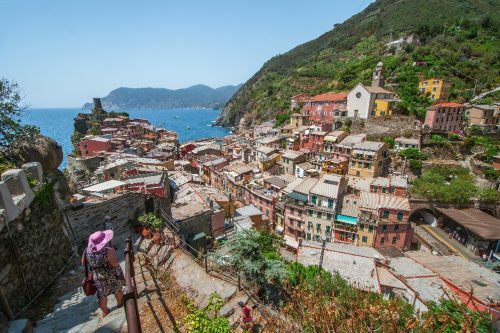 When I visited in July 2017, some portions of the hike were closed, which forced me to walk all the way up the mountain and back down twice between the towns of Vernazza, Corniglia and Manarola. 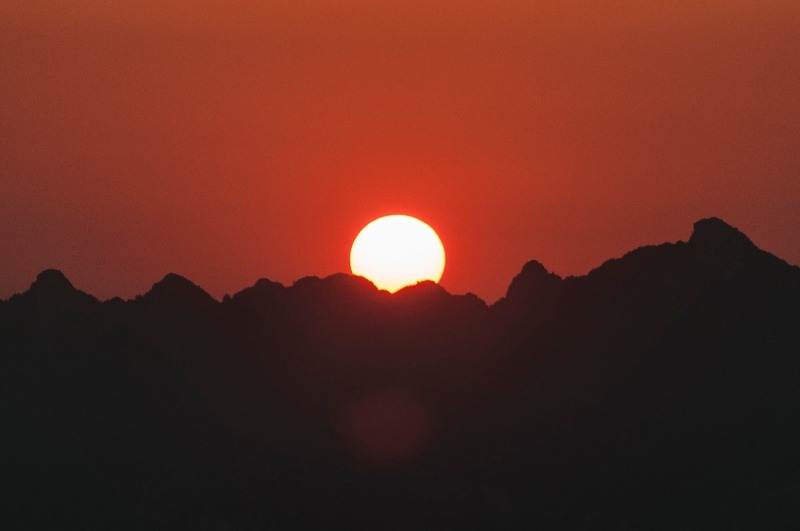 Hiking the whole thing in one day can take up to eight hours depending on your pace, and if you end up there in July like me, be prepared for some intense heat. 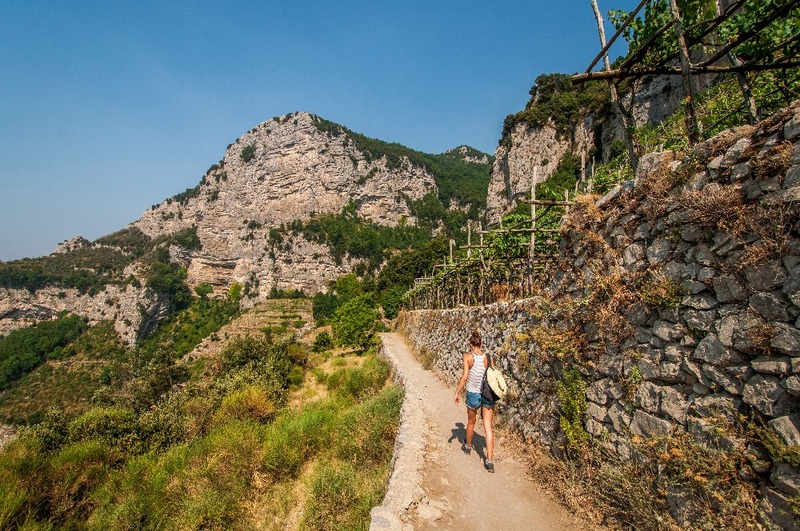 If hiking isn’t really your thing, you can always take the train from one town to another and still get a chance to explore the villages, although I strongly recommend the hike as it really gives some breathtaking points of view that you don’t get to see if you are inside the towns. 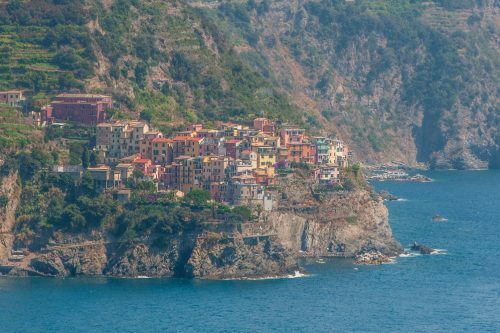 One last thing, if you are traveling by car like I was, beware that parking in the Cinque Terre can be quite tricky, although not impossible. 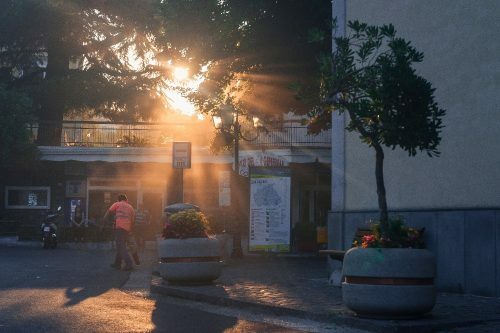 I would recommend parking in a nearby city (ie. 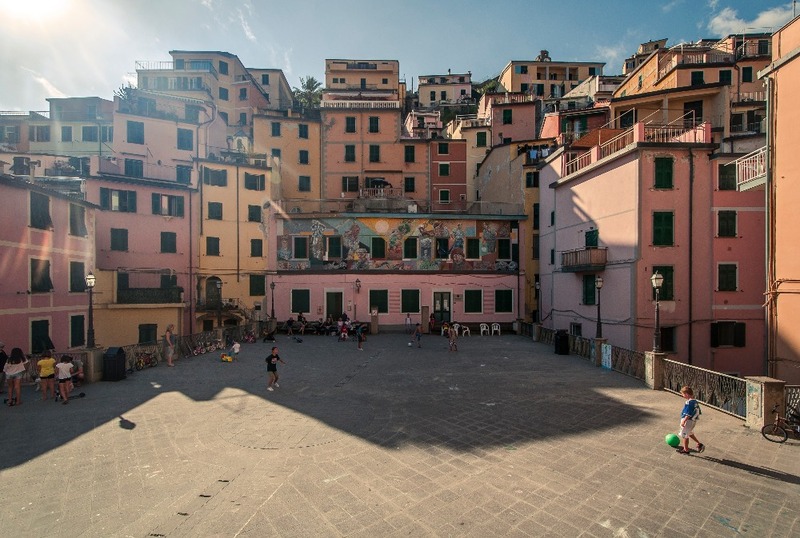 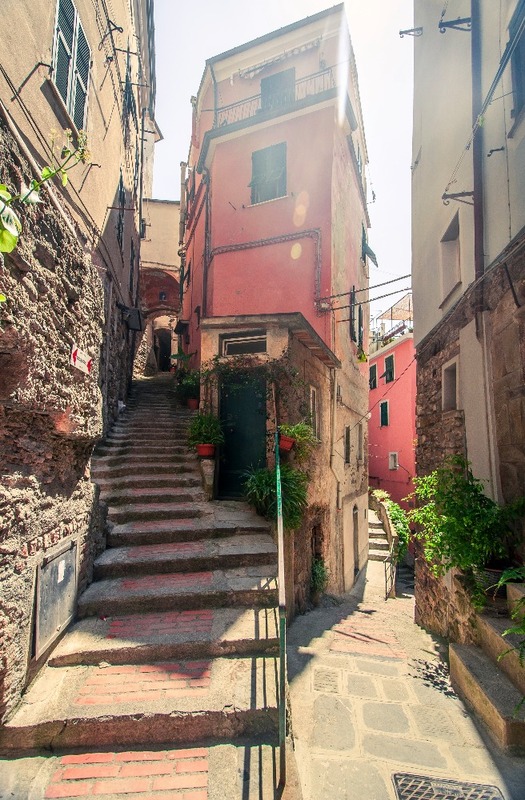 Montenero) and take a bus or train to Riomaggiore to start exploring. 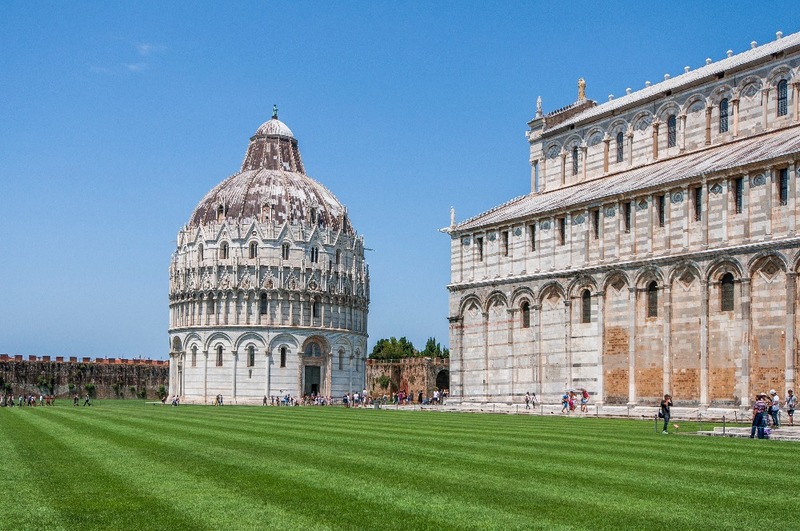 Giving advice on Pisa wouldn’t be fair as I literally stayed in the city for one hour just because my friend and I were driving by and thought we could stop to see what all the buzz was about. 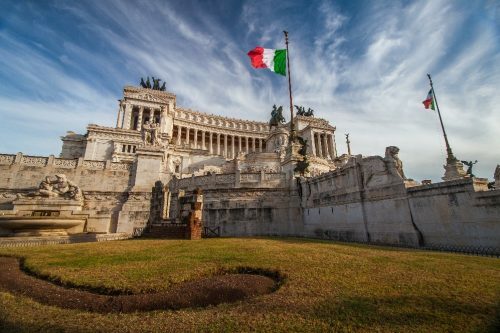 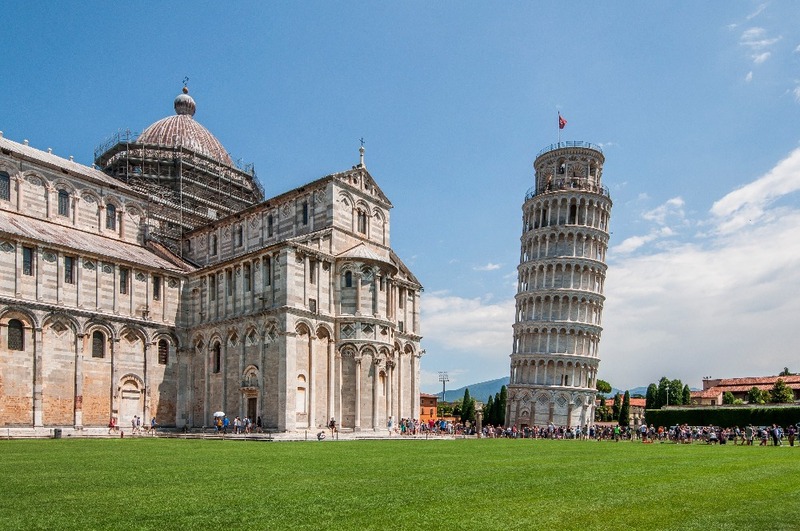 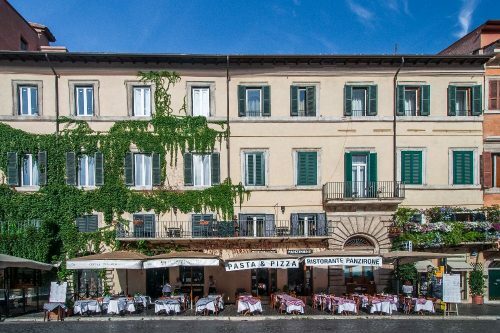 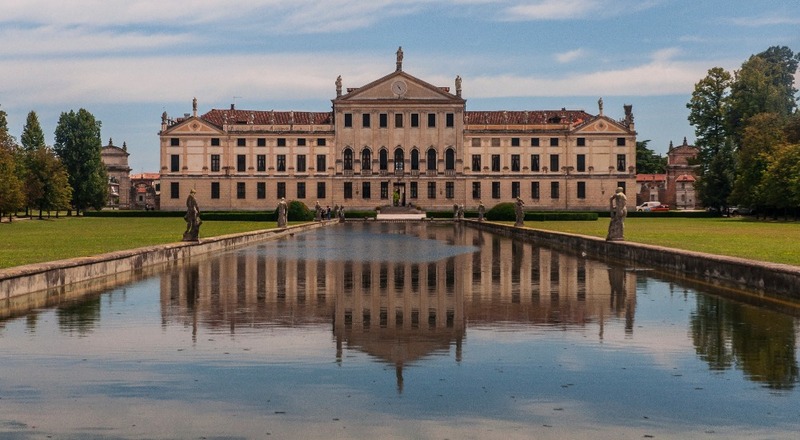 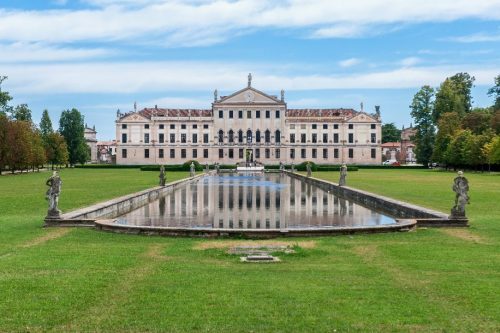 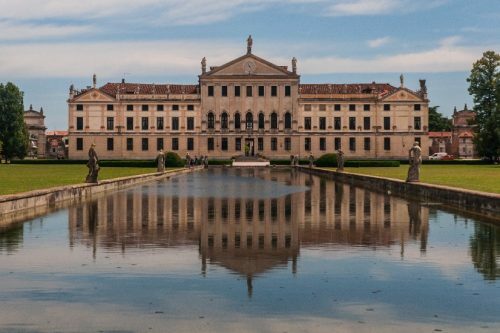 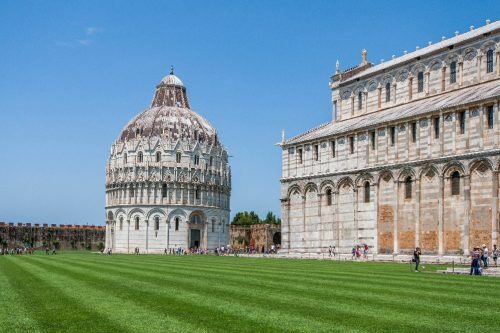 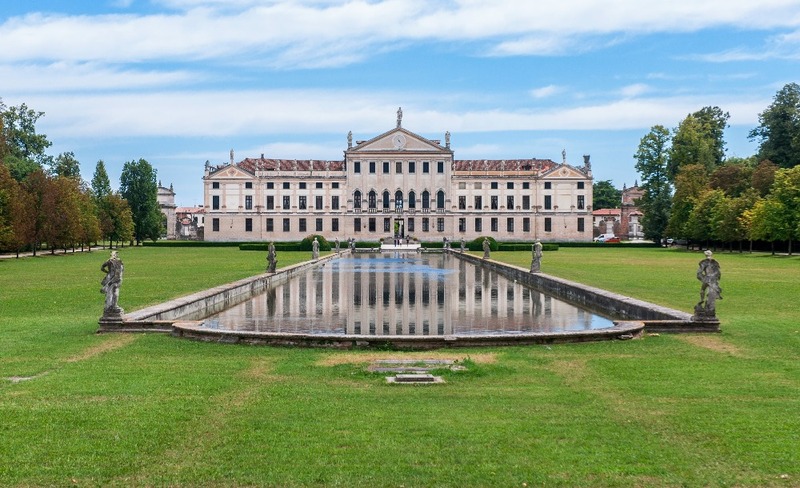 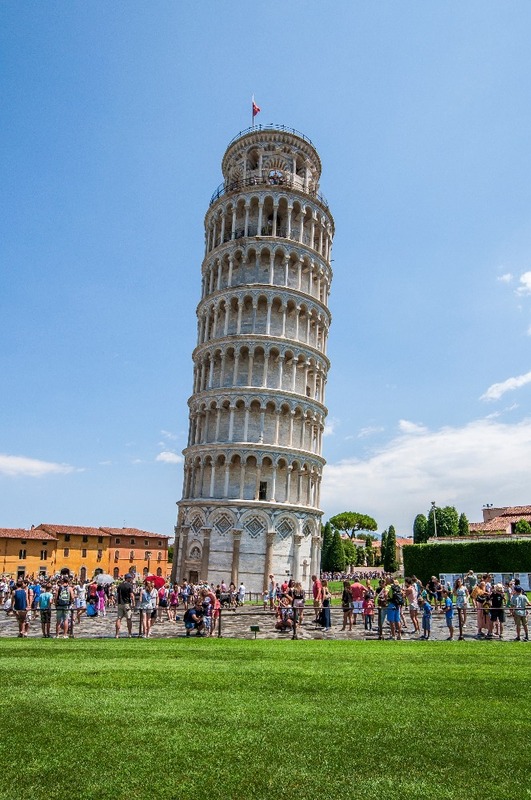 I’ll let you decide whether or not it is worth it to stay for a night or two there, but if you are only driving by like I was, there is a free parking which you’ll find easily on Google Maps just a 10-minute walk from the Pisa tower. 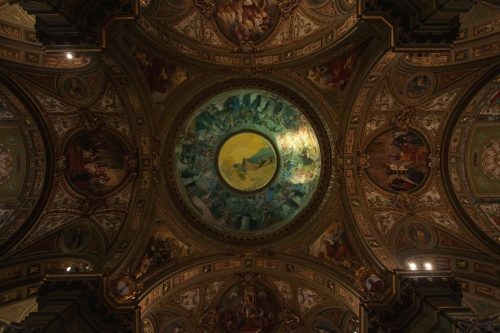 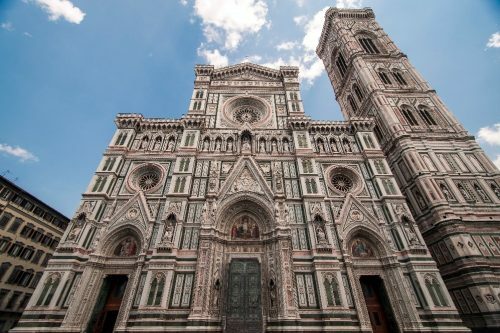 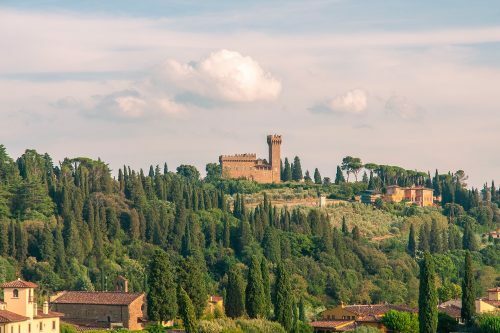 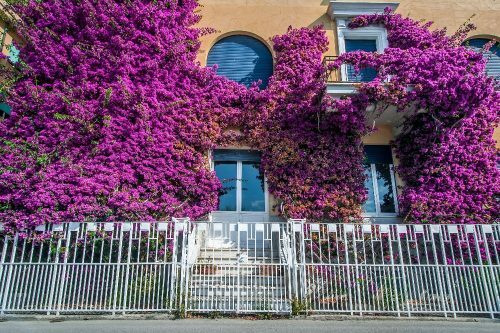 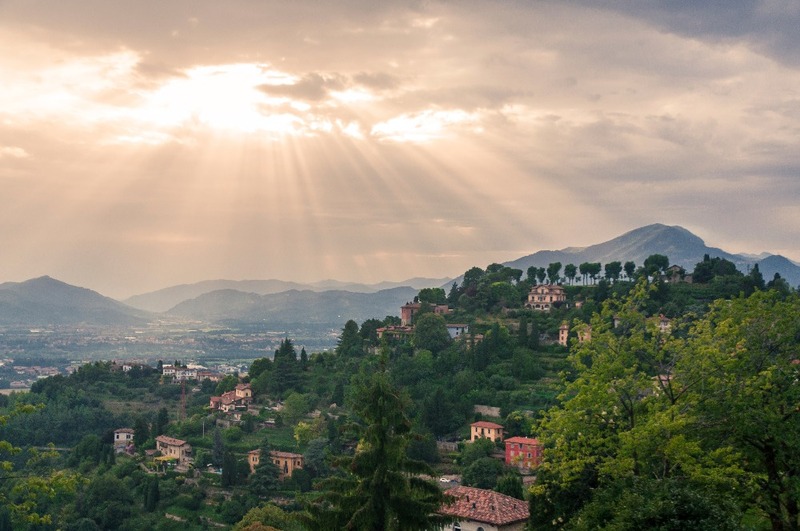 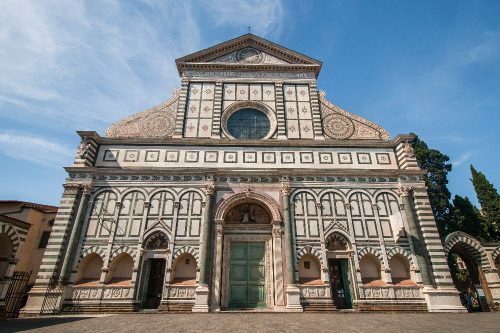 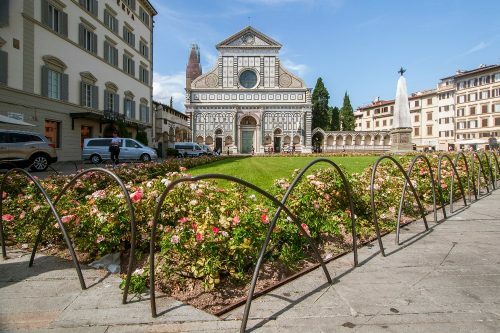 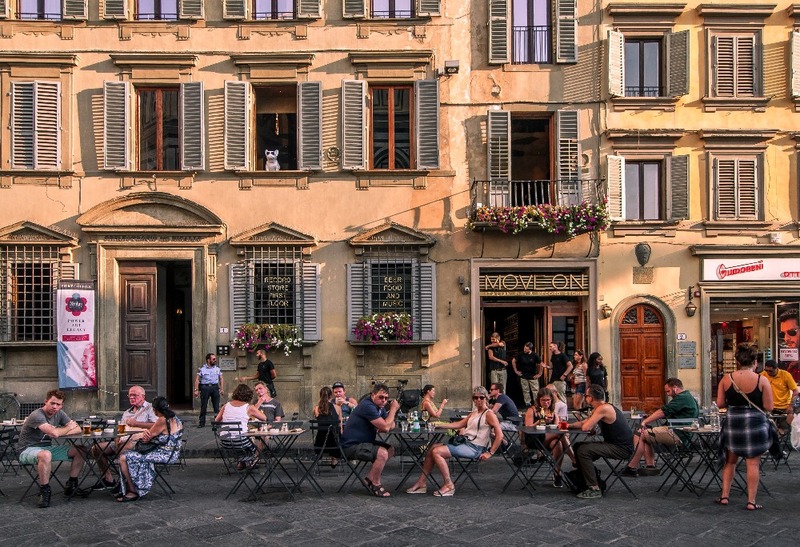 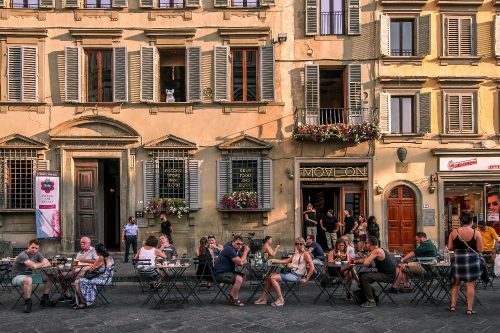 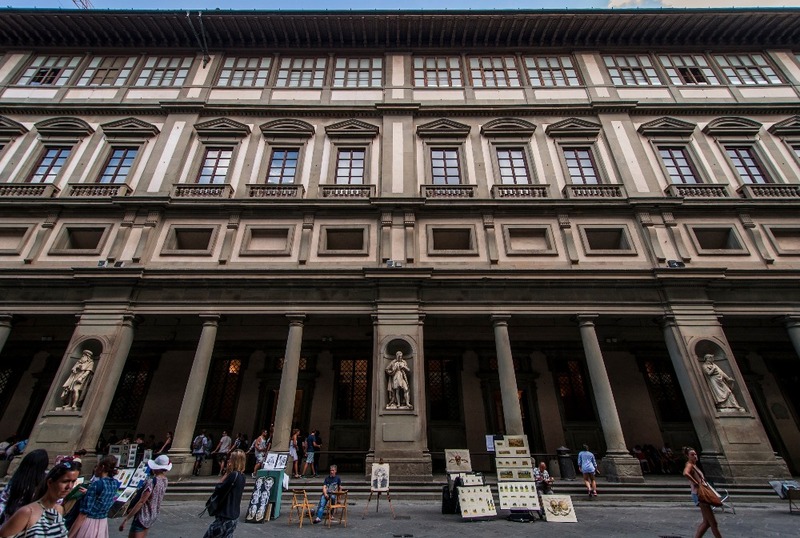 Most people who visit Italy will end up going to Florence, which is conveniently located in the middle of the country, halfway between Rome and Venice. 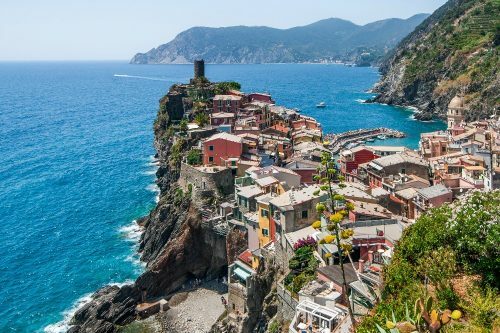 I know a lot of people absolutely love Florence, and I can’t really say I liked as much as I liked Rome, Venice of Cinque Terre. 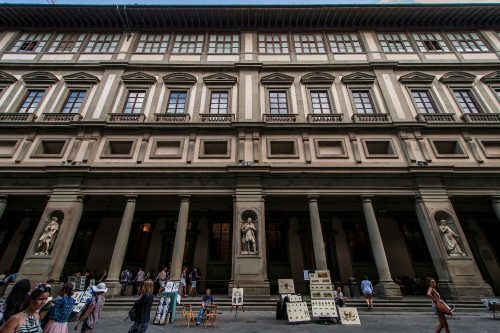 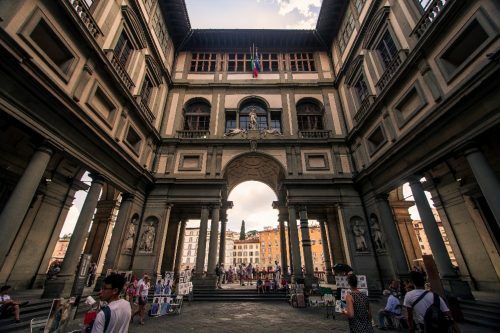 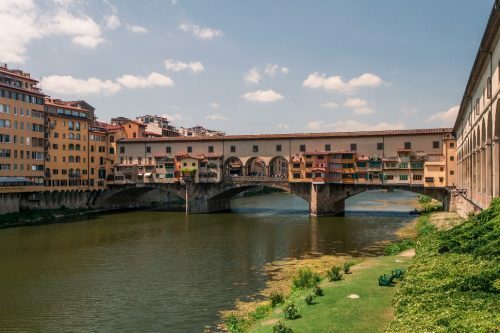 I was there in the middle of July, which meant the place was particularly crowded and hot, but I think Florence is a city that you’ll probably enjoy more if you have money to spend. 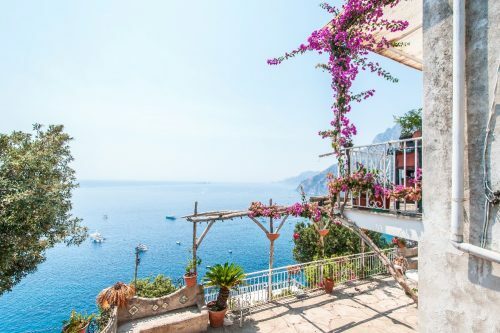 Food and drinks were more expensive there than anywhere else we’ve been in Italy aside from Amalfi, which really isn’t a reference. 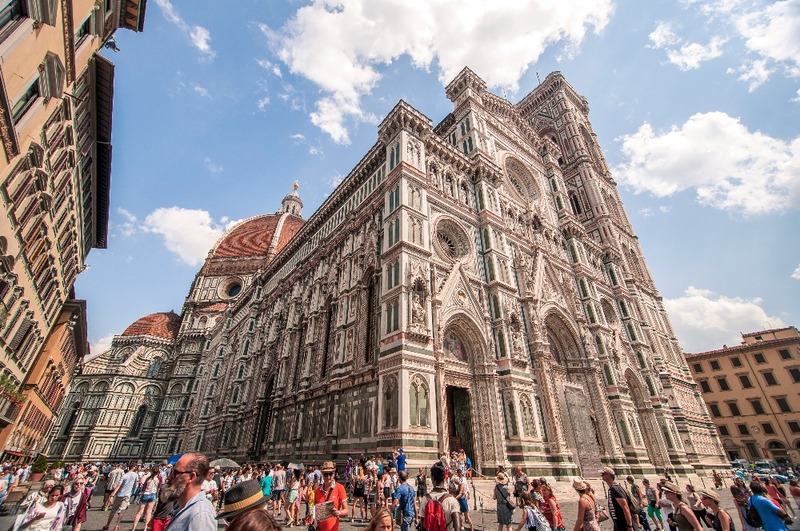 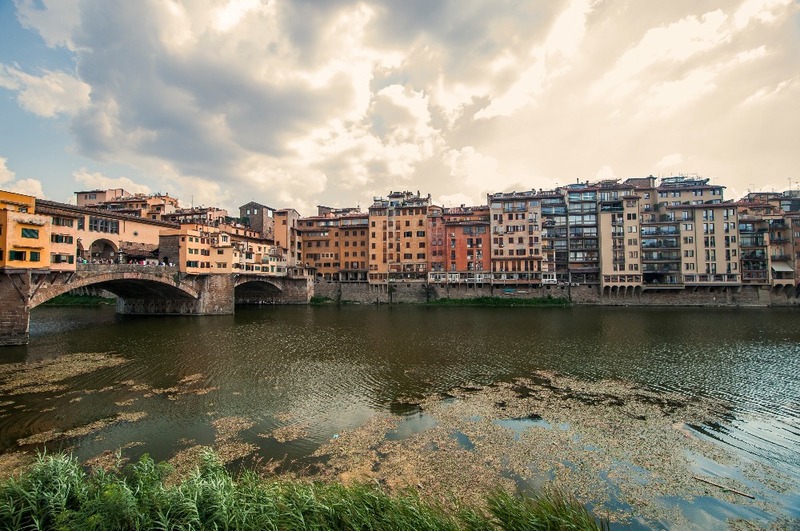 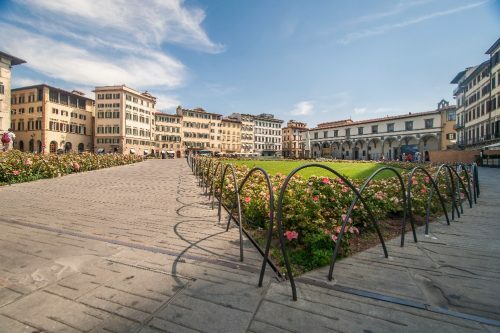 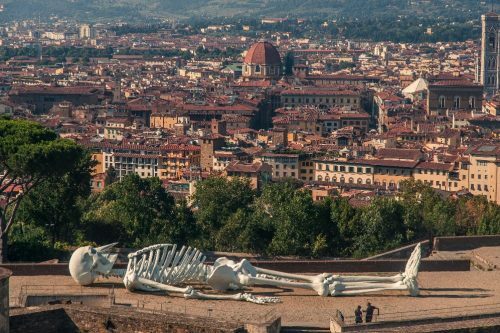 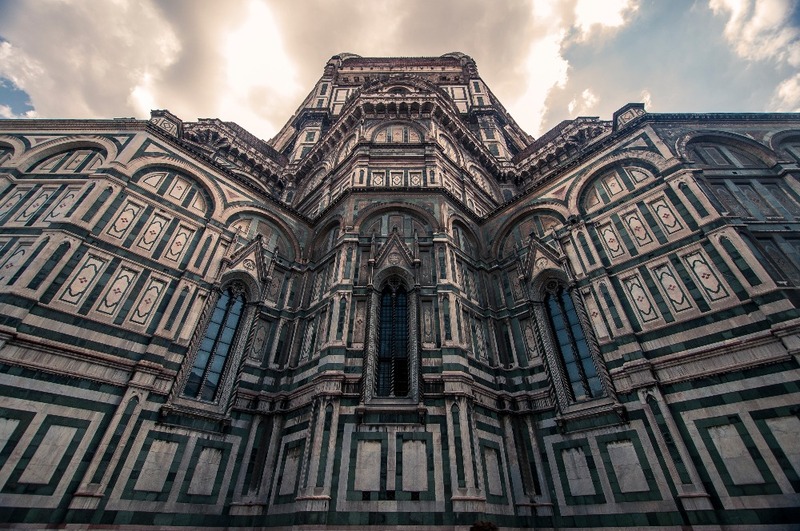 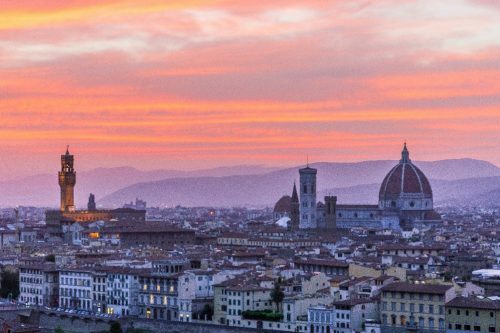 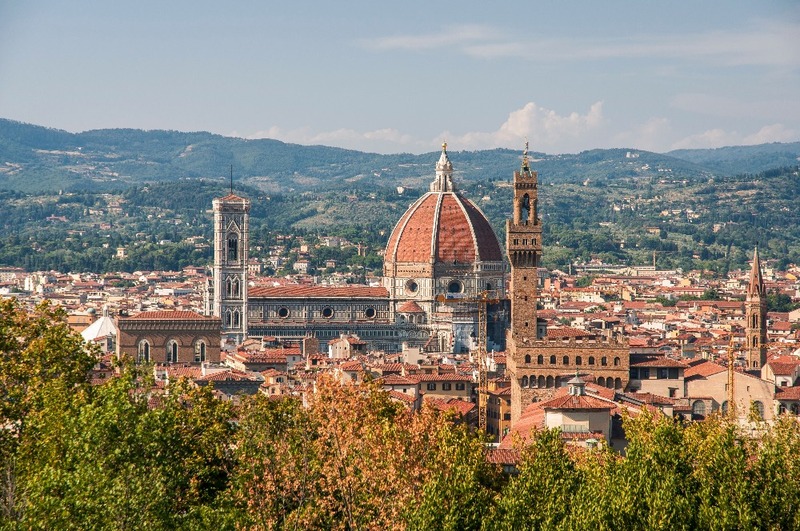 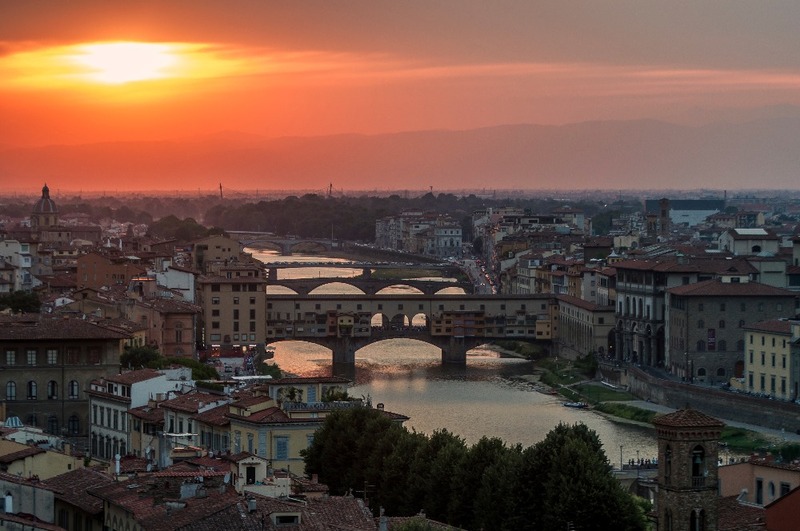 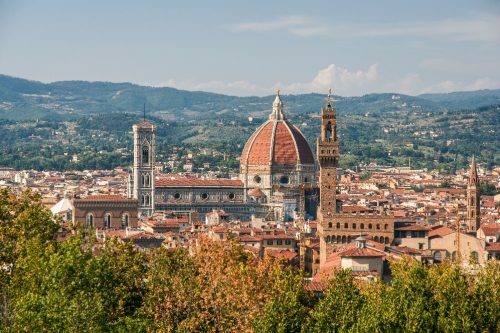 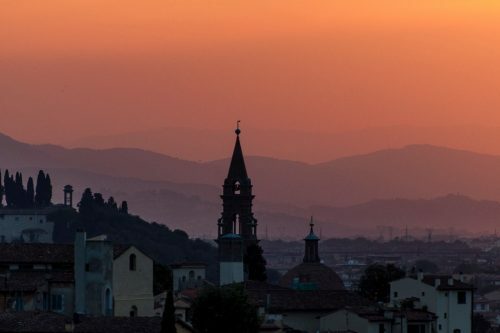 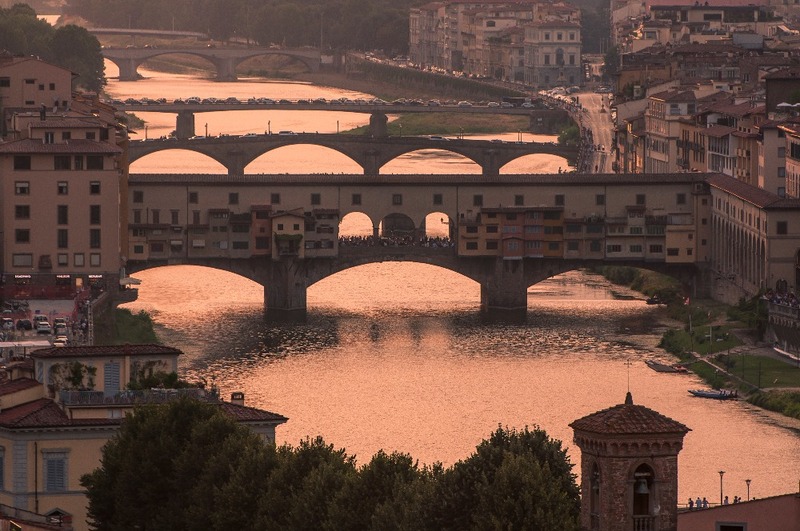 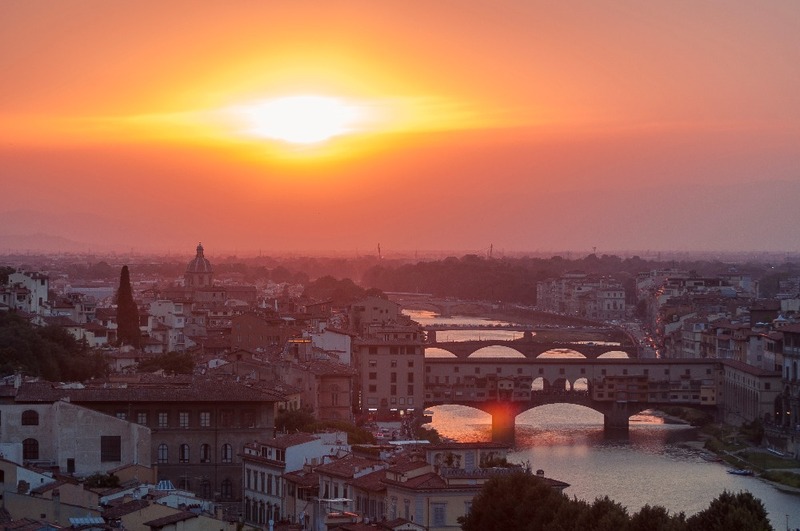 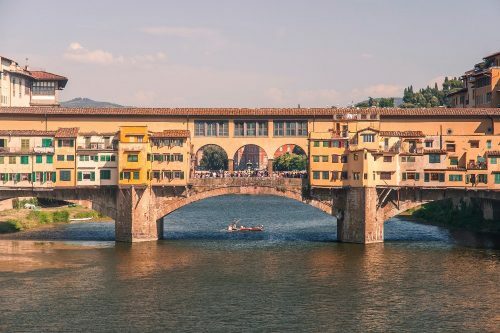 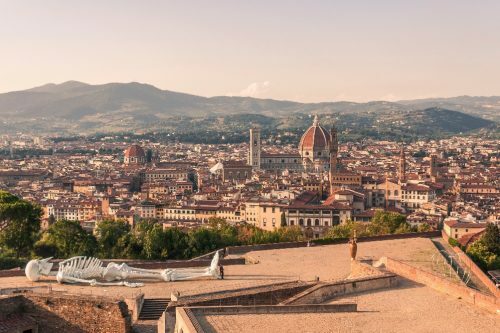 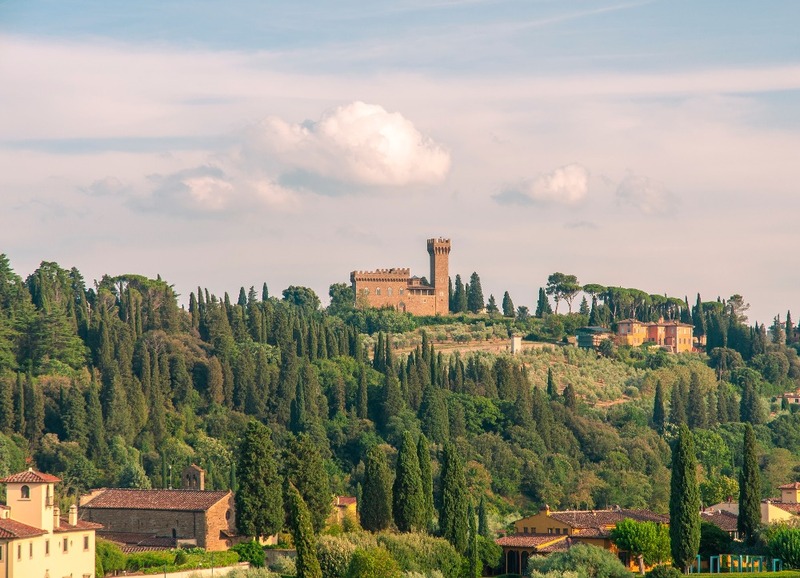 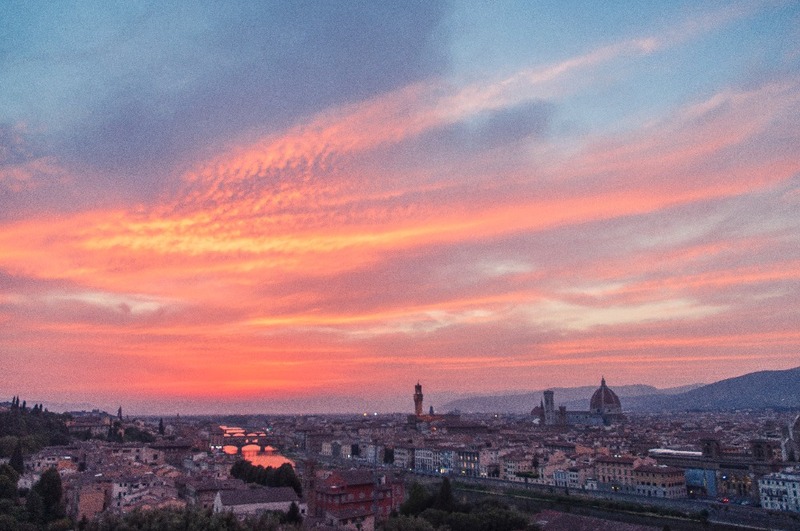 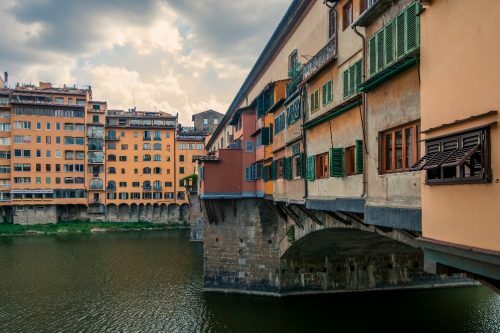 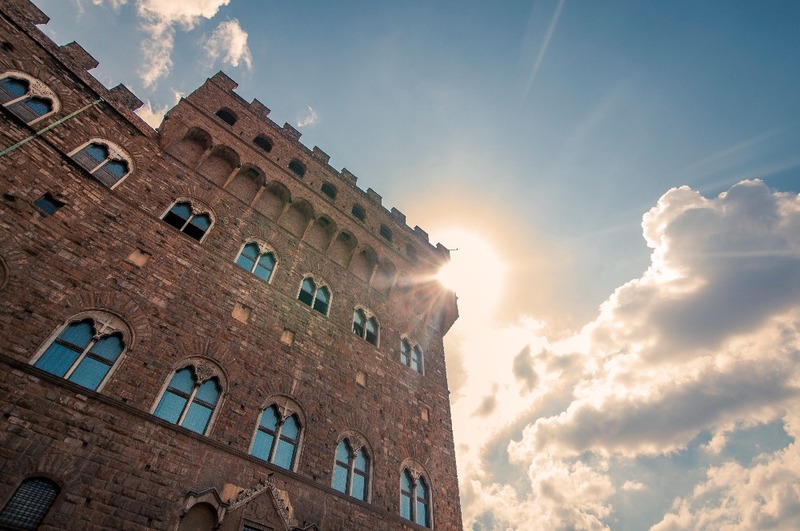 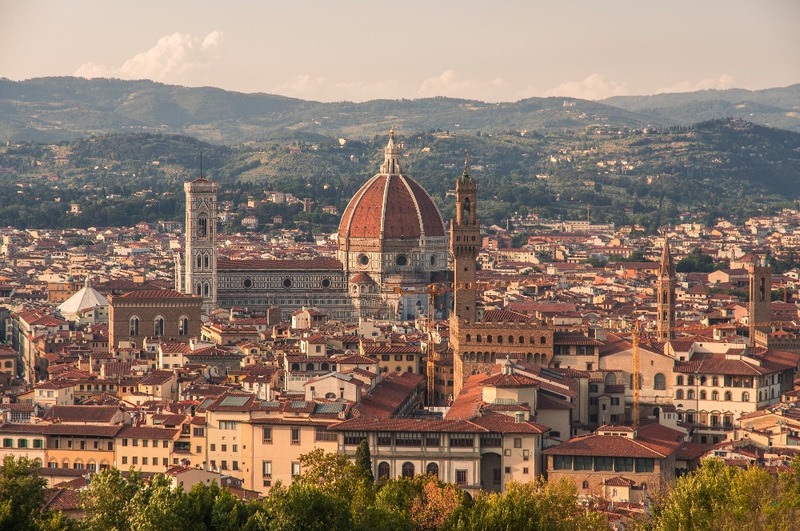 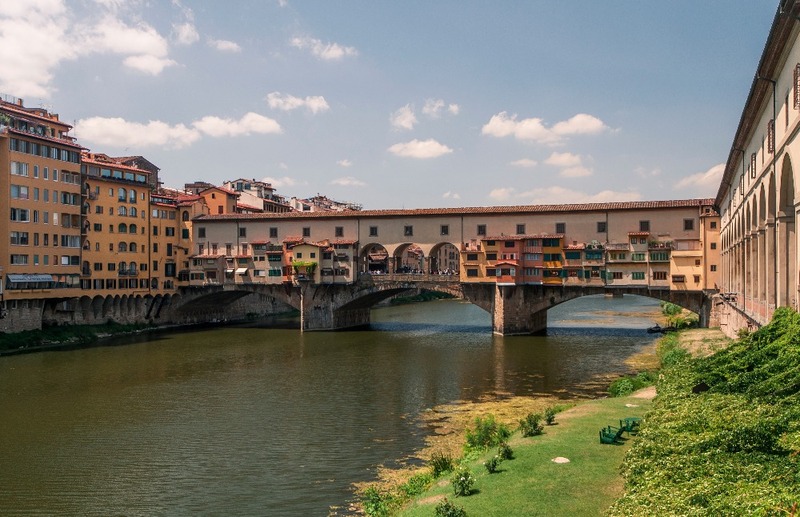 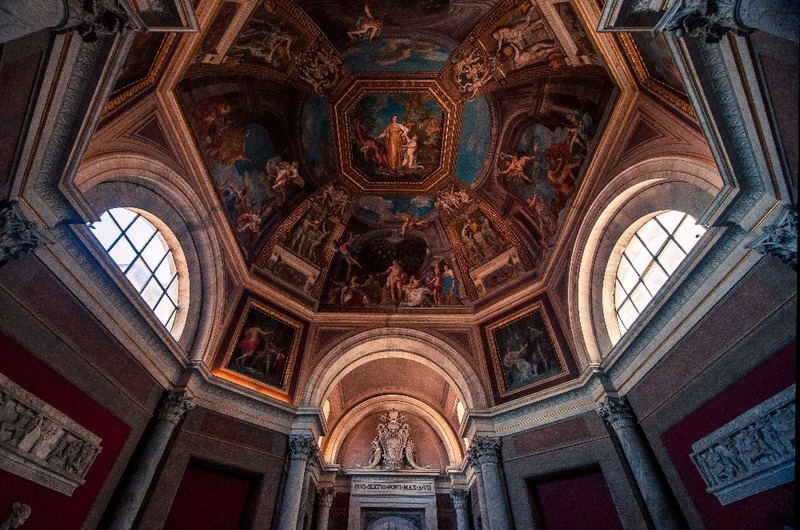 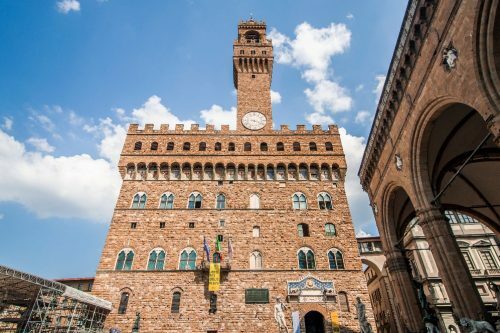 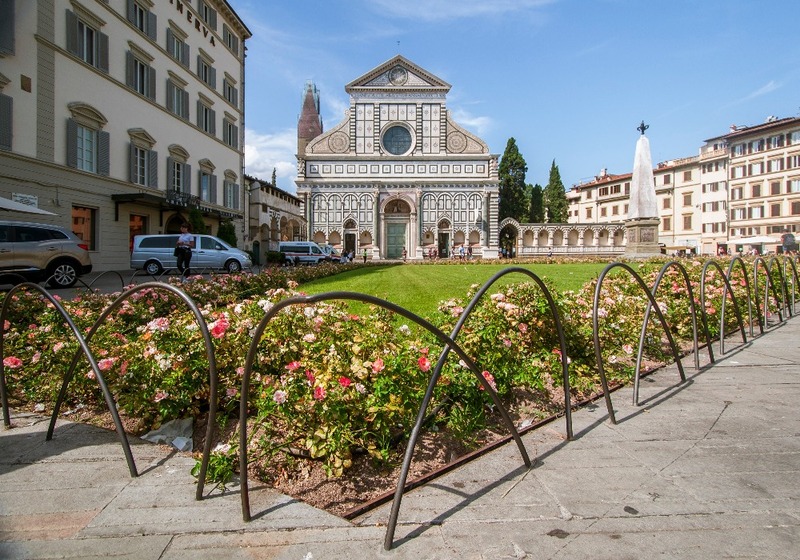 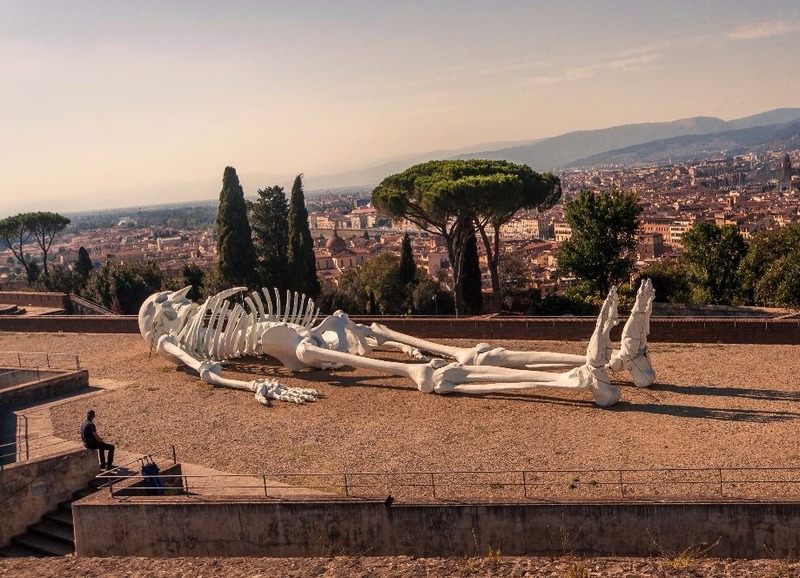 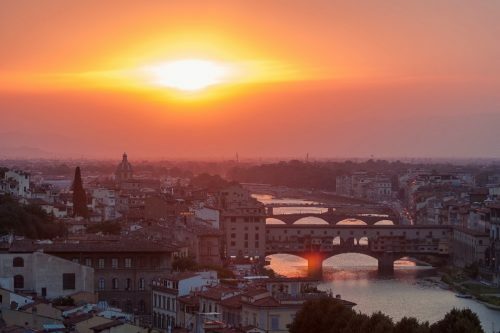 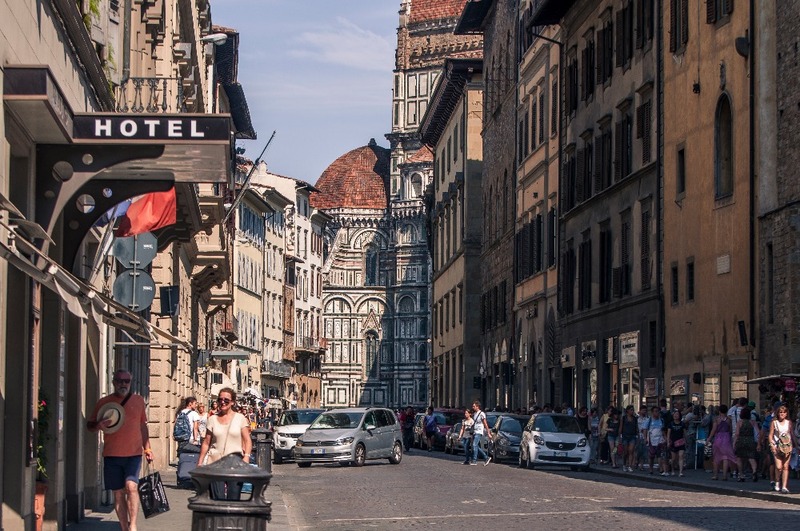 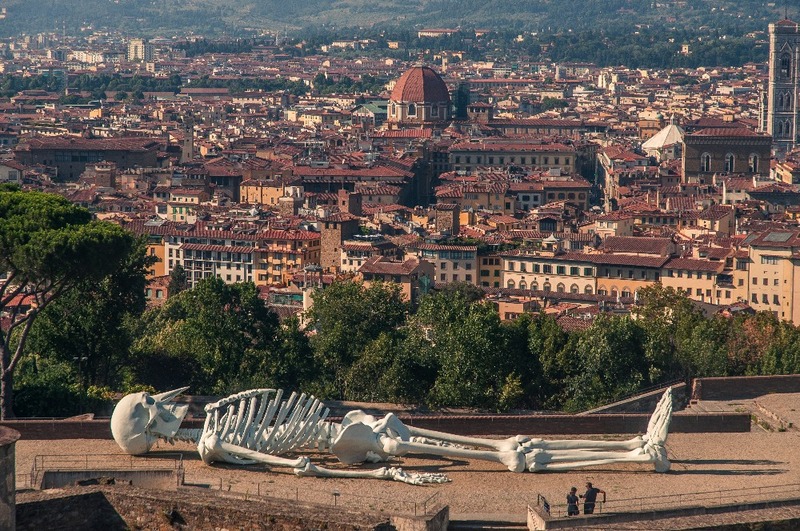 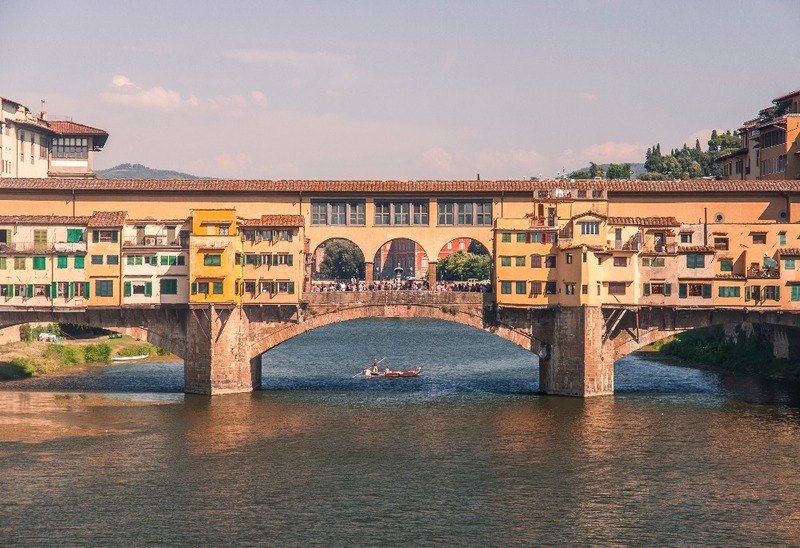 There are plenty of nice things to see in Florence, like the viewpoint up the Piazzale Michelangelo, the cathedral and the Ponte Vecchio, but I personally didn’t need much more than two nights to tick all the boxes off your bucket list! 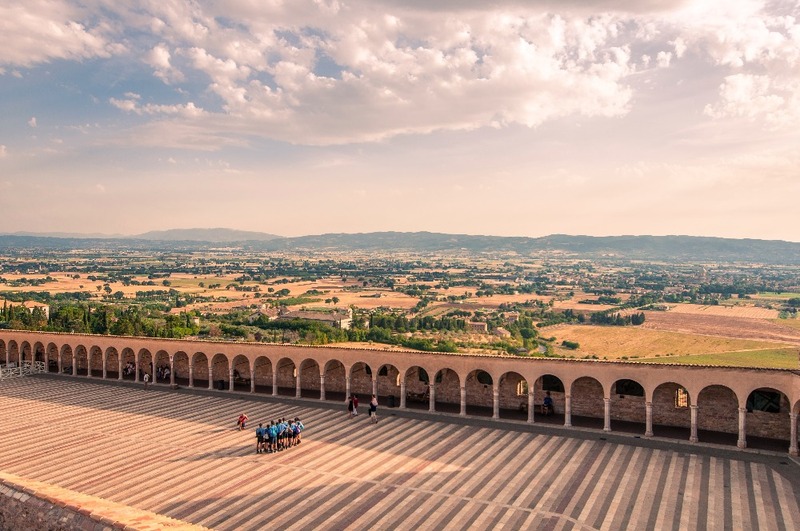 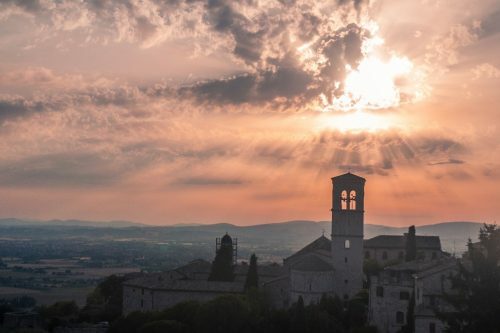 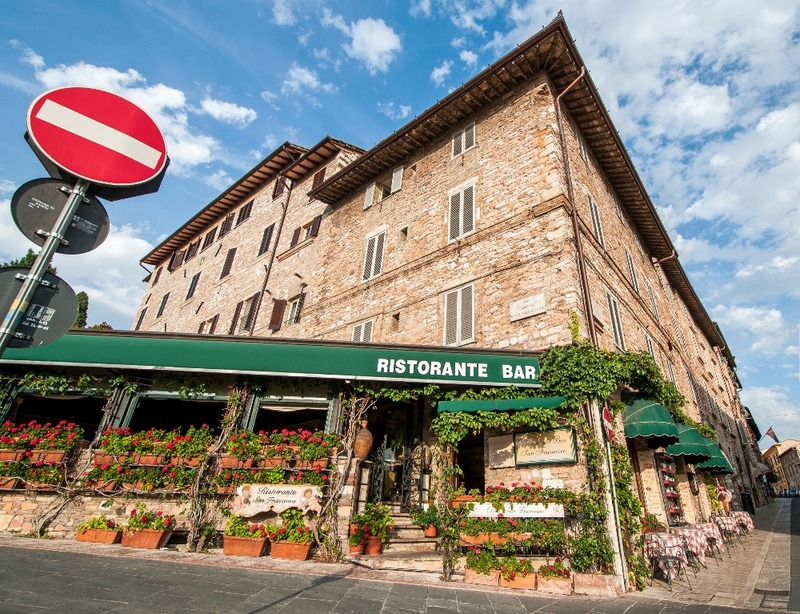 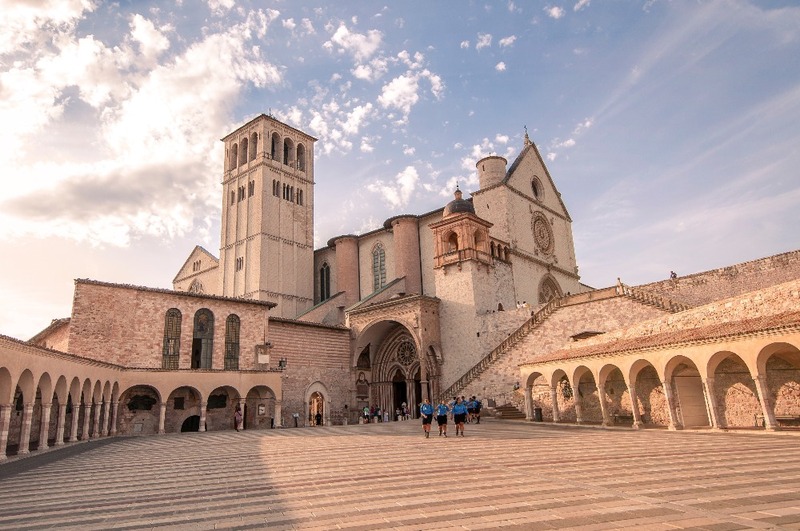 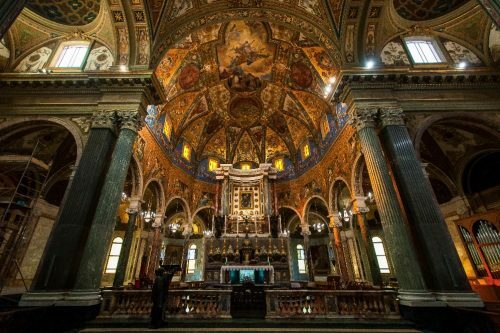 Assisi is a small town located in the heart of Italy and is known for being a prime destination for religious people. 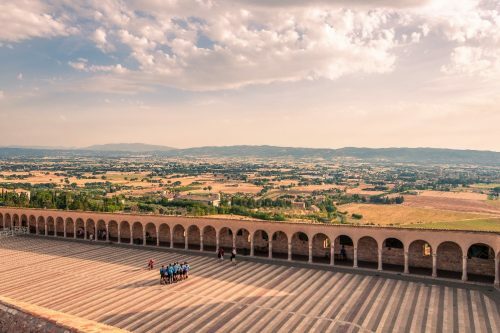 Initially, the only reason why we stopped in Assisi was to split the long drive between the Amalfi Coast and Florence. 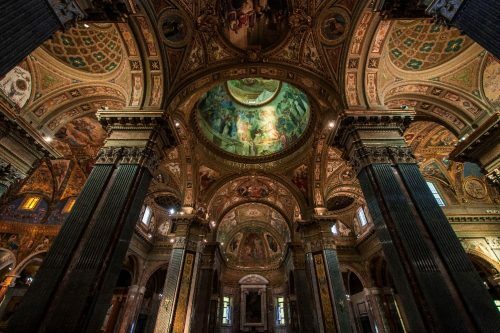 Since both my friend and I aren’t particularly interested in religion, we thought there wasn’t much to do there. 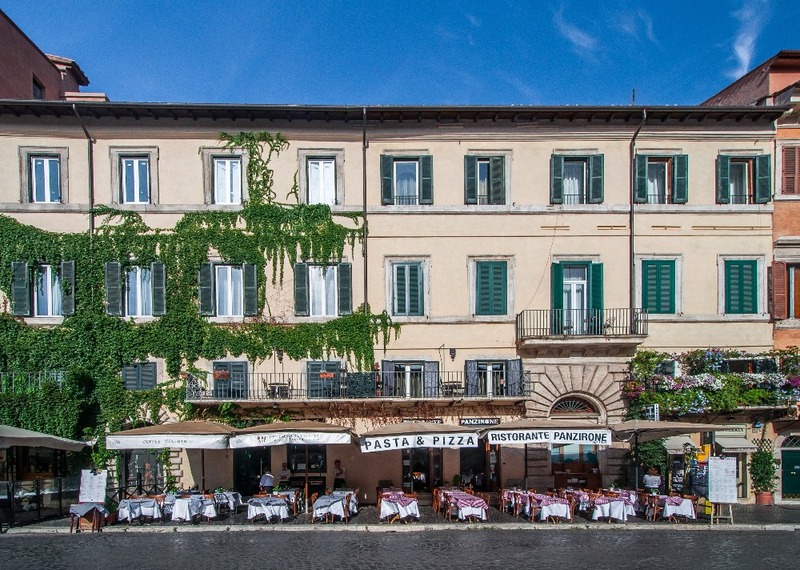 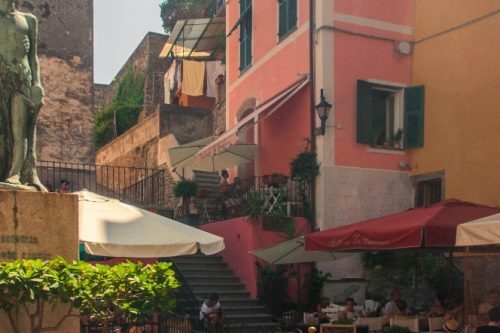 We still enjoyed walking around the old town for a few hours at sunset and getting the best pasta meal I’ve had in Italy (fresh truffles penne at the Mangiar Divino!). 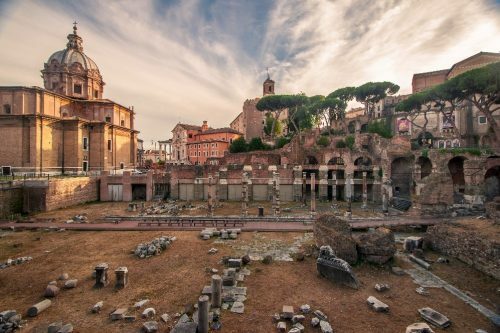 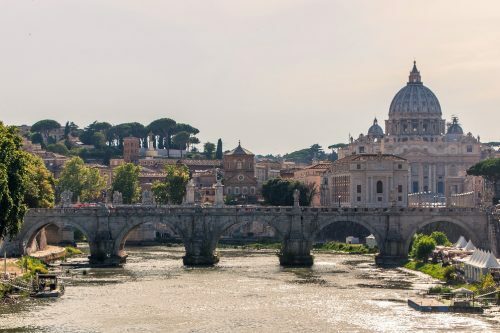 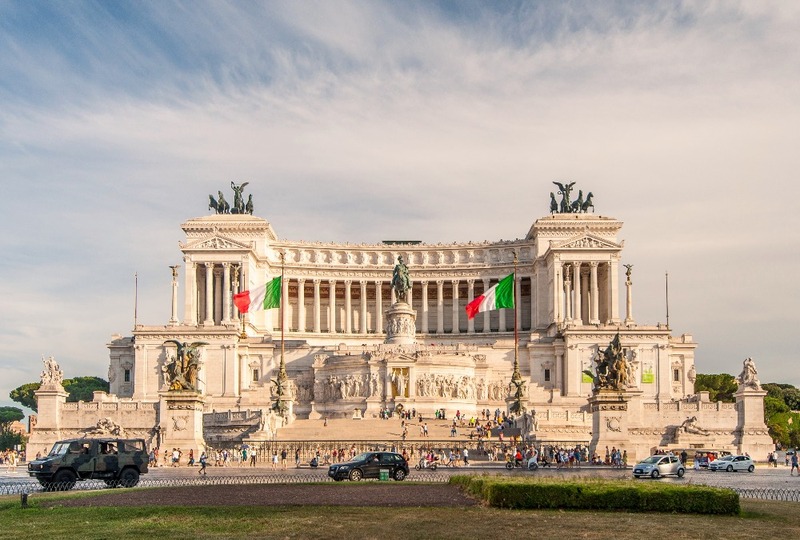 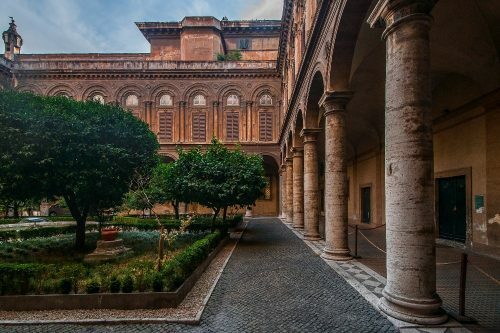 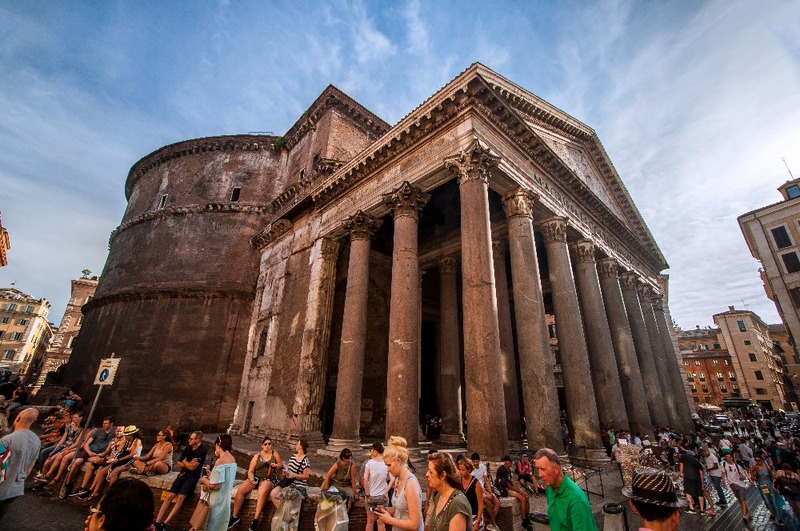 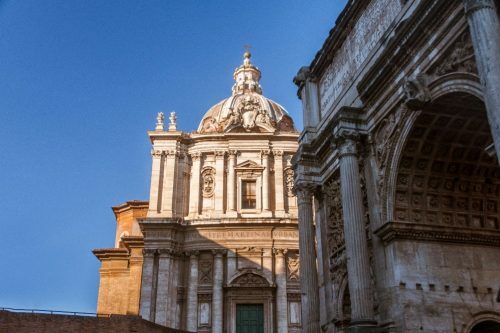 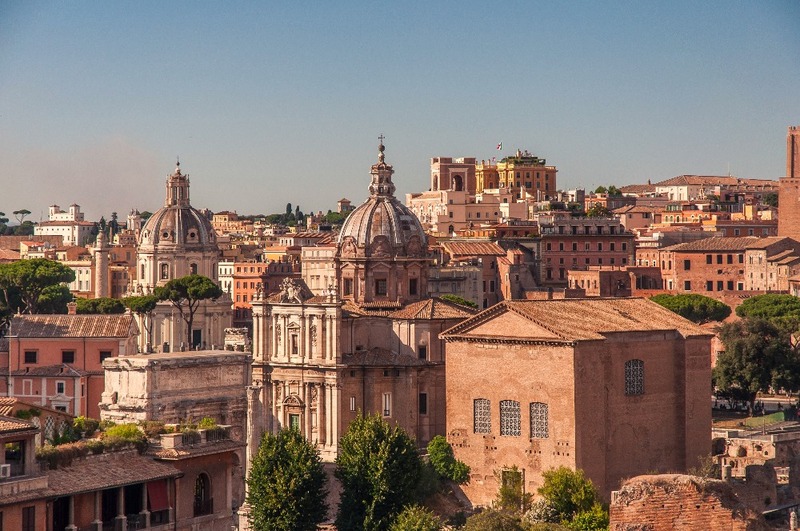 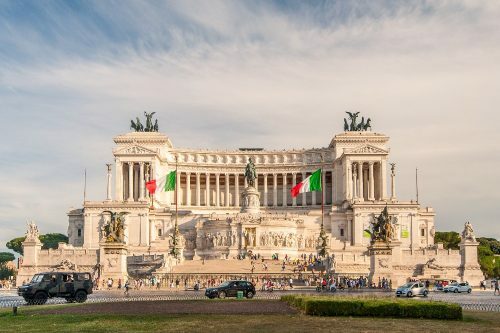 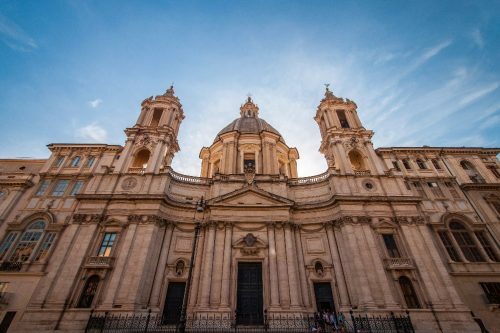 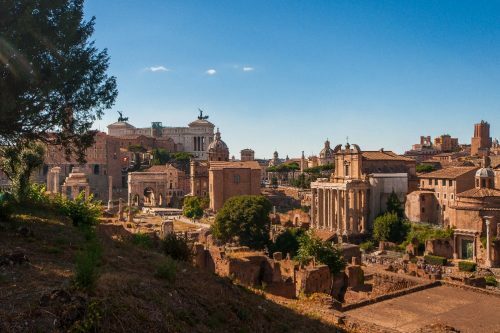 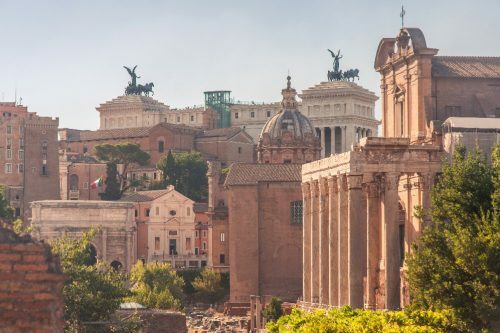 You’ve heard of Rome before and probably have seen hundreds of pictures of the city already, but I’m still going to share mine and emphasize on how much I loved that city. 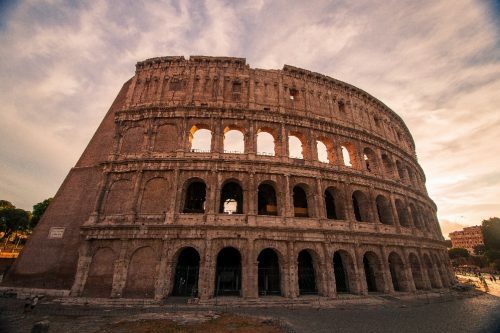 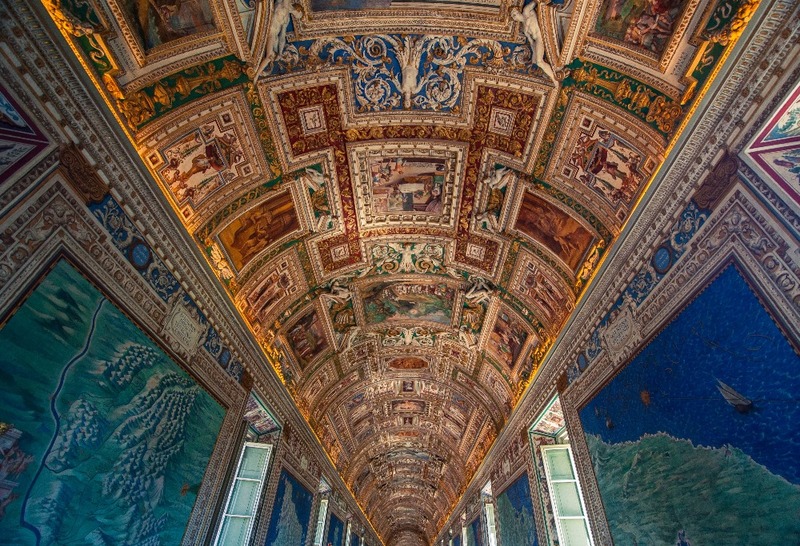 It is a truly magical place for how fascinating its story is and how many things there are to see there. 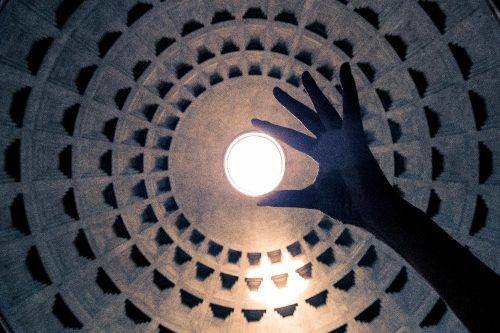 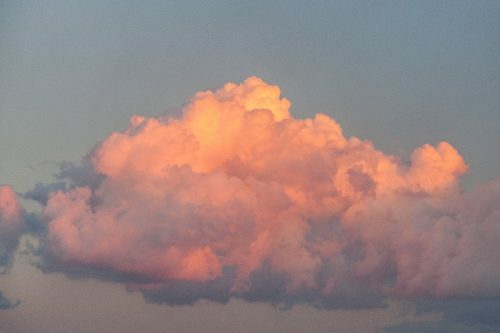 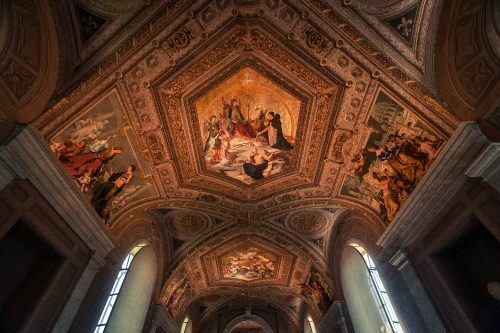 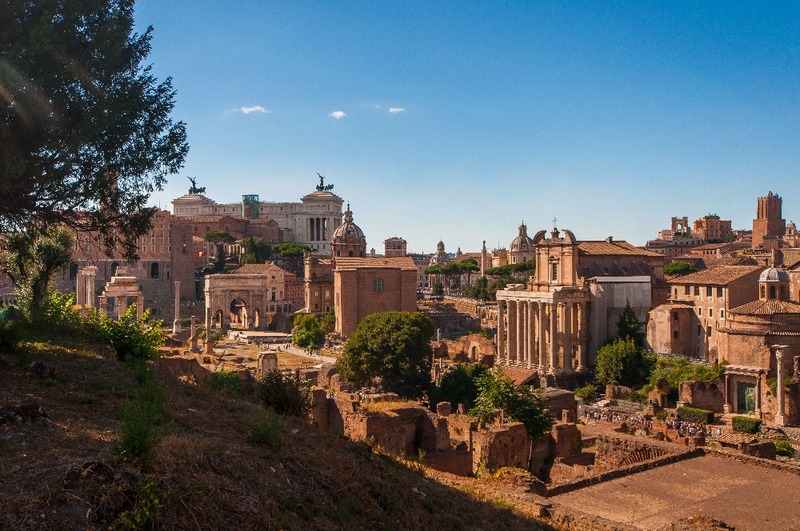 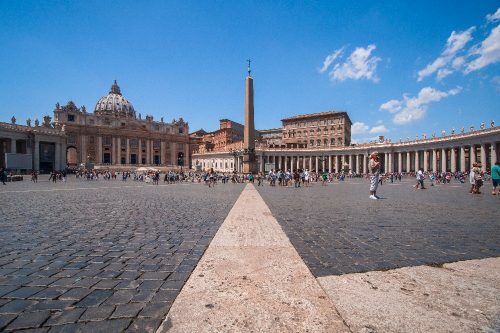 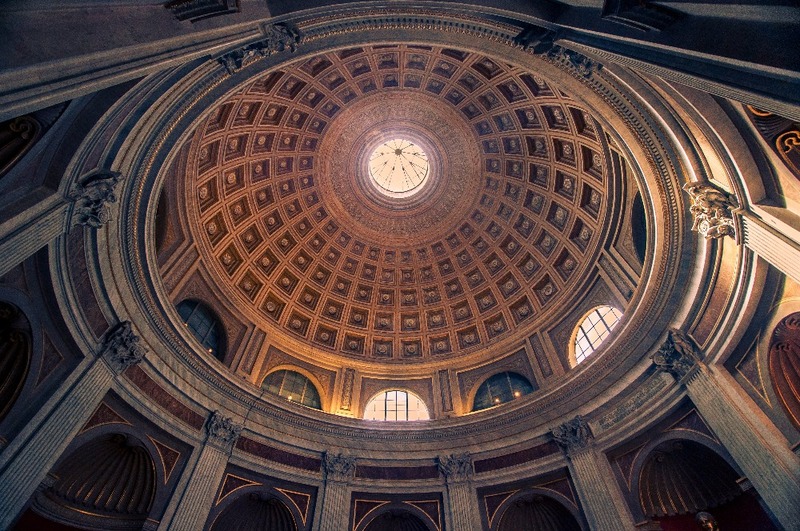 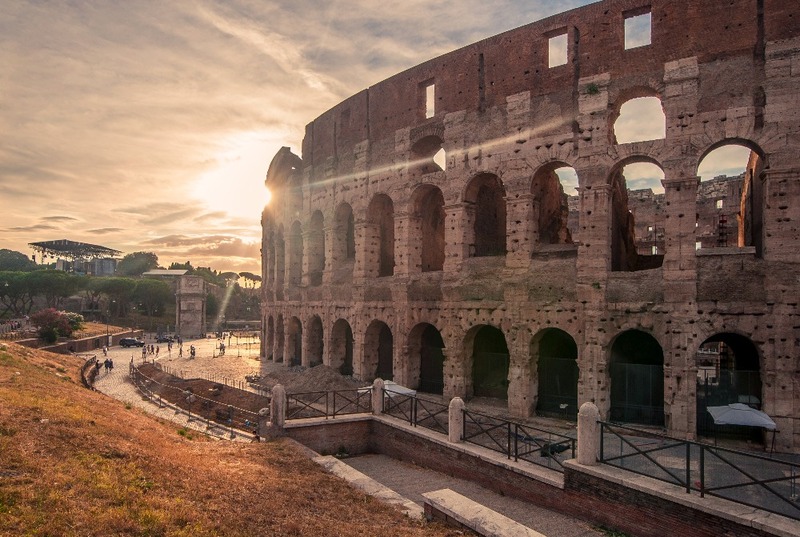 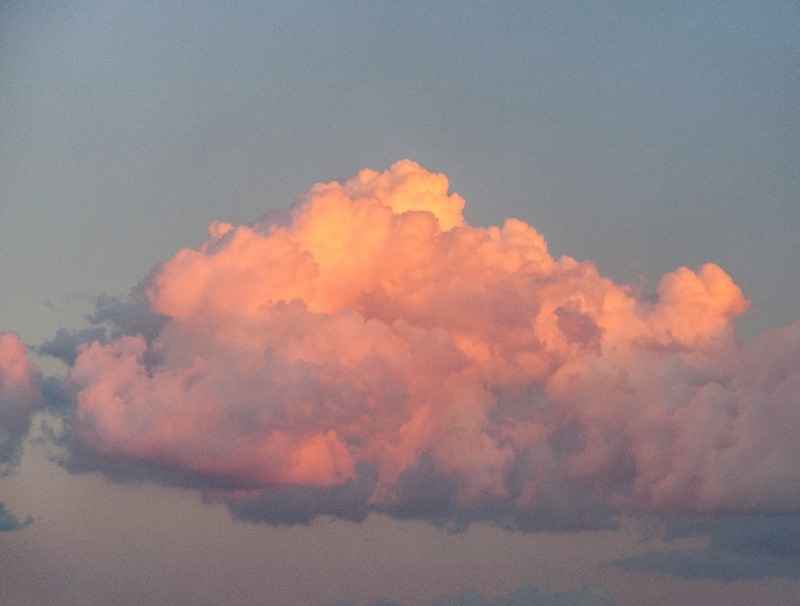 We spent two full days and three nights in Rome and didn’t get bored for a second. 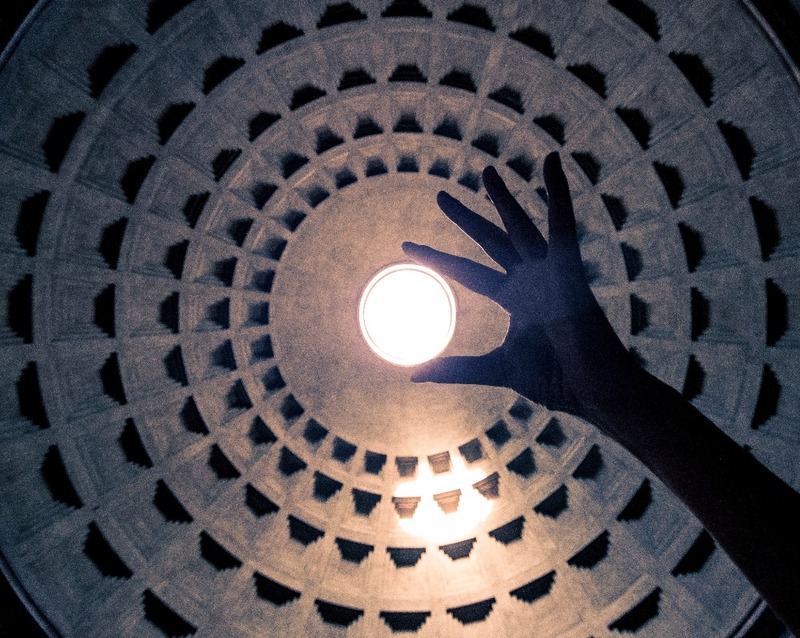 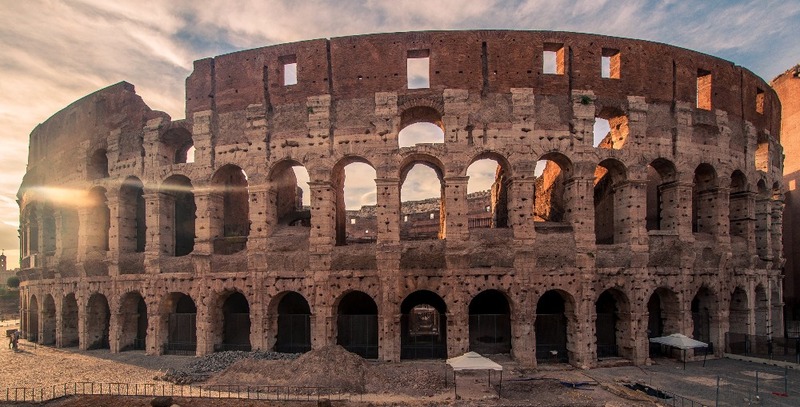 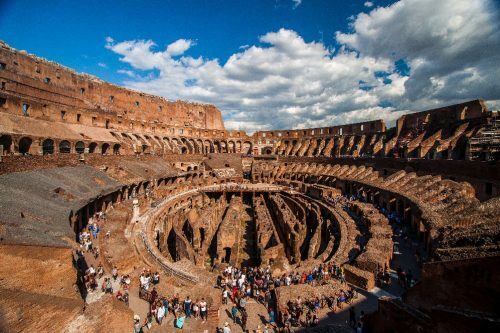 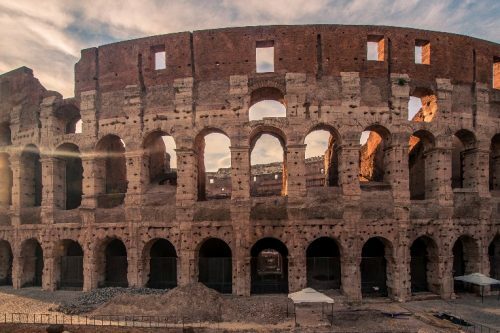 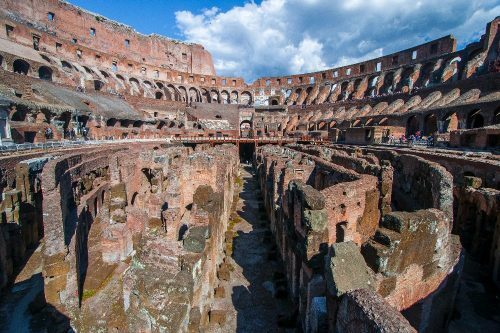 I didn’t explore anything special you haven’t heard of already, but I strongly recommend going to the Colosseum and getting your own audio tour from the app store. 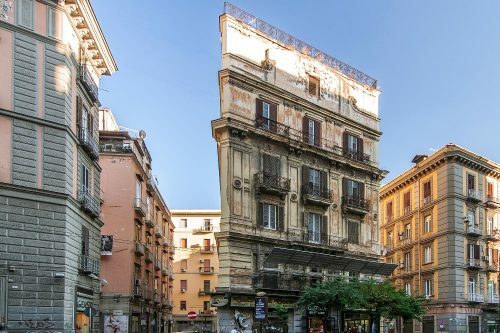 You’ll want to know what happened there! 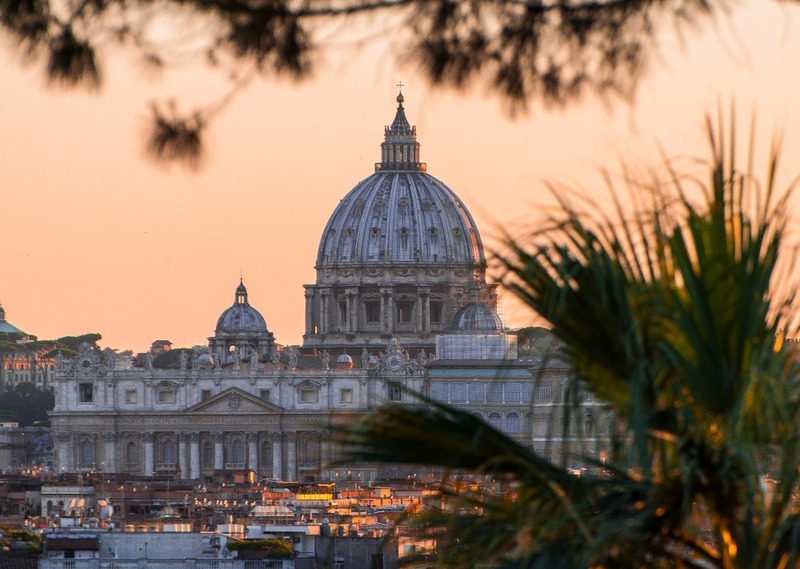 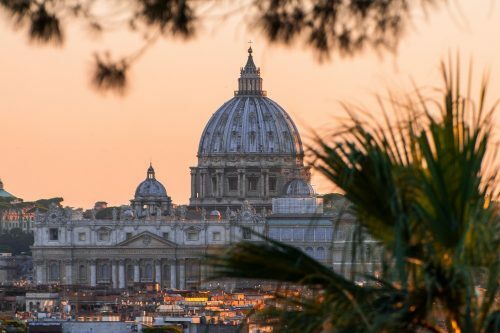 Also, don’t miss out the sunset at the Terrazza del Pincio where you get a pretty sick view of the Vatican. 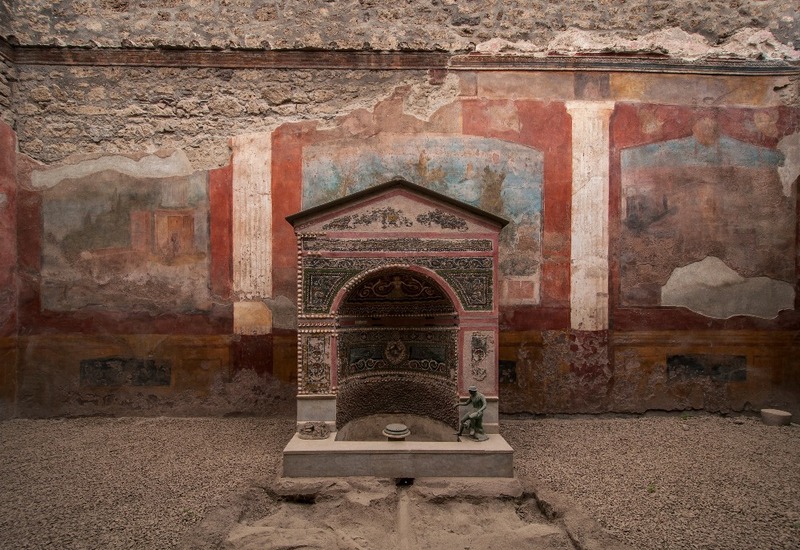 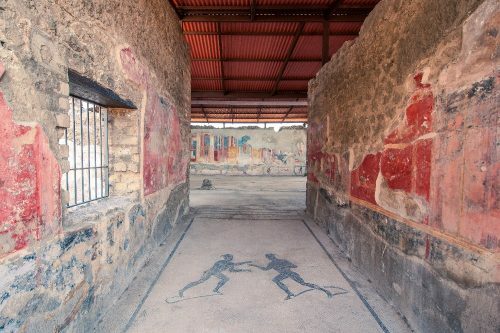 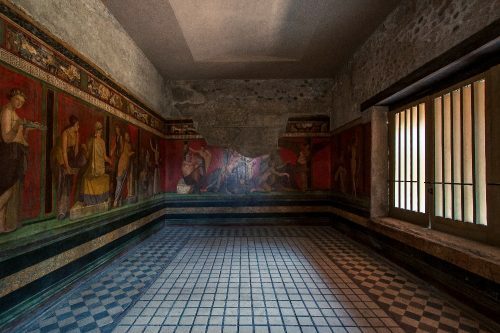 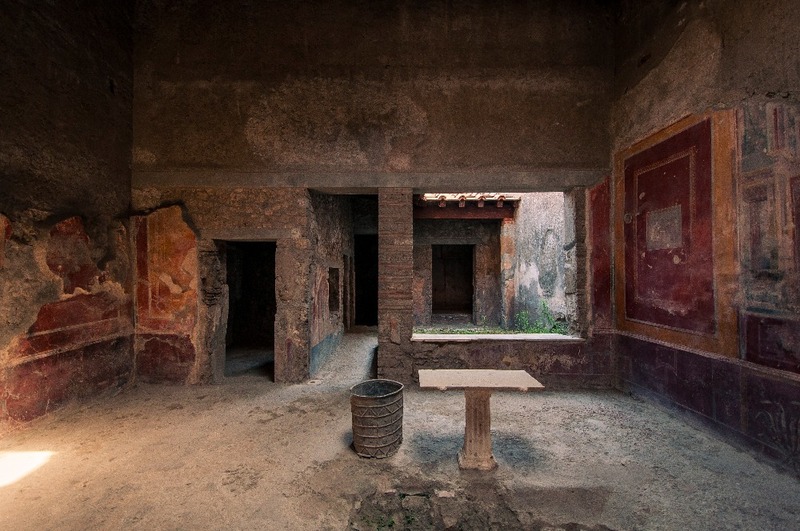 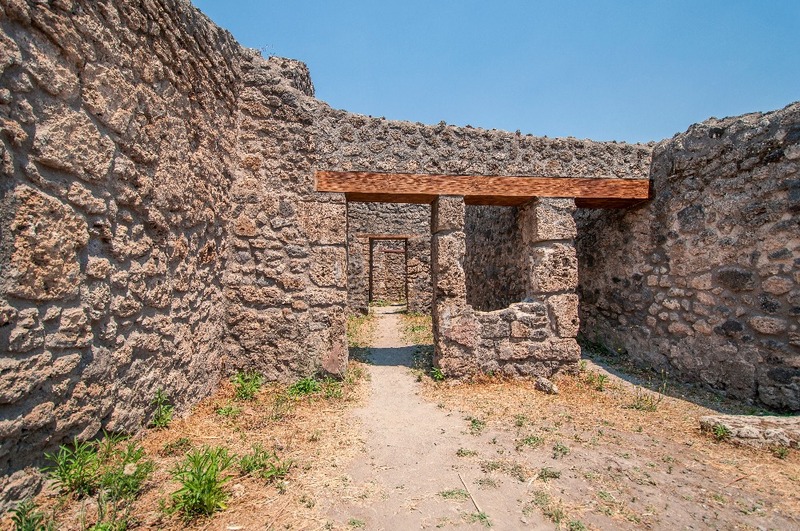 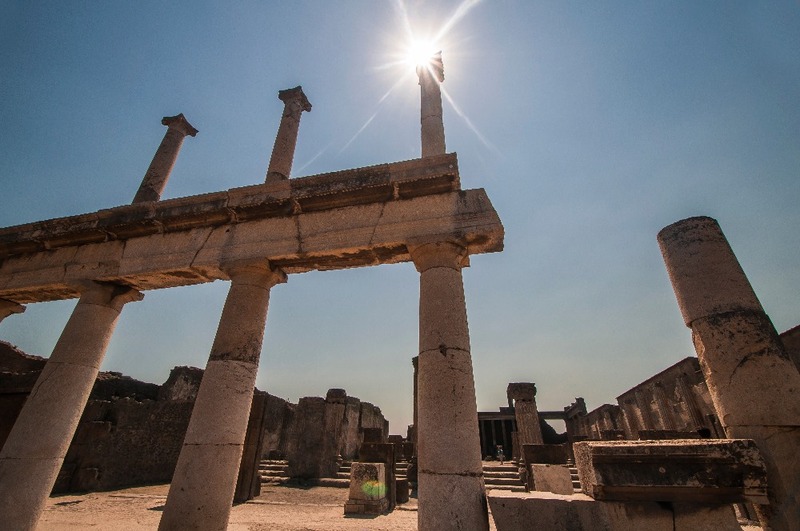 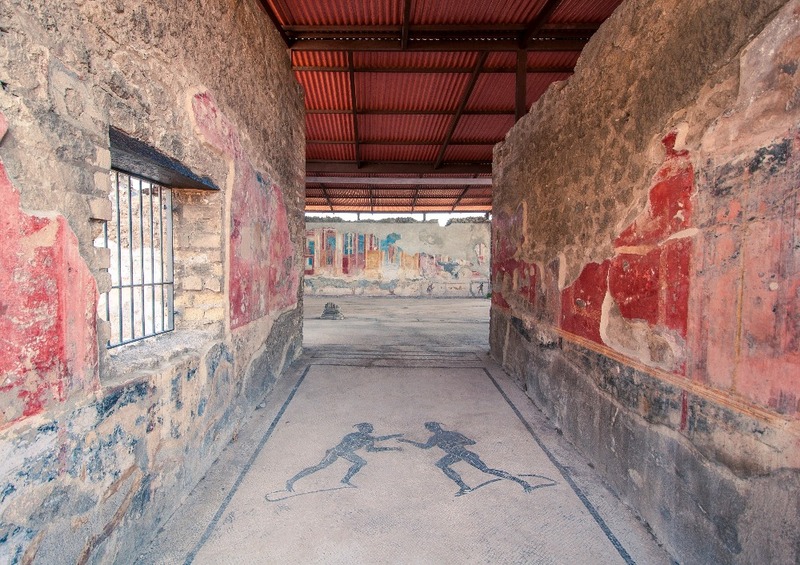 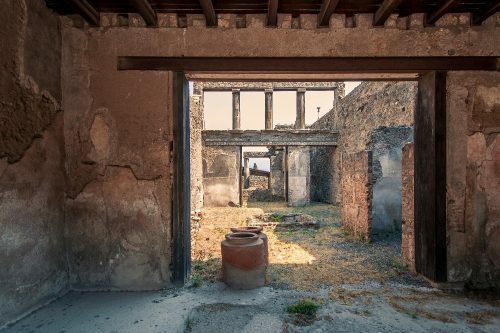 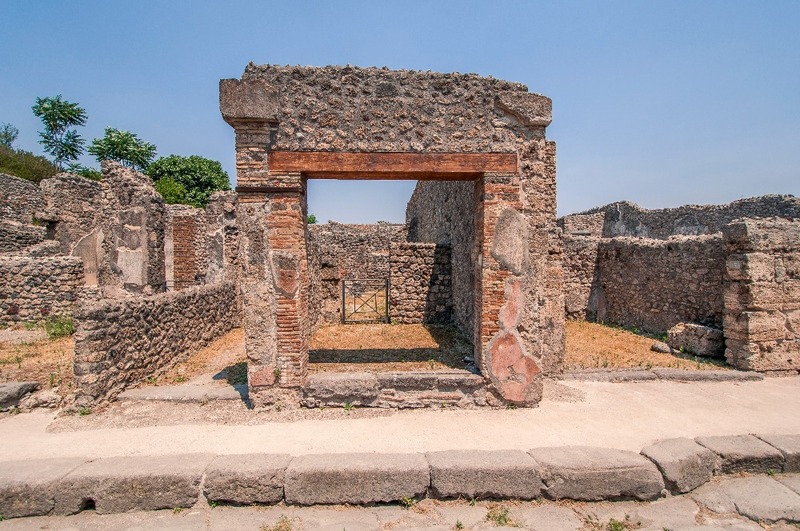 Pompeii is an ancient city that was buried under the ashes from Mt. 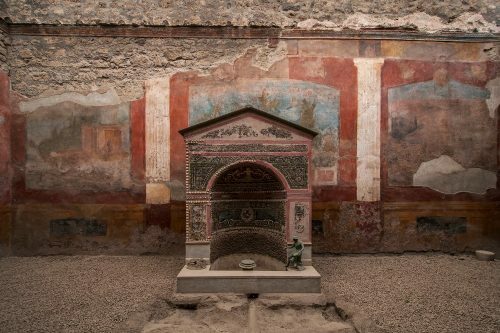 Vesuvius’s eruption in AD 79. It took 1500 years before the city was rediscovered and today, large areas still remain covered in meters of ashes. 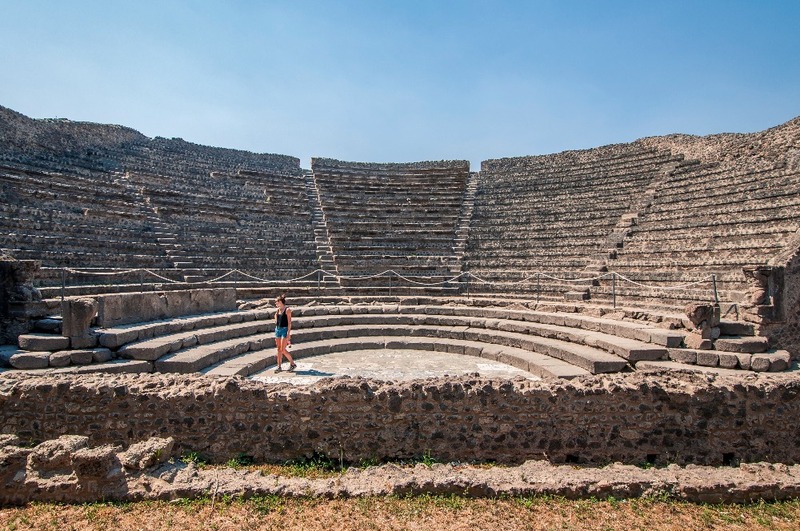 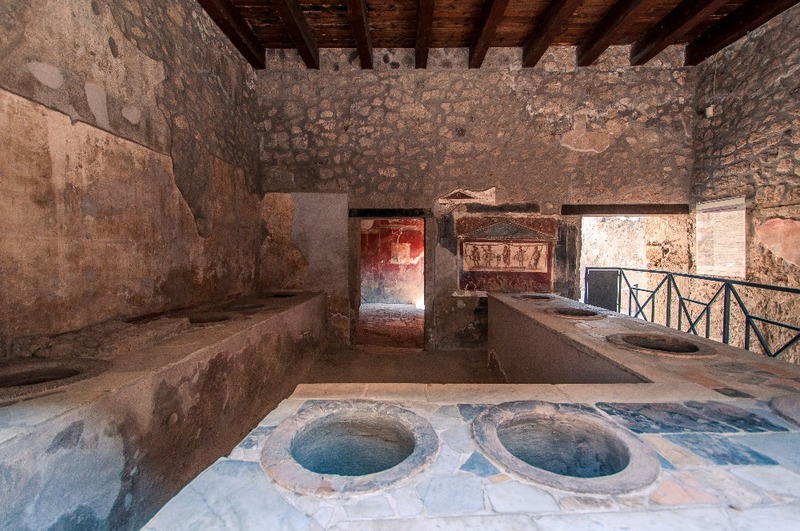 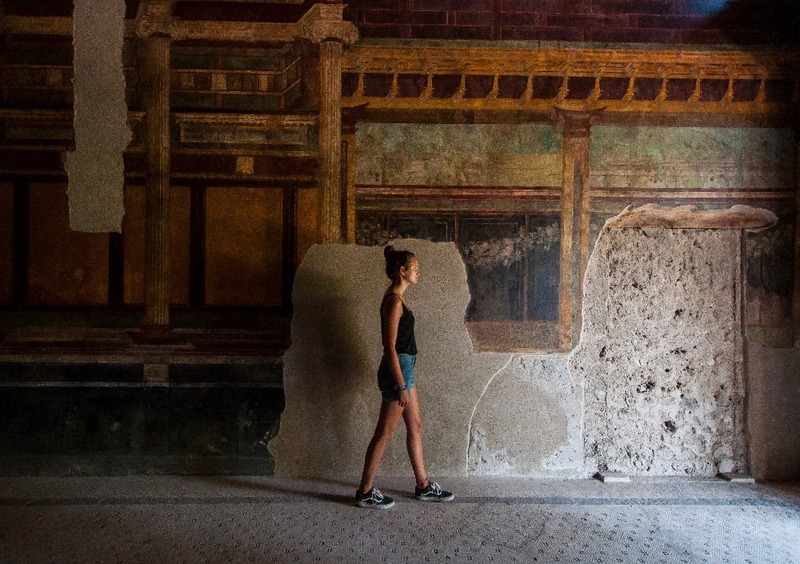 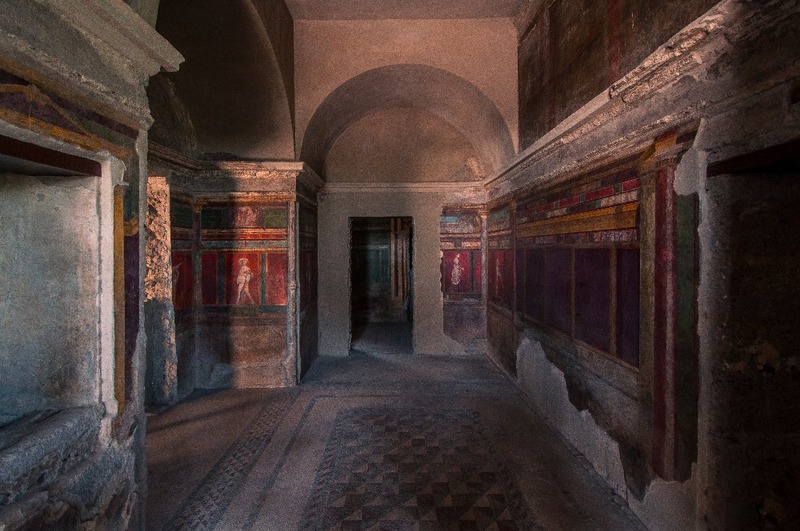 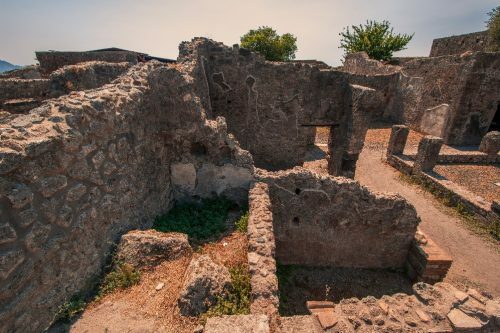 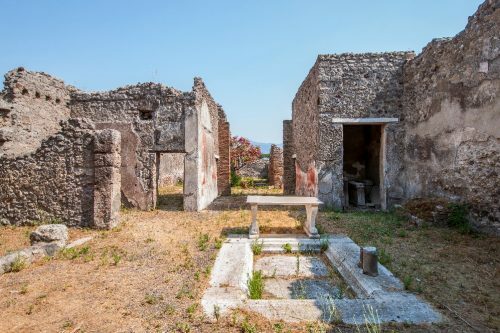 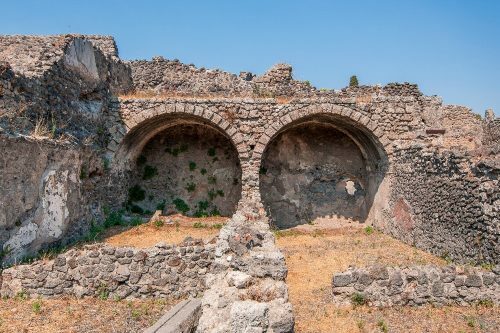 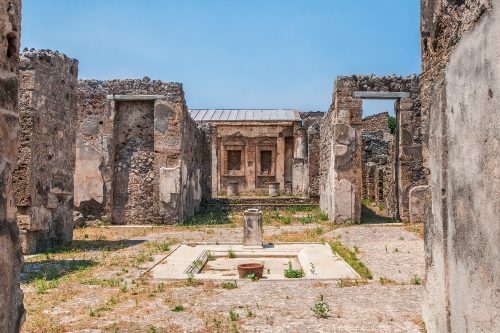 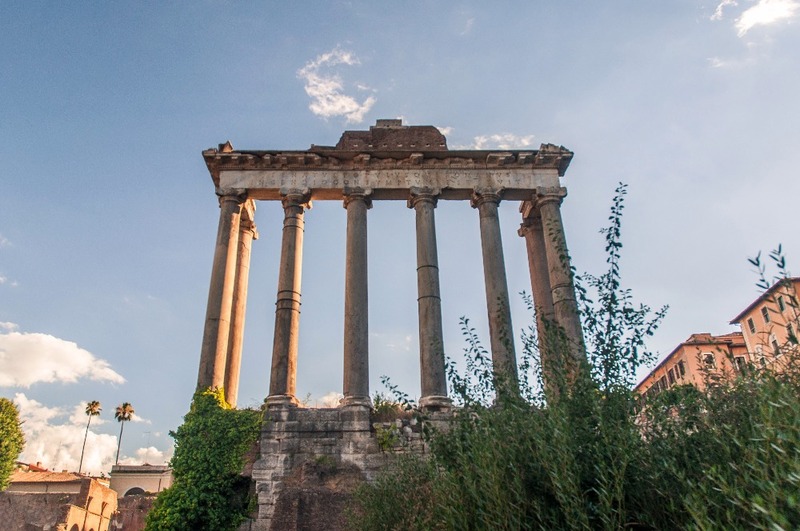 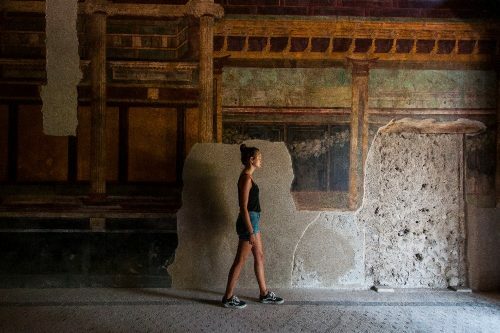 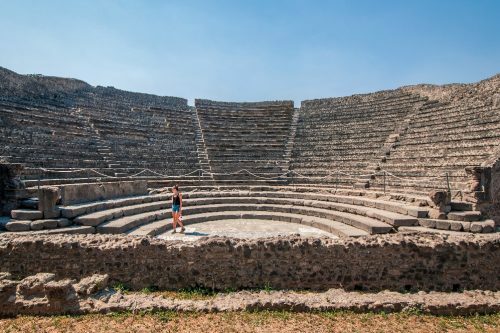 Walking around Pompeii is a fascinating experience, and I recommend downloading a free audio tour on your phone before going to save money but still get to learn about the city’s history. 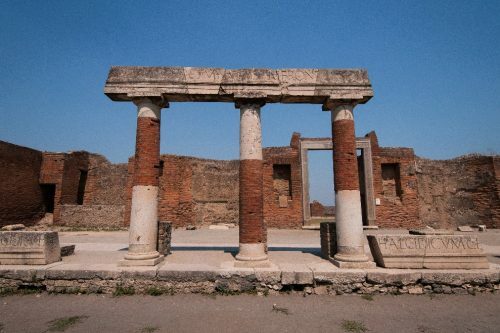 Among other things, visiting the site will teach you a lot about how modern societies came together. 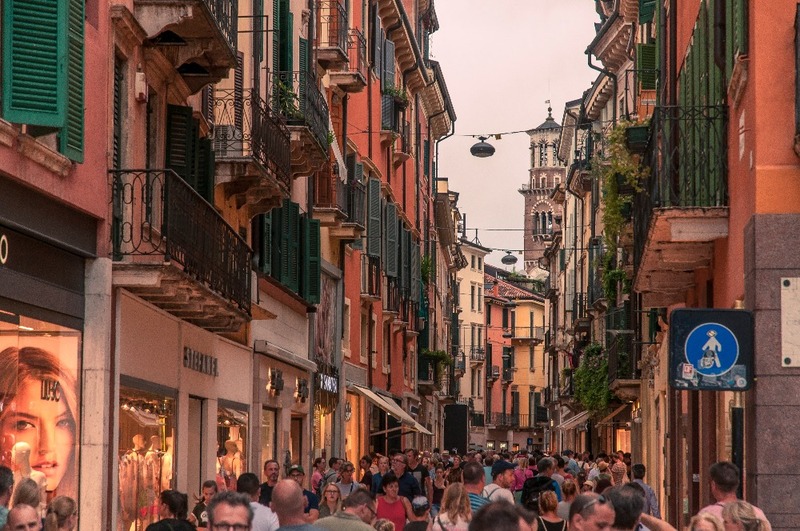 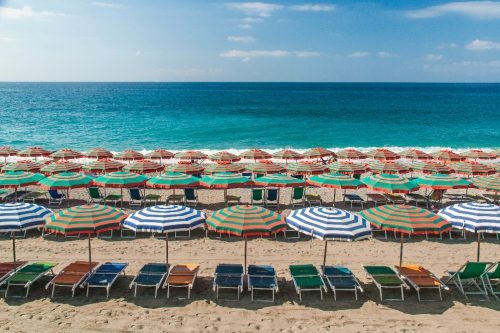 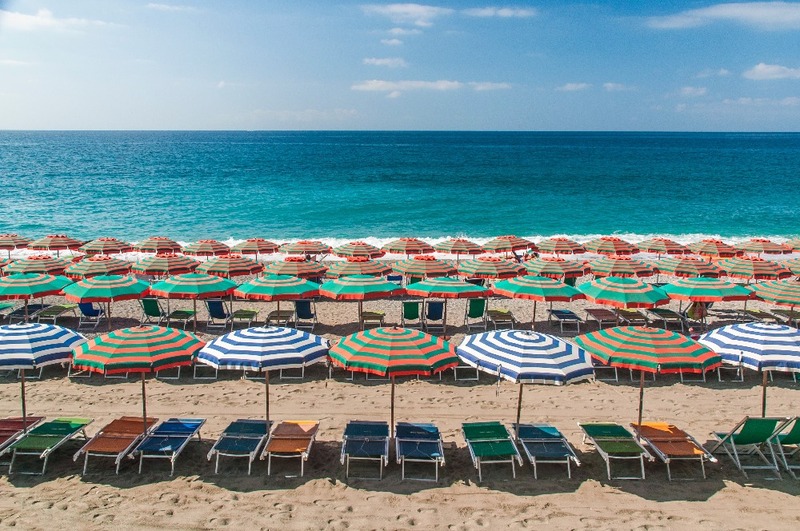 Just like anywhere else in Italy, avoid visiting in July or August if you are not a fan of the heat and/or crowds. 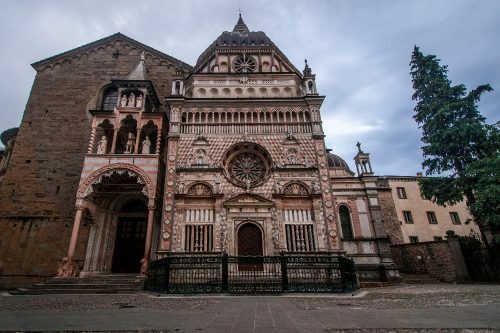 Also, if you find yourself in the downtown area of the city, do yourself a favor and visit Emilia Cremeria. I ordered a cheesecake in a cup and it was possibly the best dessert I had in my entire two-year trip. 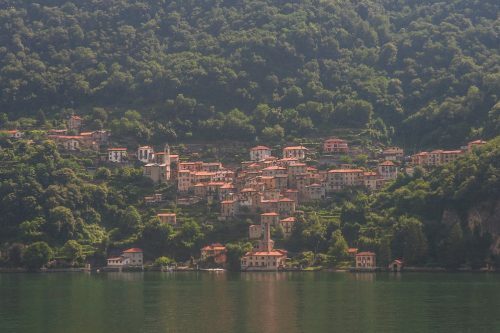 So much that I went back three times! 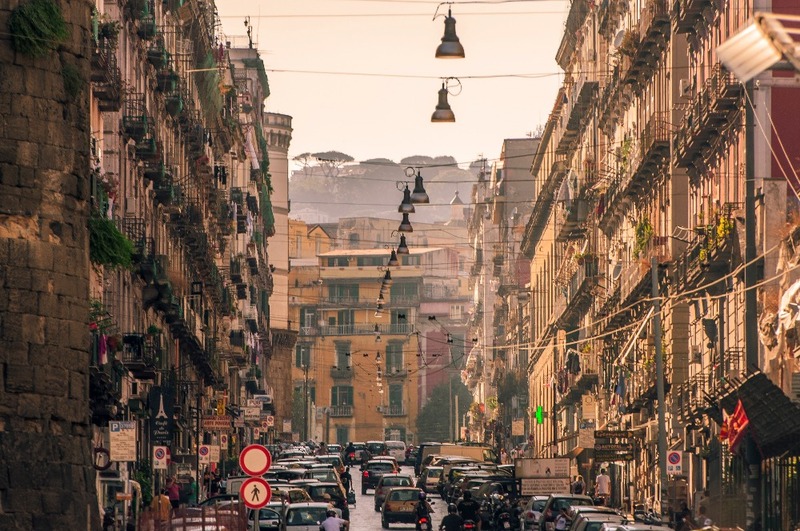 Napoli was one of the biggest surprises in my entire trip for how chaotic it was. 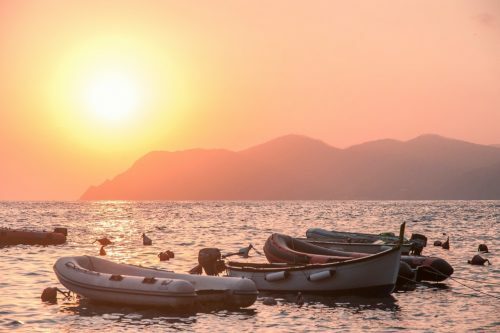 I had been warned but wasn’t expecting to find myself in a city that was so similar to Hanoi! 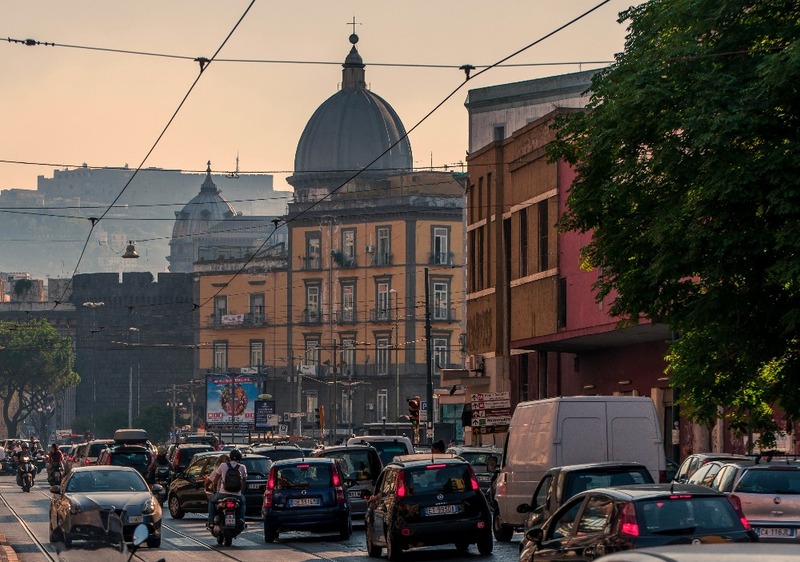 The traffic is crazy (people honking, motorbikes everywhere), the heat intense and the streets quite dirty for an Italian city. 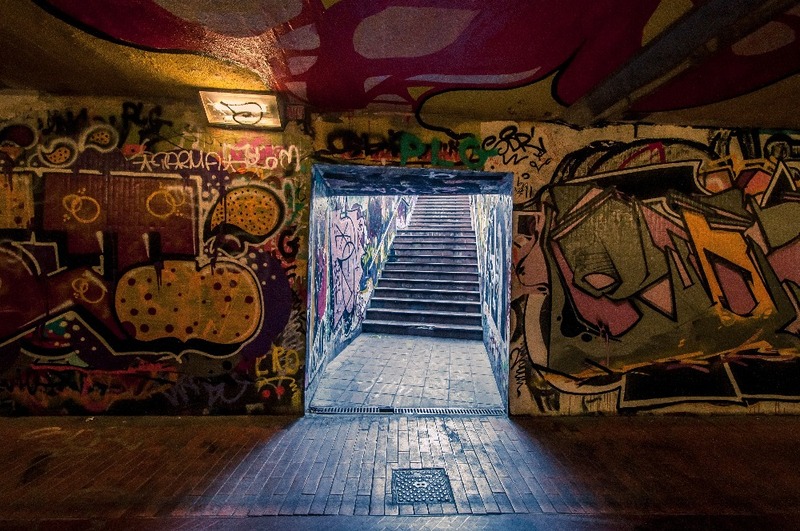 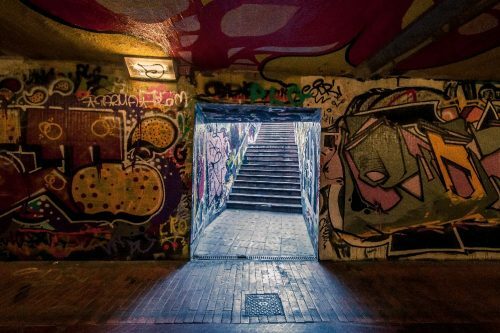 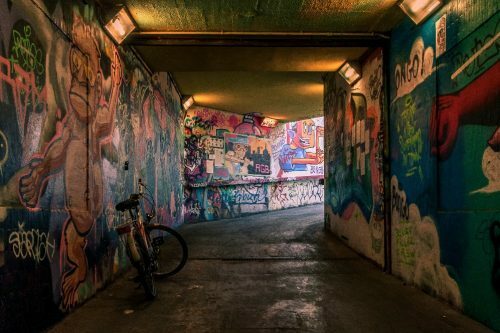 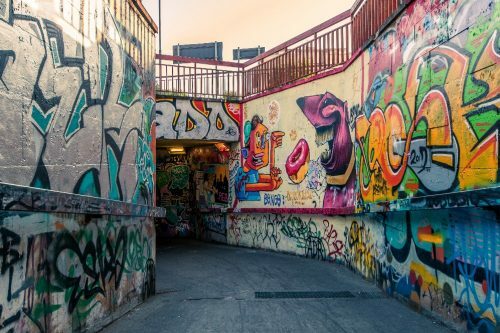 I might be dramatic, but my friend and I felt unsafe for the first time in our trip while we were wandering around the less touristy areas at the end of the afternoon. 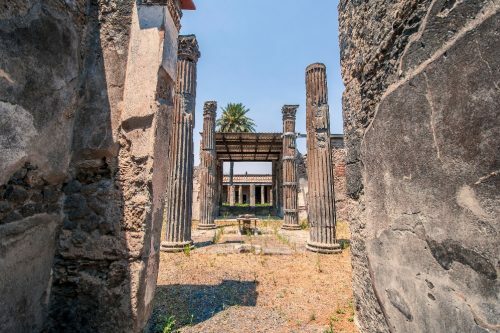 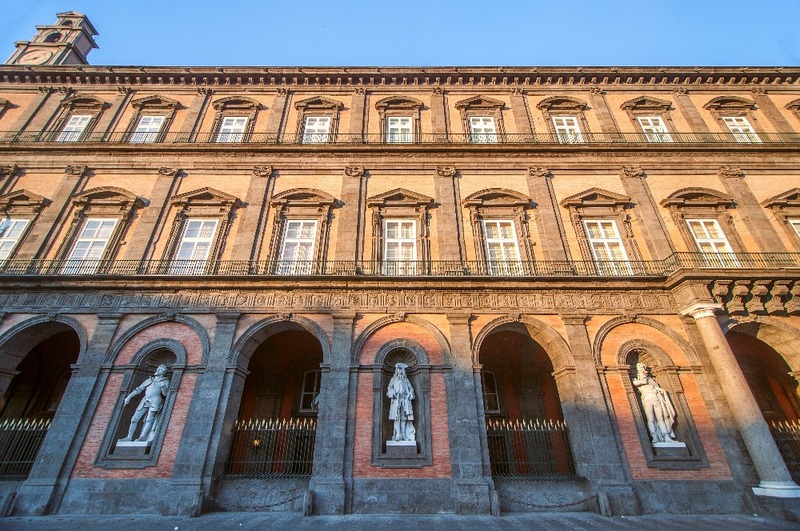 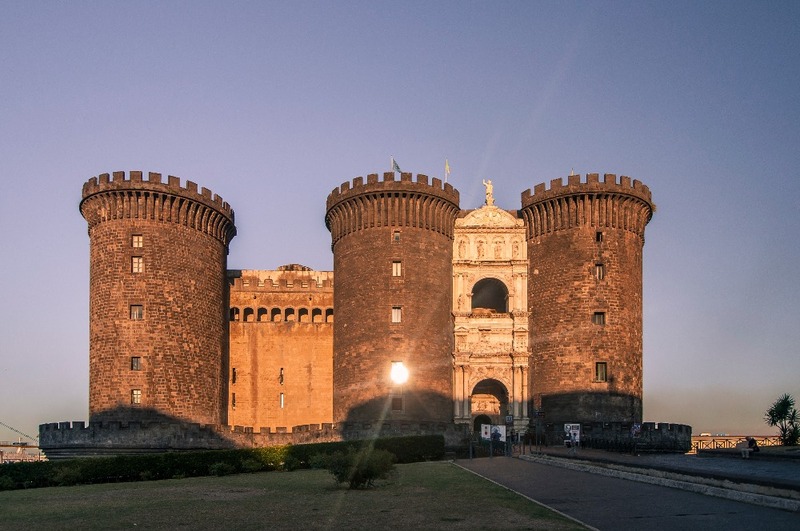 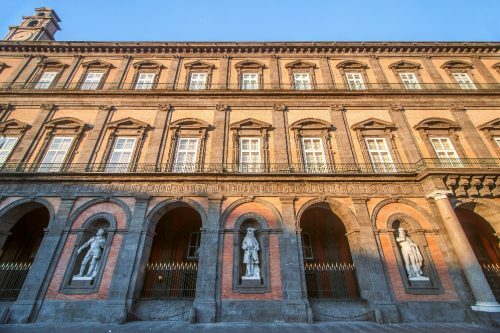 On the other end, Napoli is insanely cheap, whether it’s for food or accommodation, and it is conveniently located near Pompeii, which can be easily reached by train in an hour. 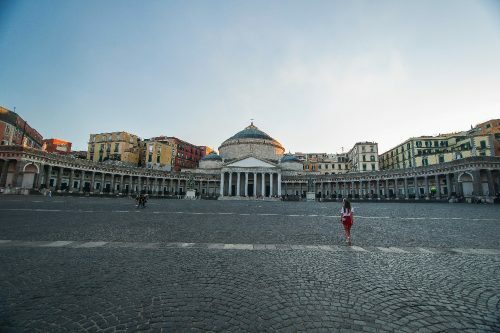 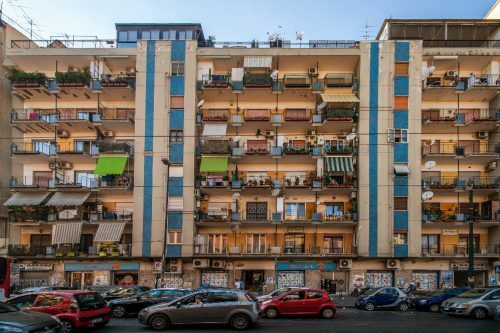 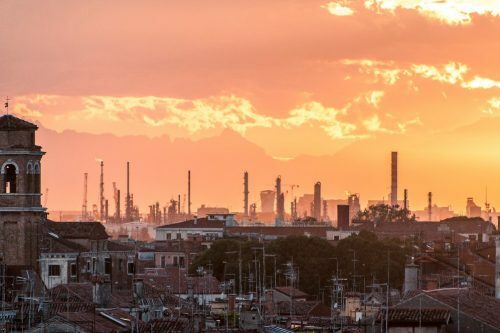 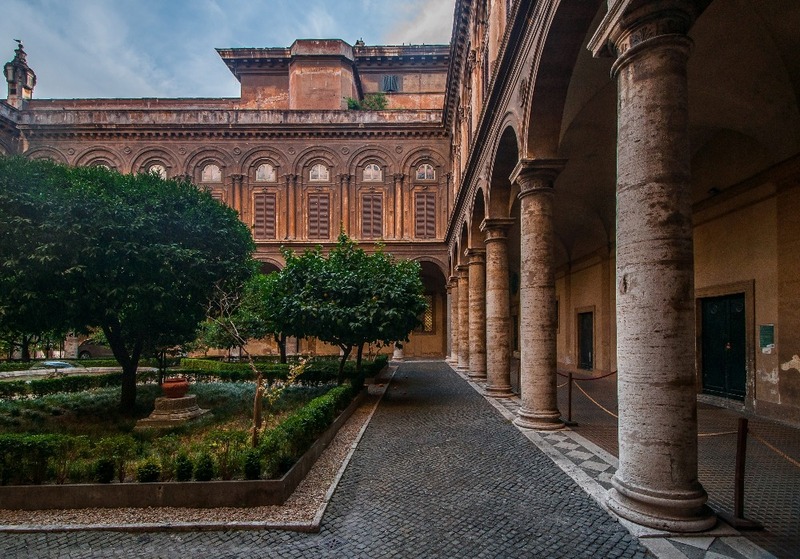 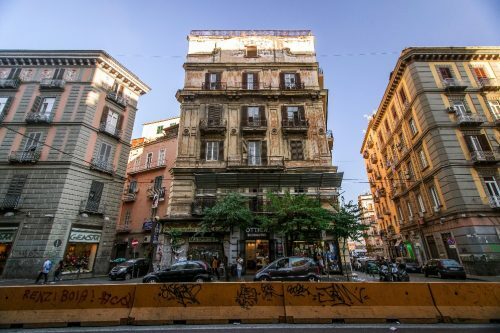 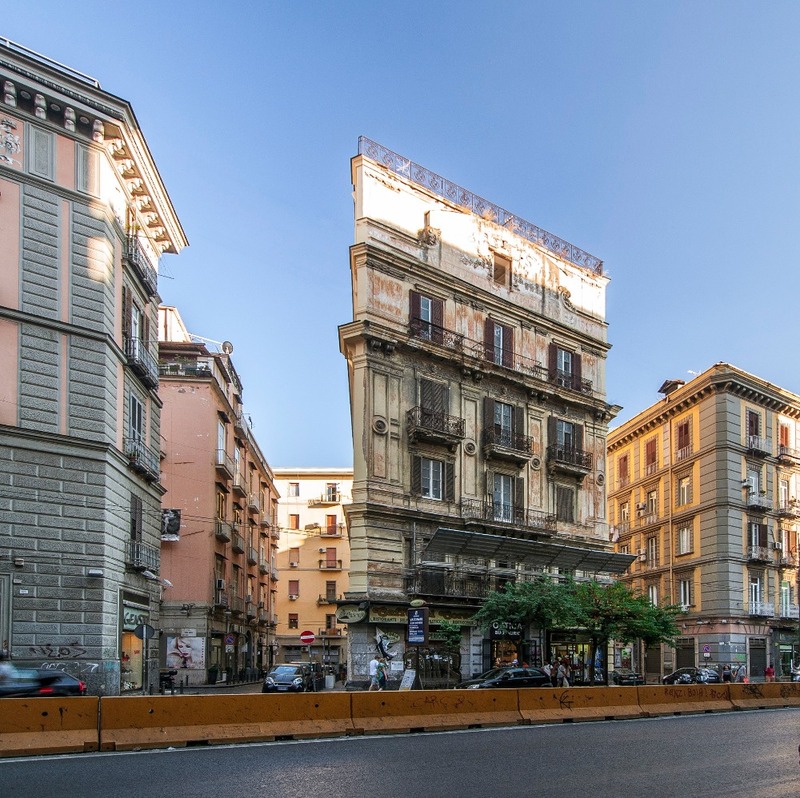 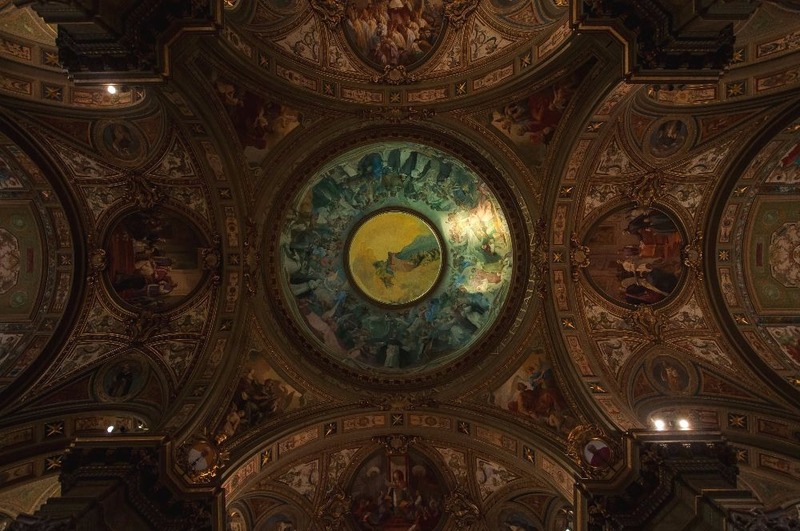 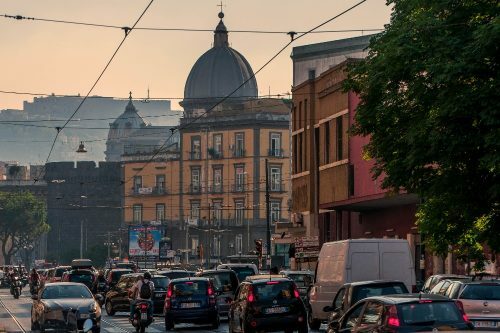 I wouldn’t tell anyone to avoid Napoli because it is an interesting city after all, but if you have limited time in Italy, I think you should focus on other destinations. 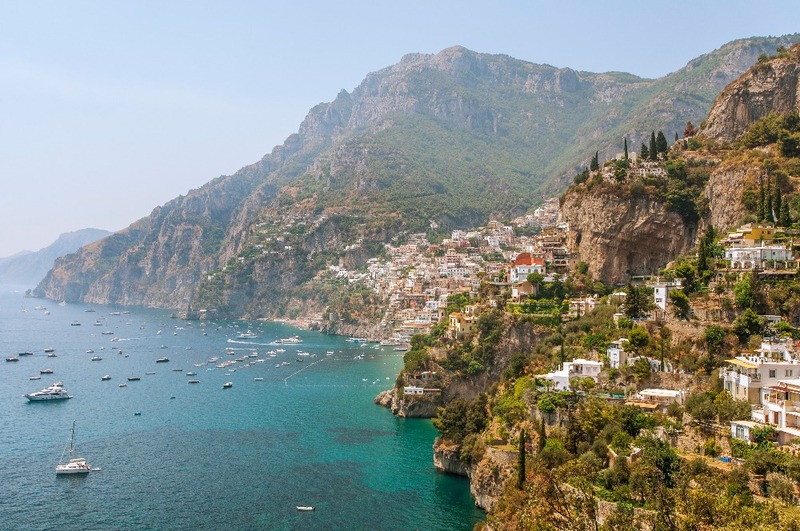 The Amalfi Coast reunites many small towns along the coast a few hours south of Rome and is a very popular holiday destination. 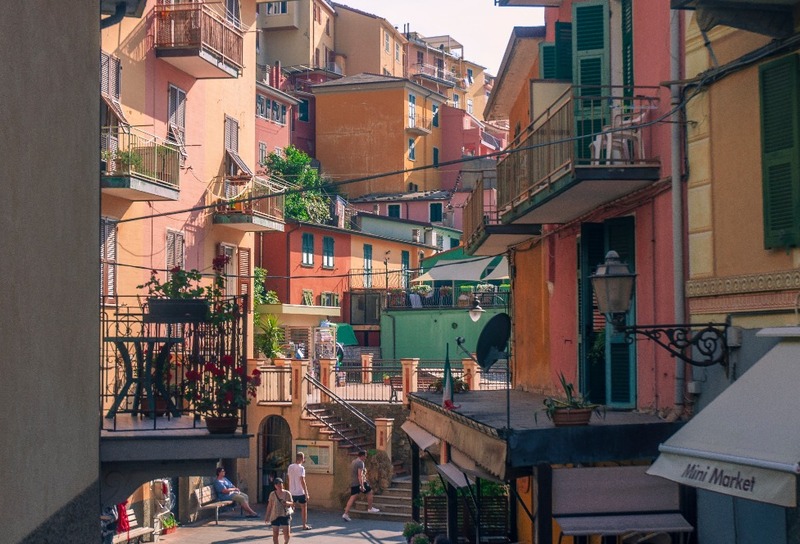 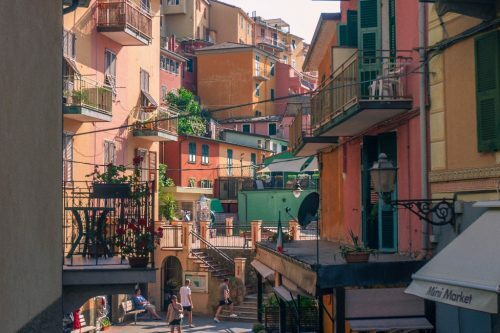 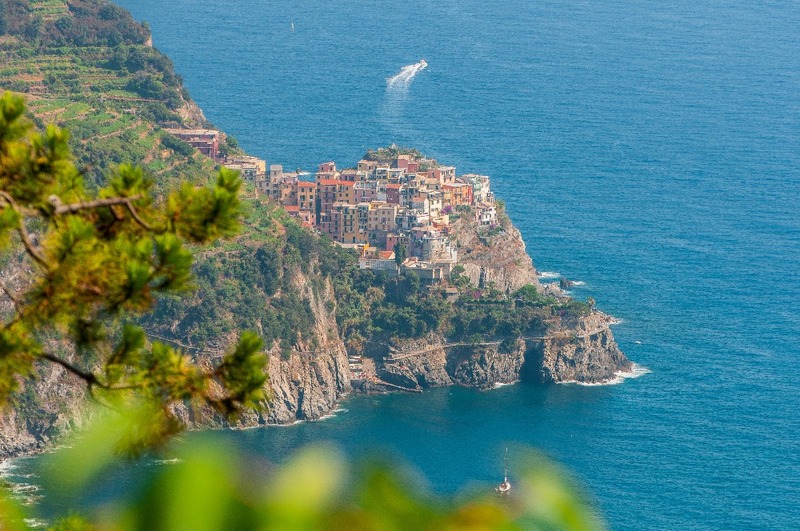 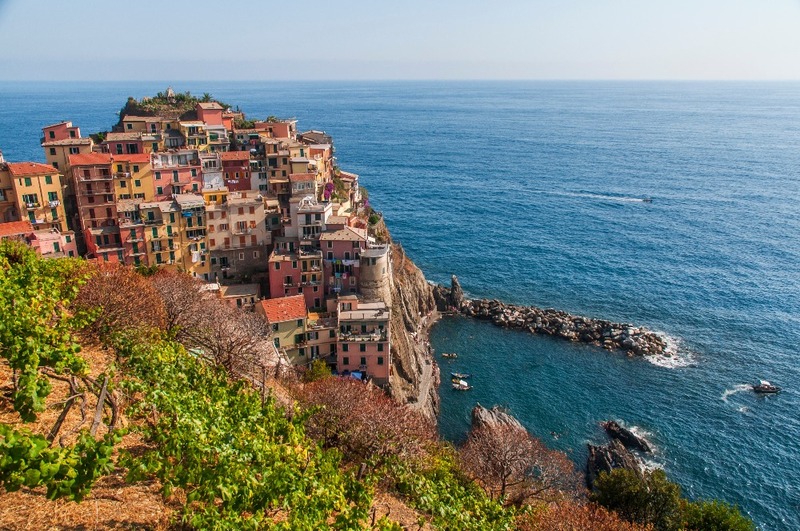 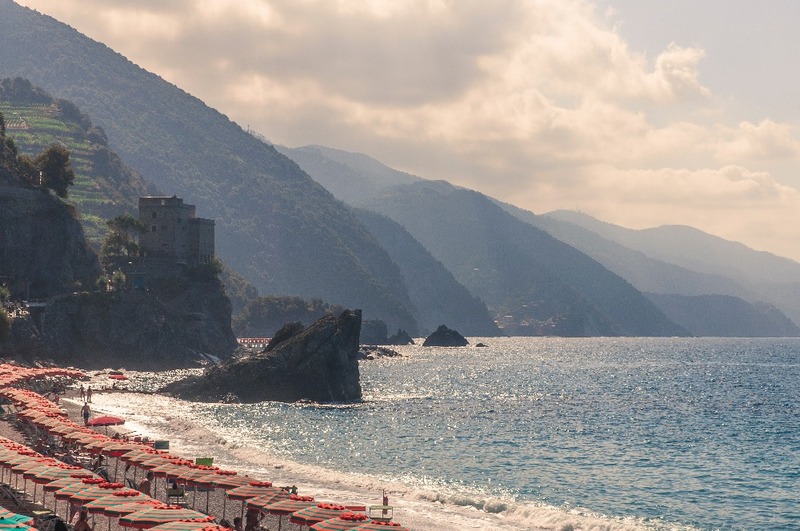 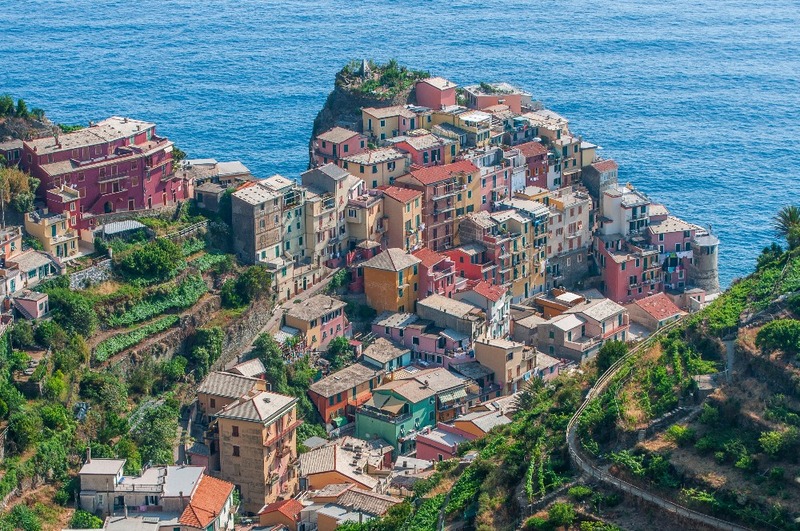 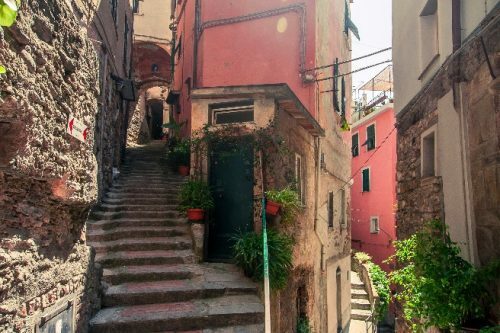 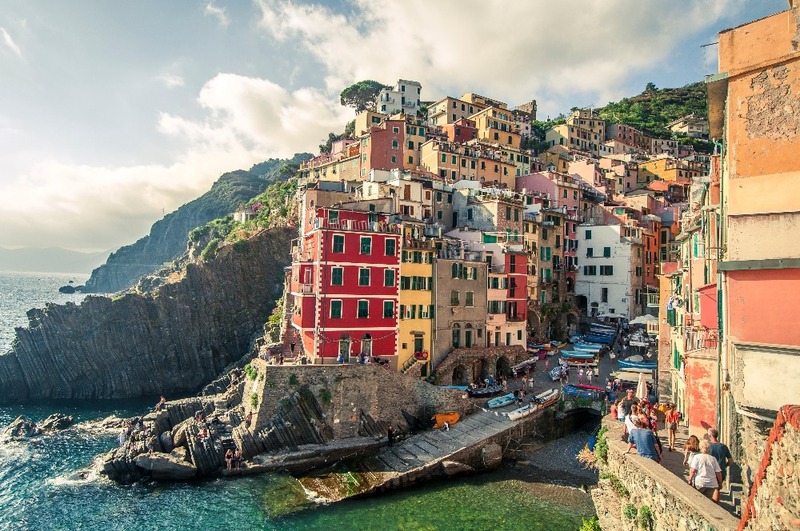 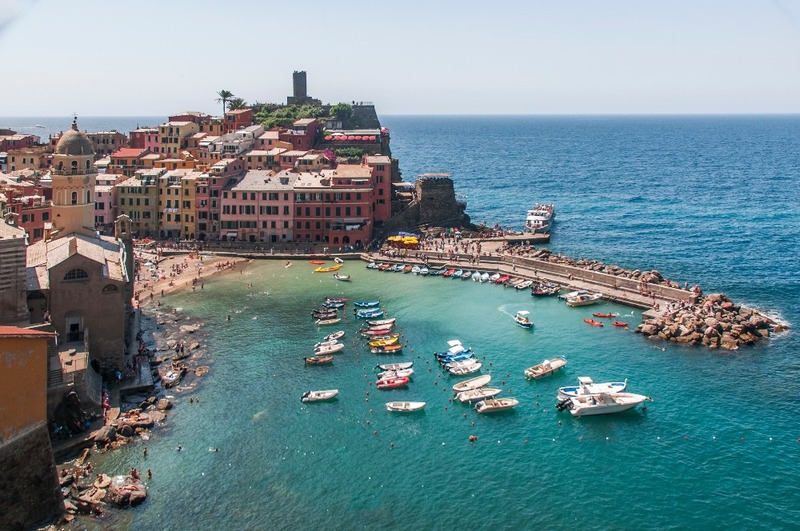 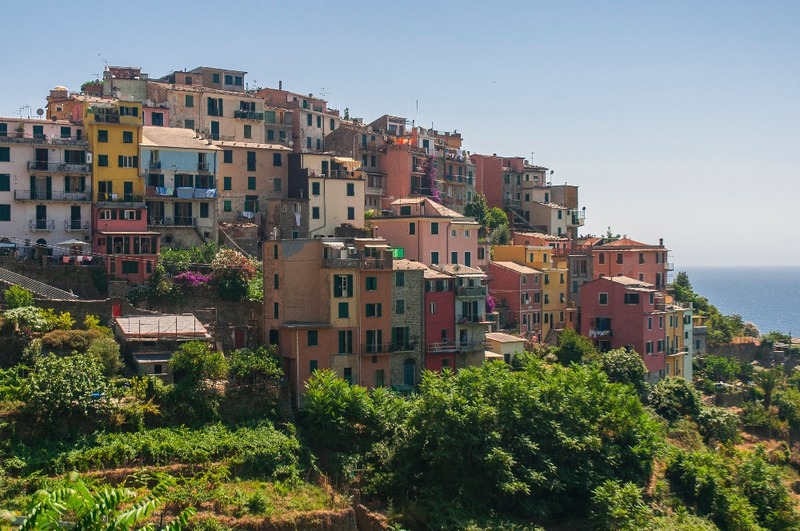 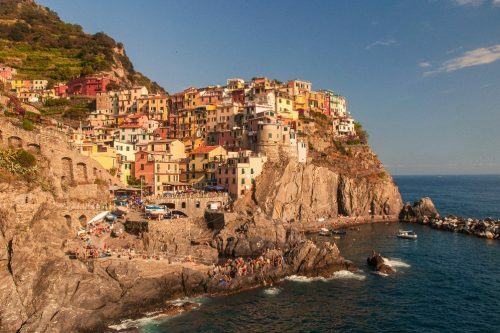 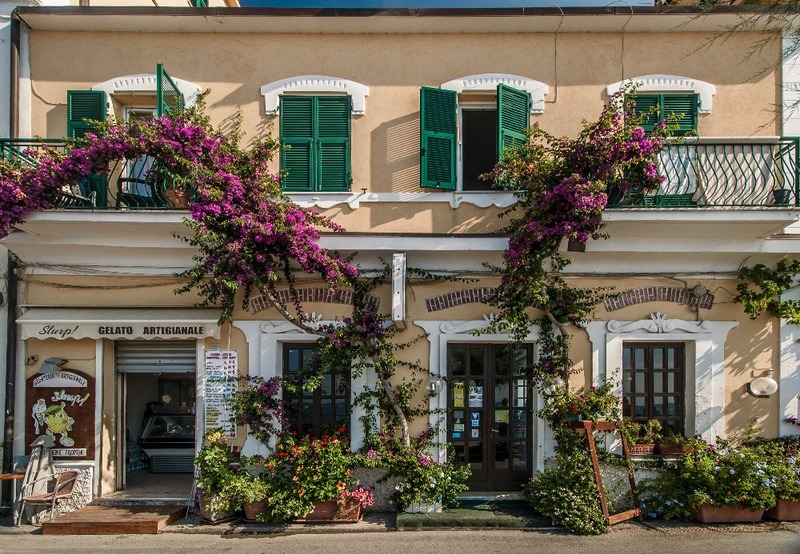 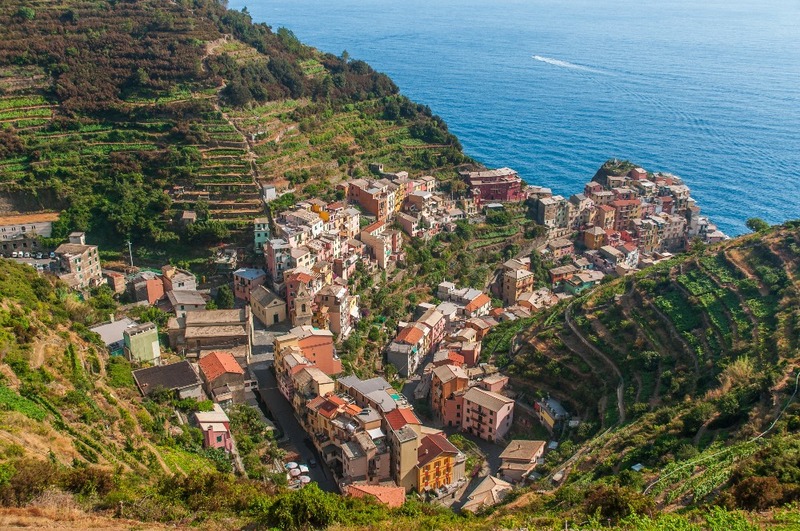 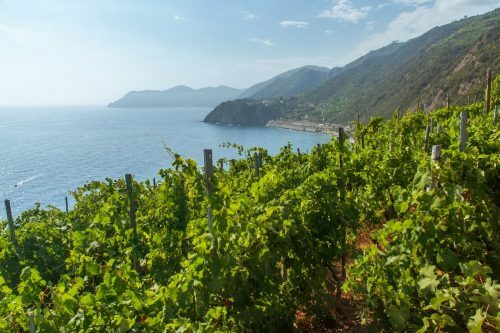 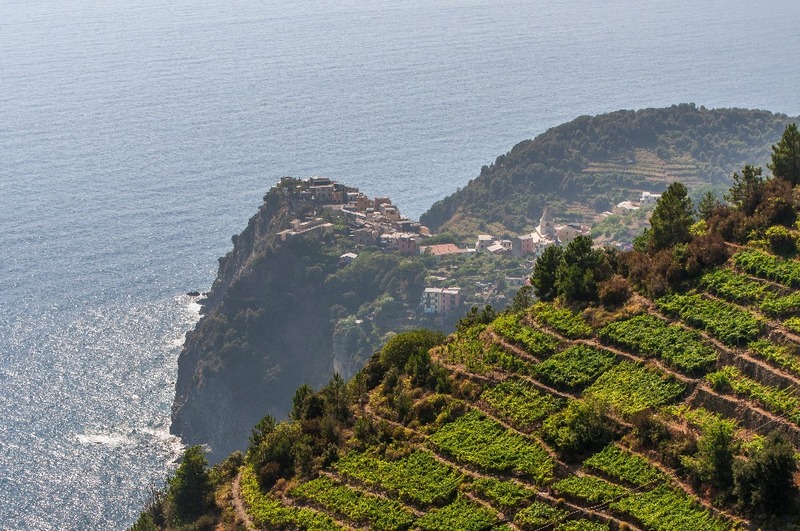 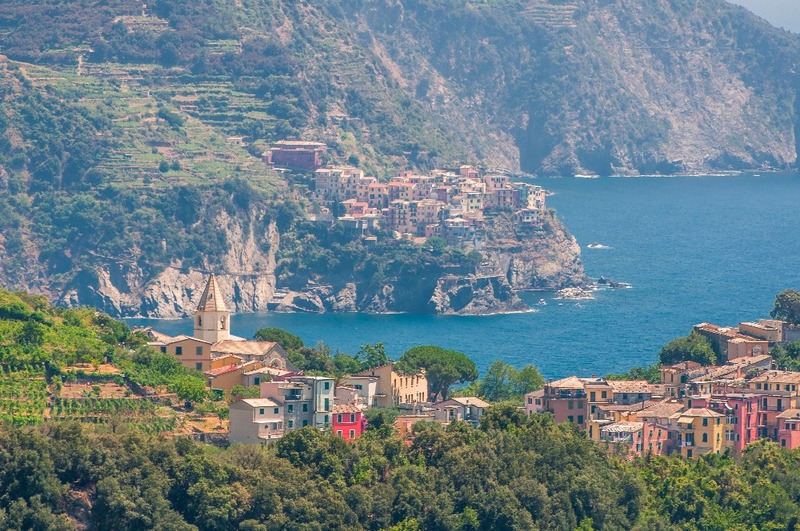 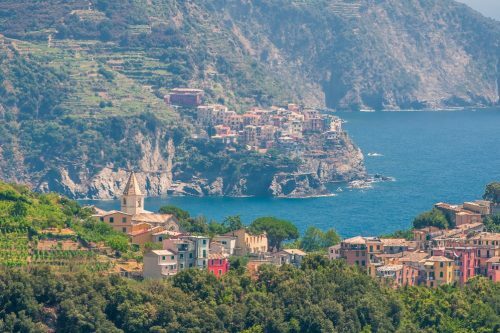 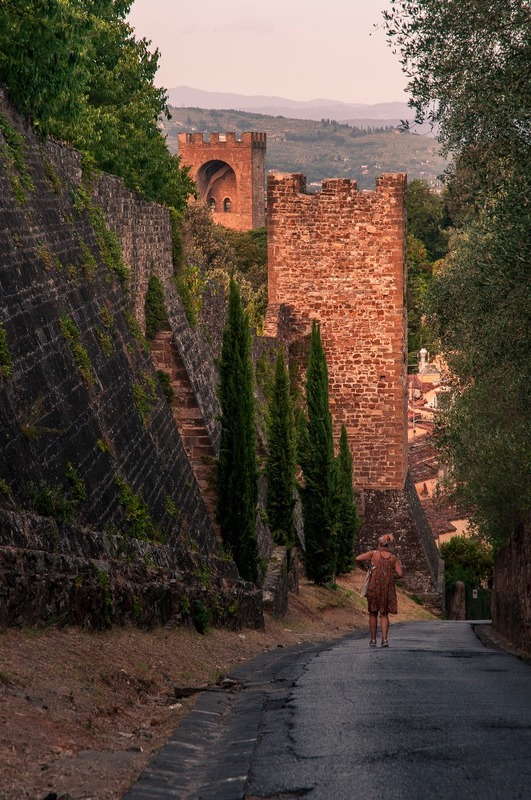 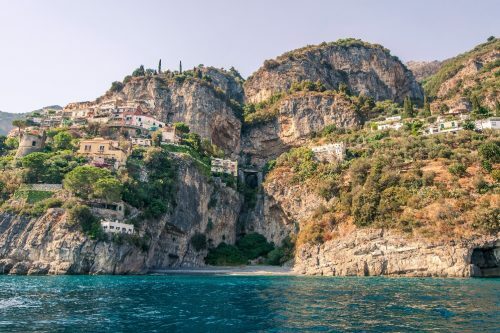 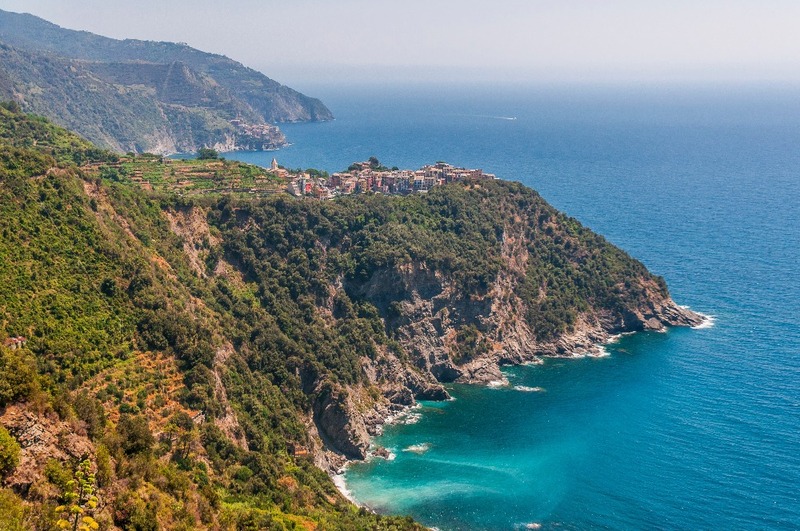 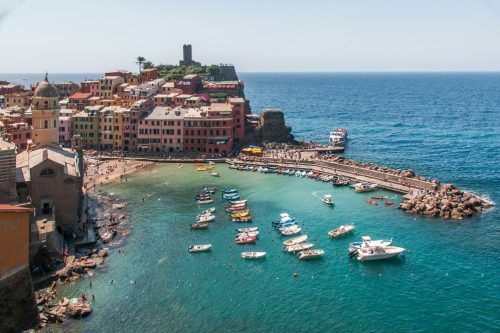 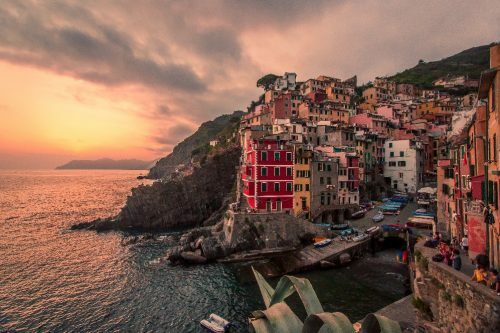 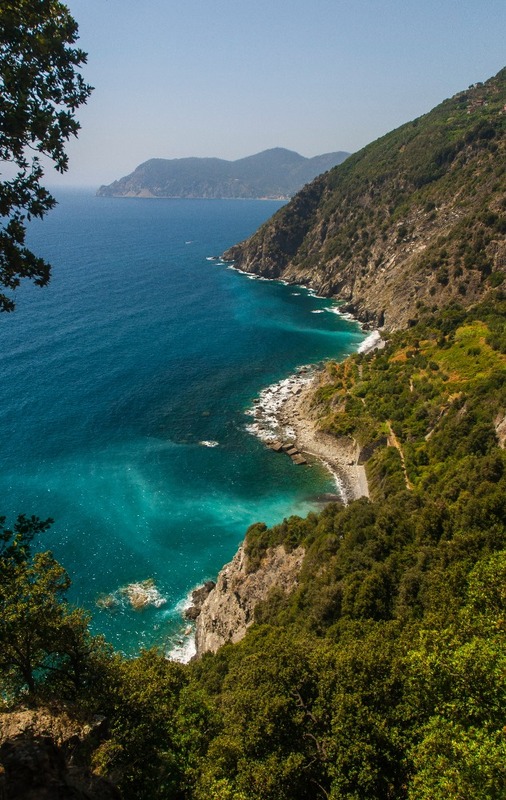 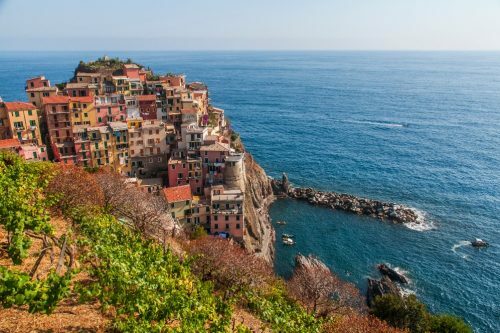 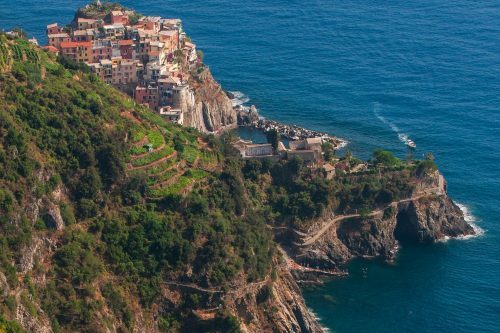 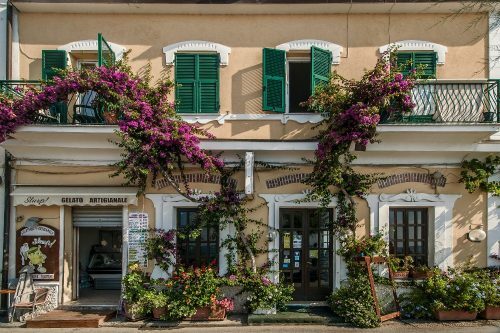 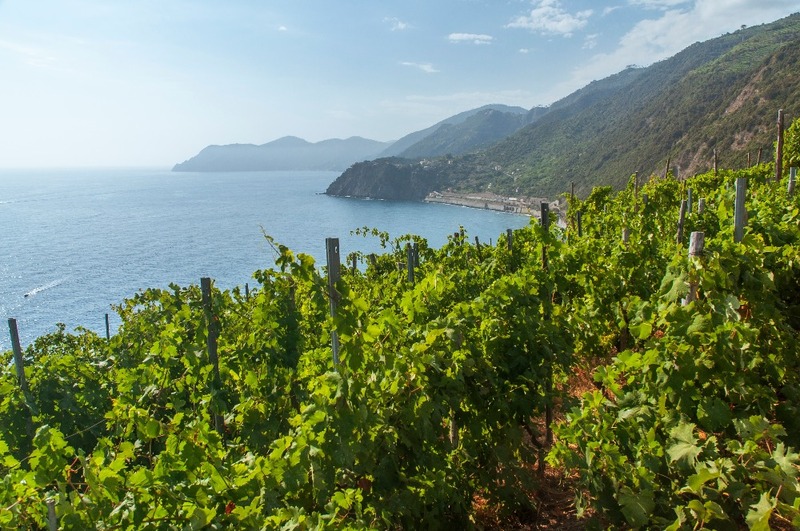 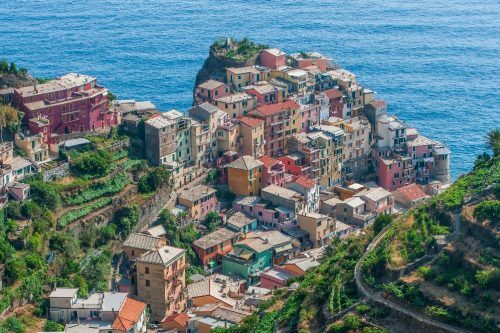 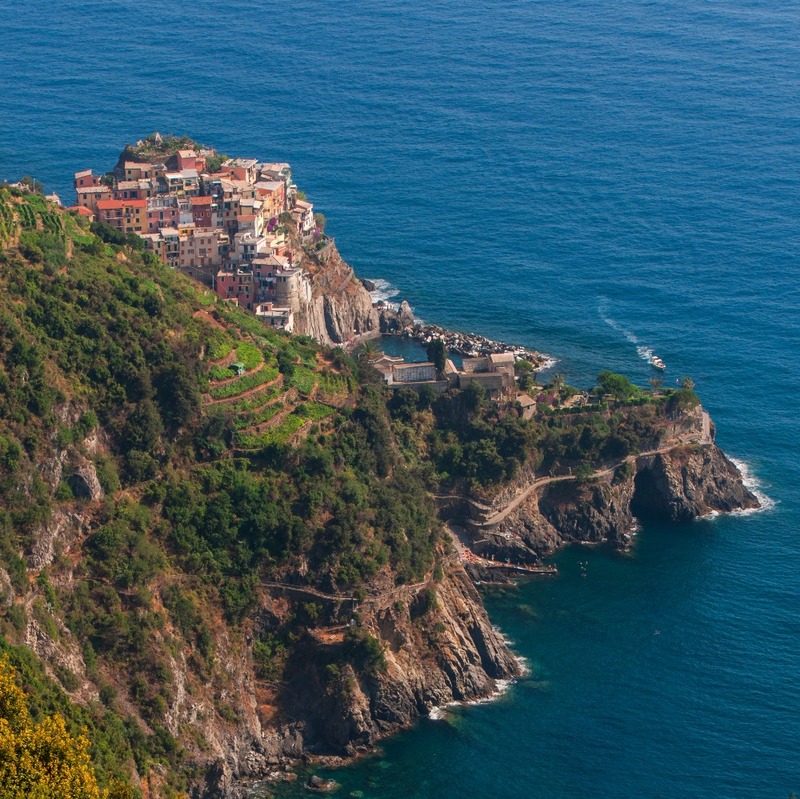 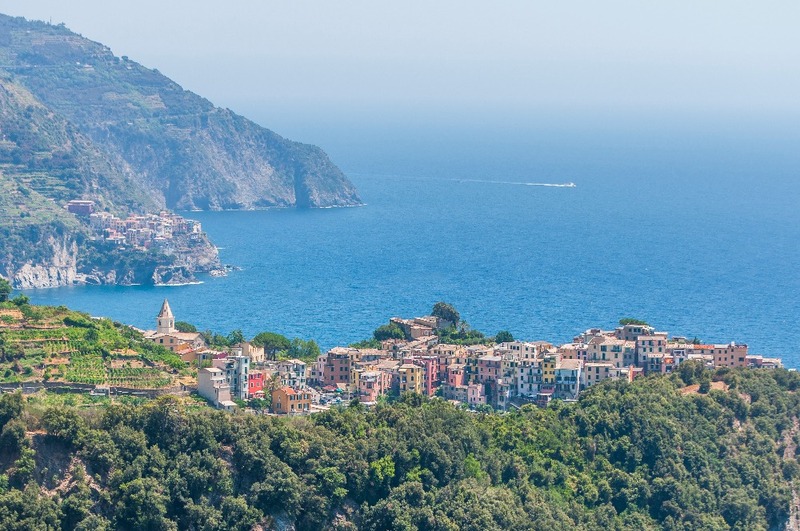 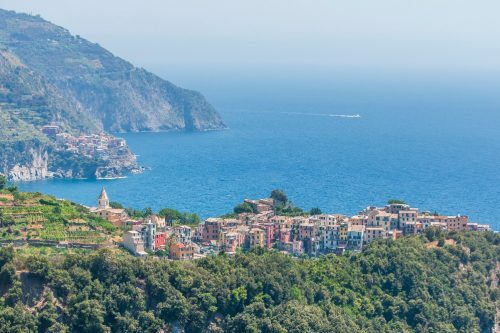 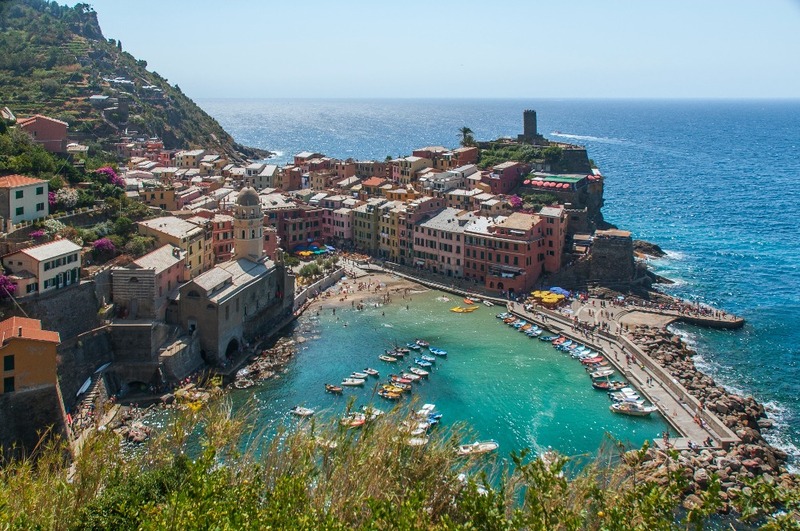 It is an absolutely stunning location that looks similar to Cinque Terre with its dramatic cliffs and villages built on the hills by the ocean. 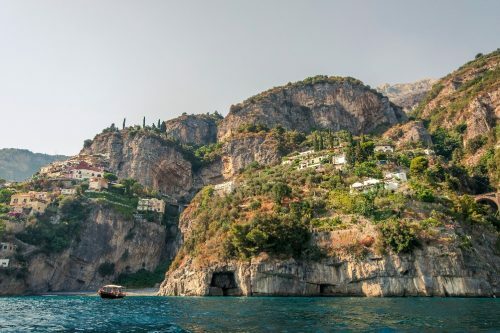 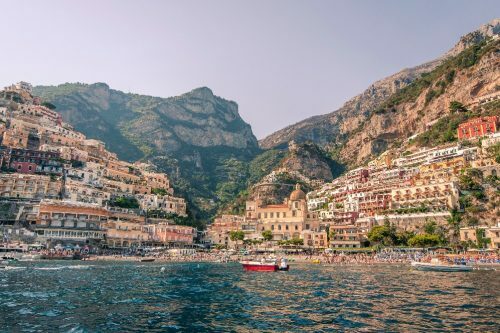 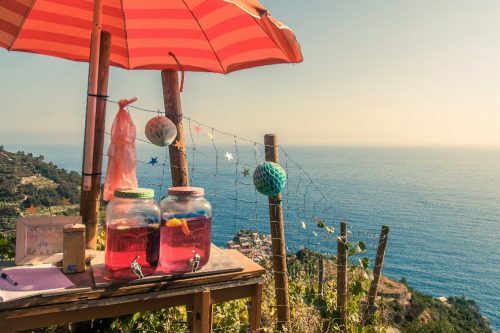 Unfortunately, just like Cinque Terre, Amalfi gets insanely crowded in the summer, so much that you’ll have a hard time finding a spot (especially if you are not willing to pay) on one of the rocky beaches in the area. 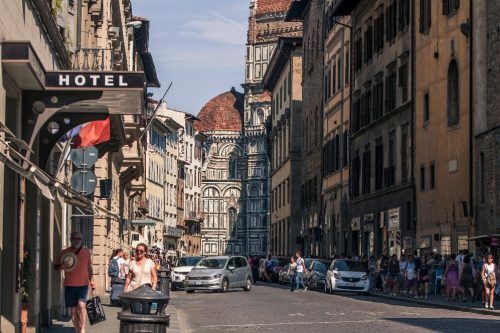 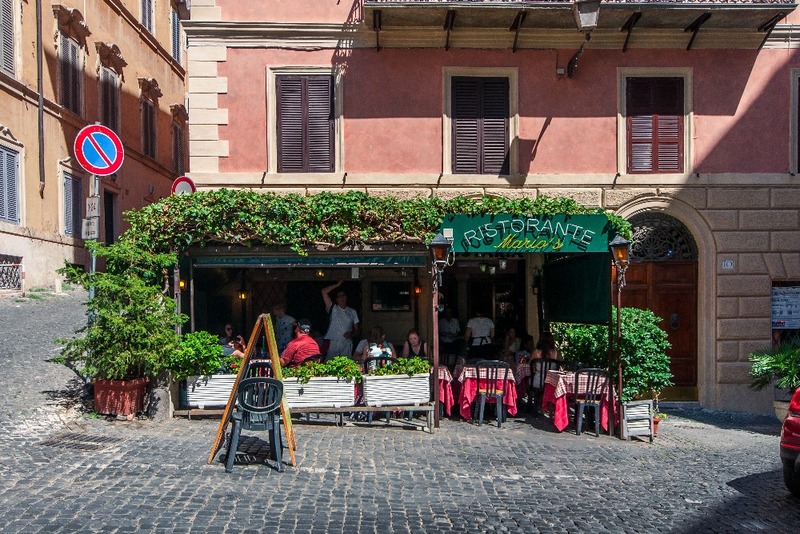 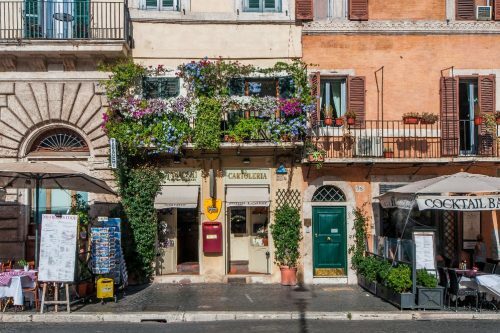 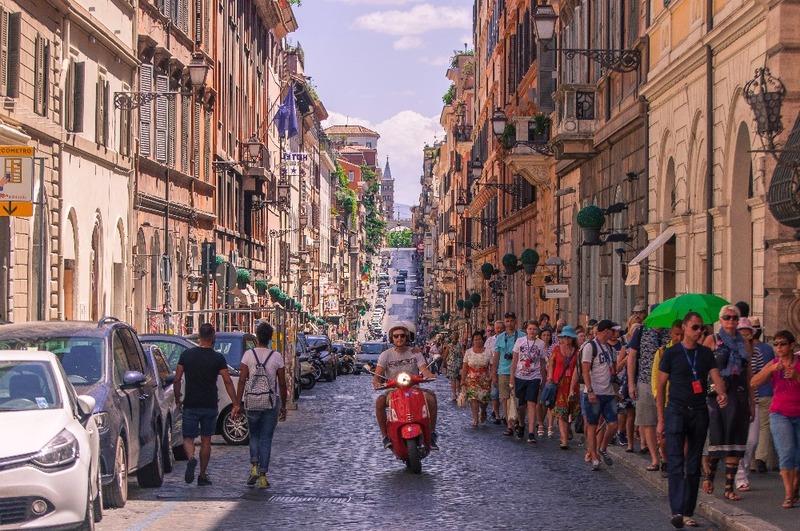 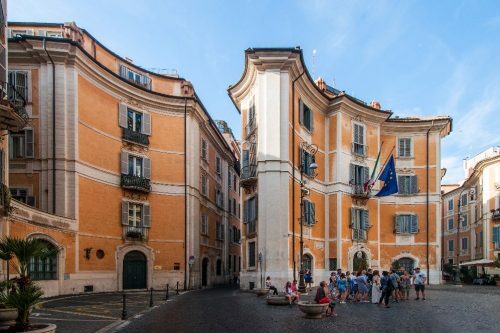 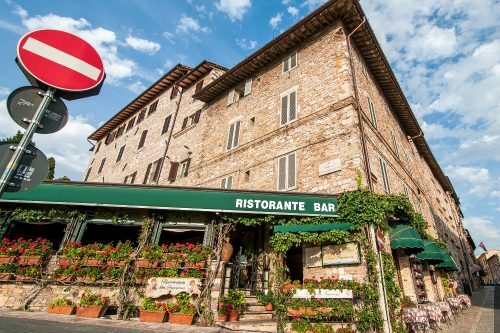 Accommodation and food are much more expensive than anywhere else we’ve been in Italy, and driving a car is tricky because of how rare and pricey parking spots are. 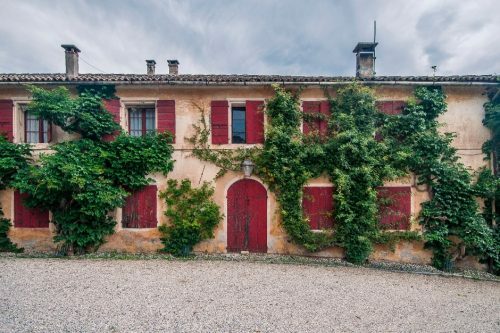 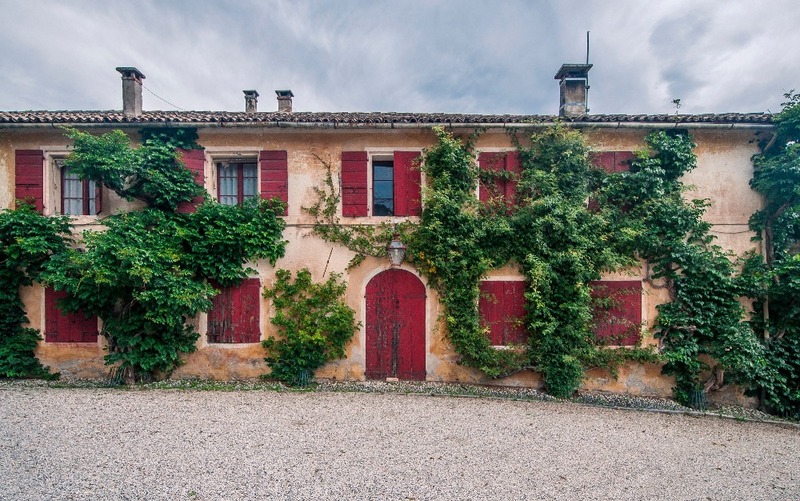 It doesn’t take anything away from the beauty of the location, but be ready to spend big money if you plan to stay for a while. 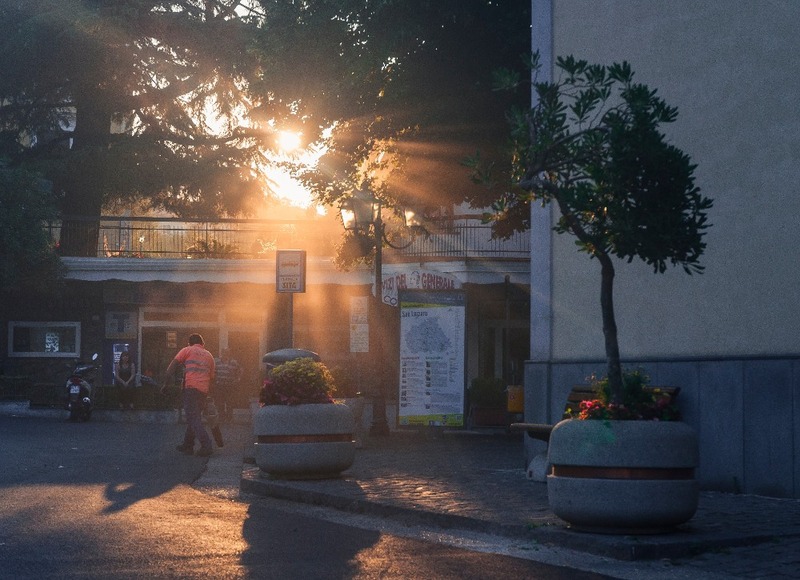 My friend and I managed to make it cheap by camping in San Lazzaro and taking buses to move around. 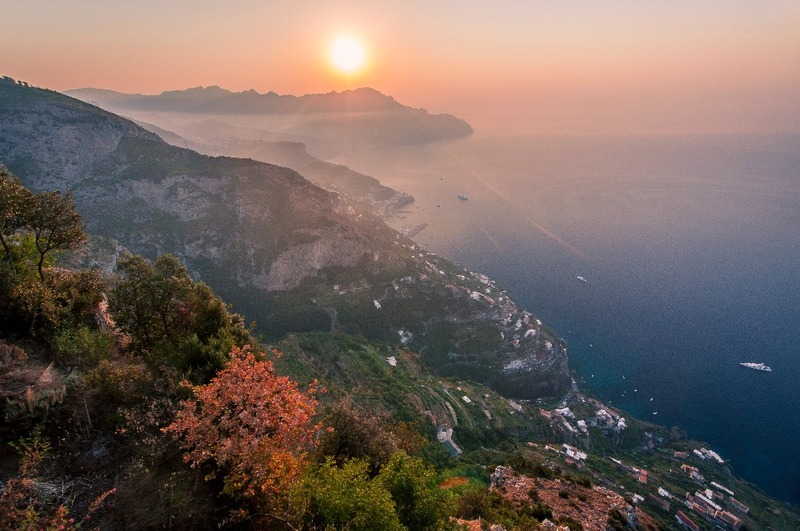 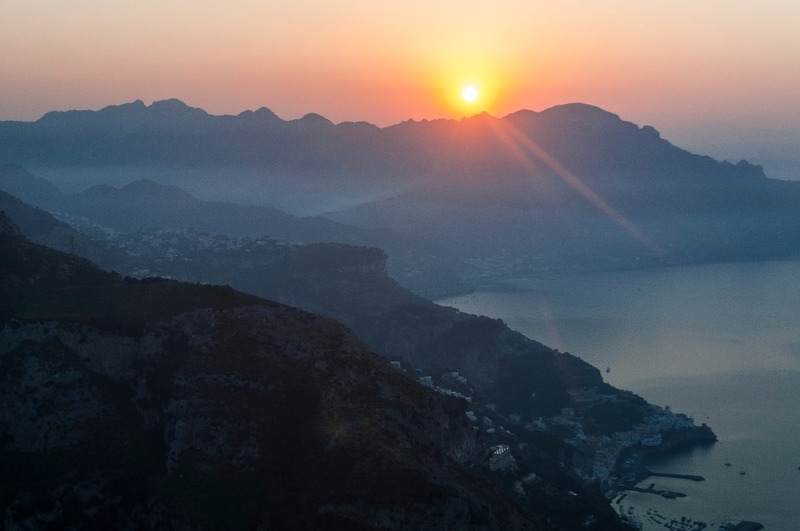 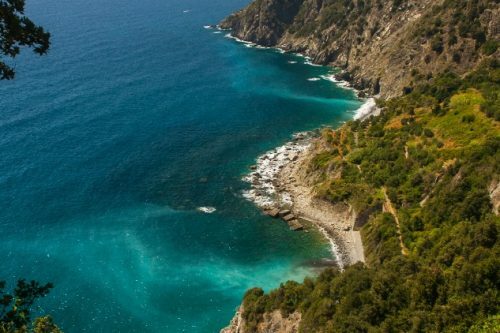 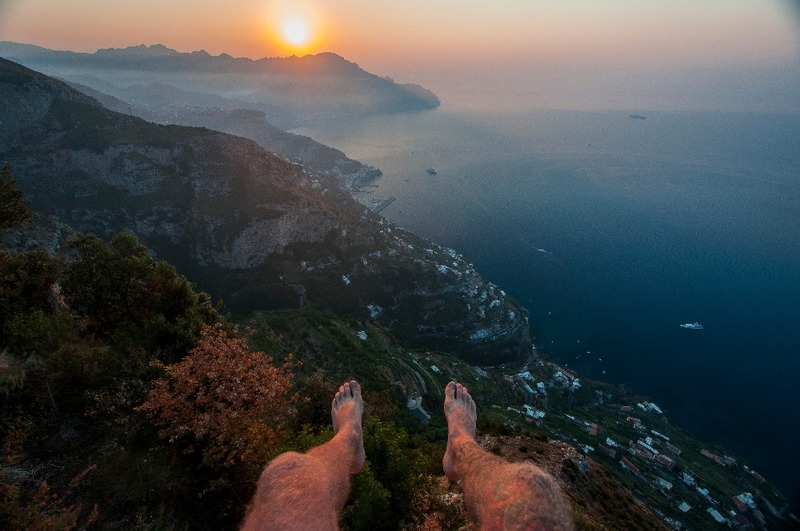 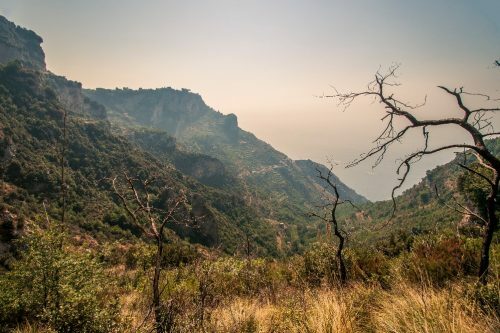 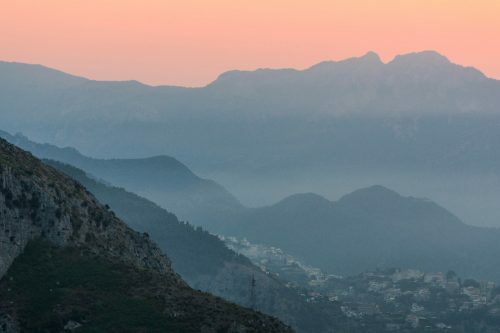 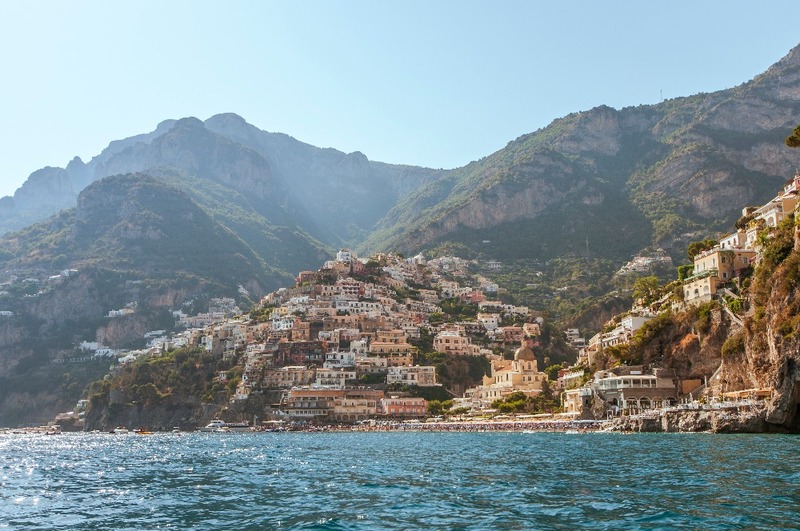 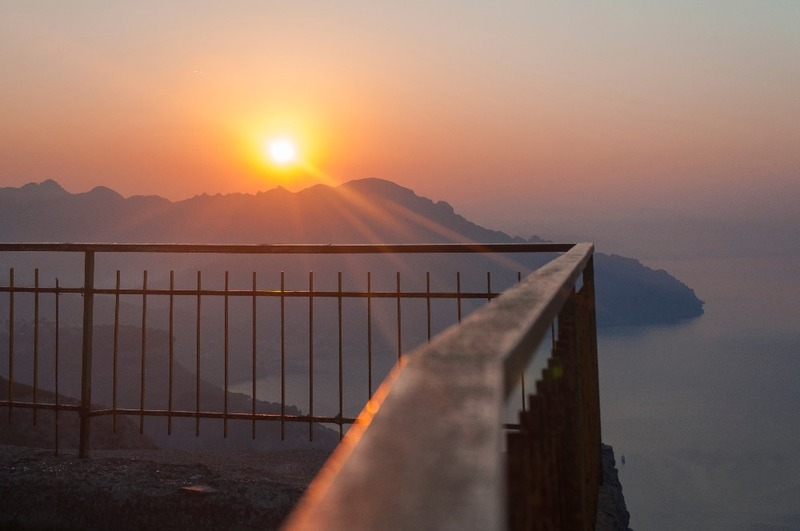 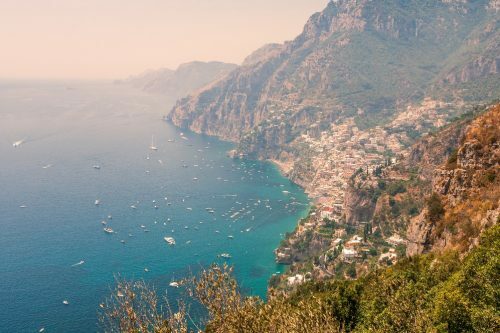 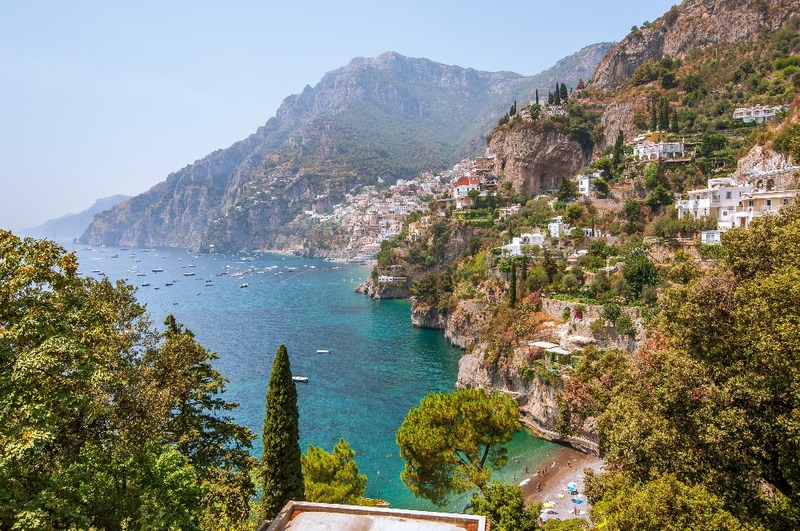 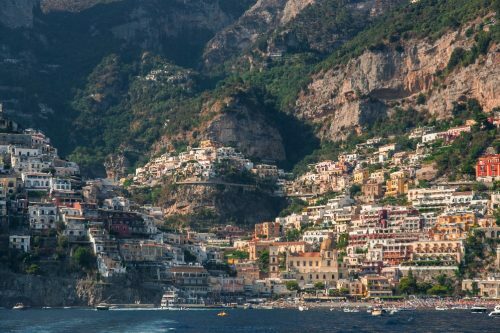 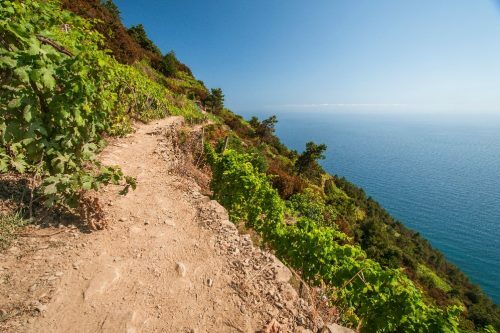 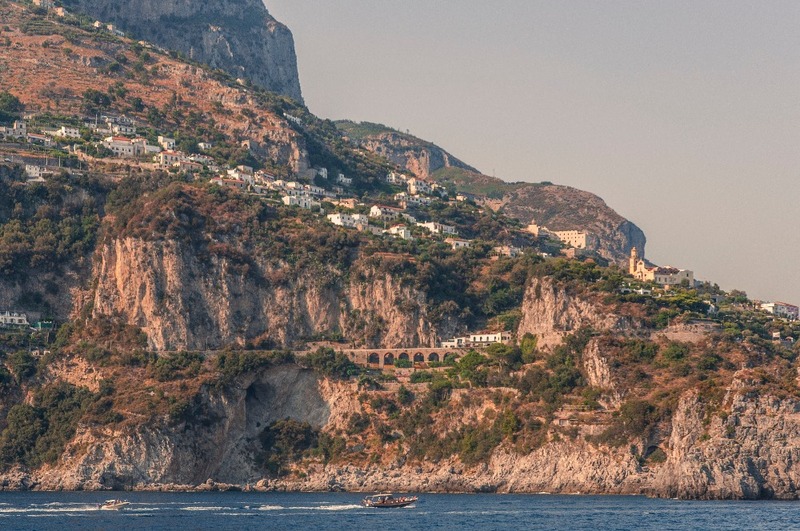 My favorite thing to do in the area was hands down the Path of the Gods, a 3-hour hike that goes from Bomerano to Positano that offers breathtaking views of the coast. 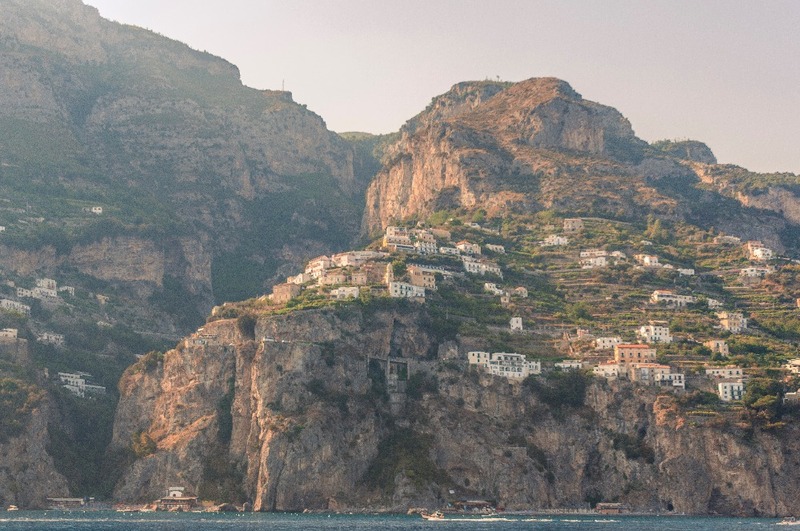 You can hike all the way down and take a ferry/bus back to Amalfi. 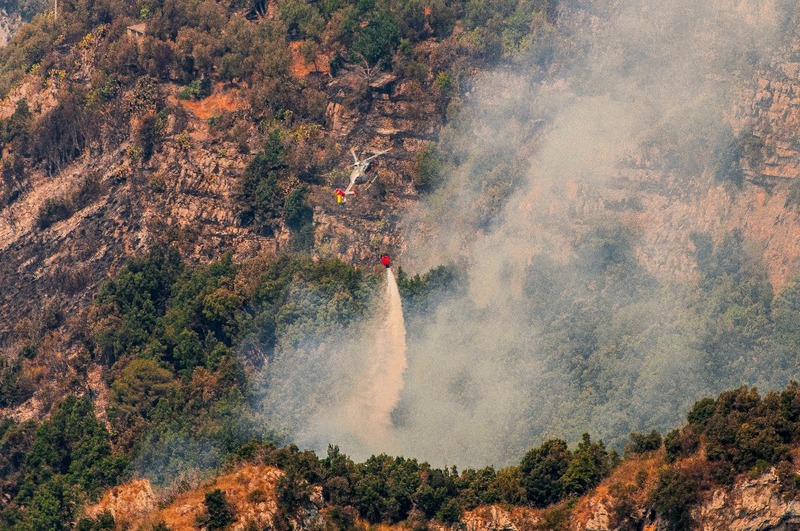 It might be a good idea to look up the wildfires before you go as they are quite common in the area and can cause the path to be closed for safety.